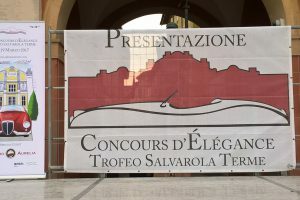 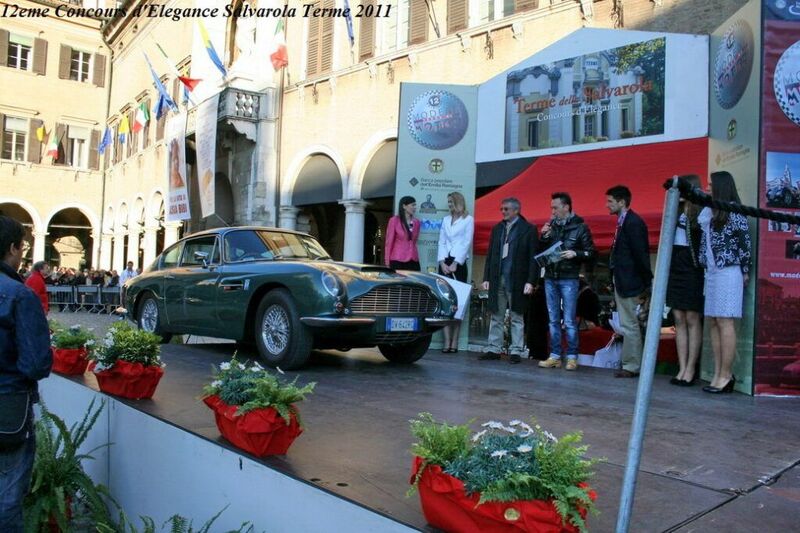 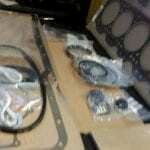 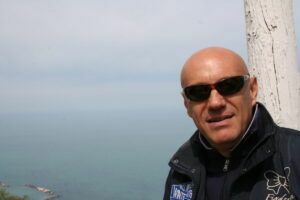 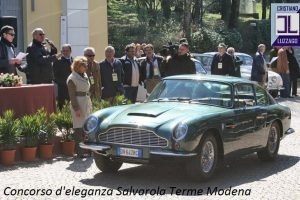 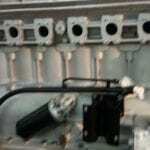 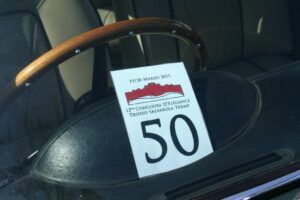 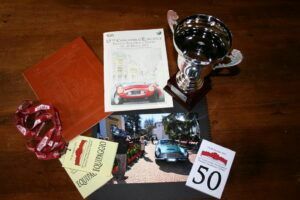 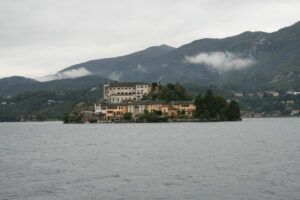 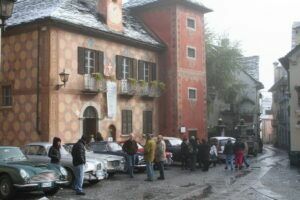 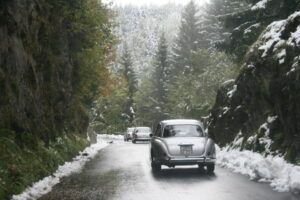 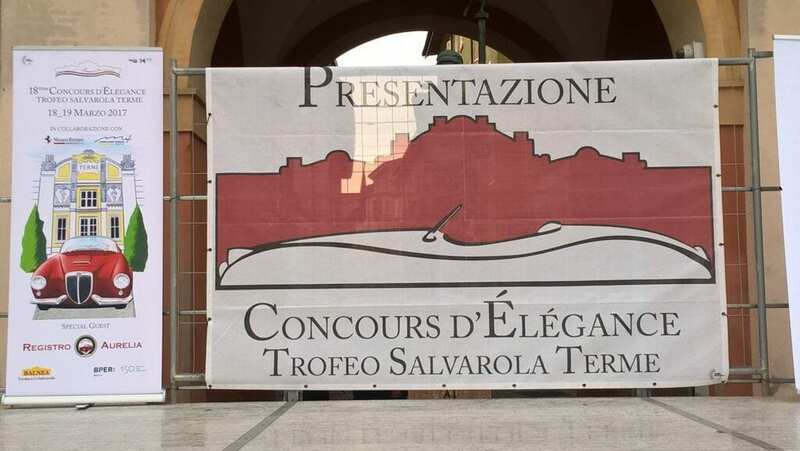 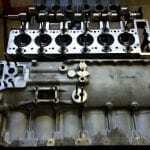 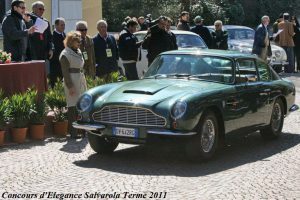 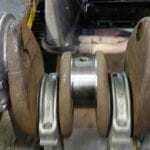 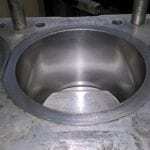 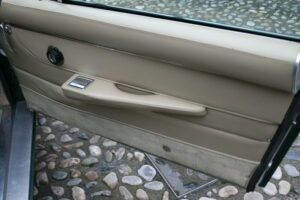 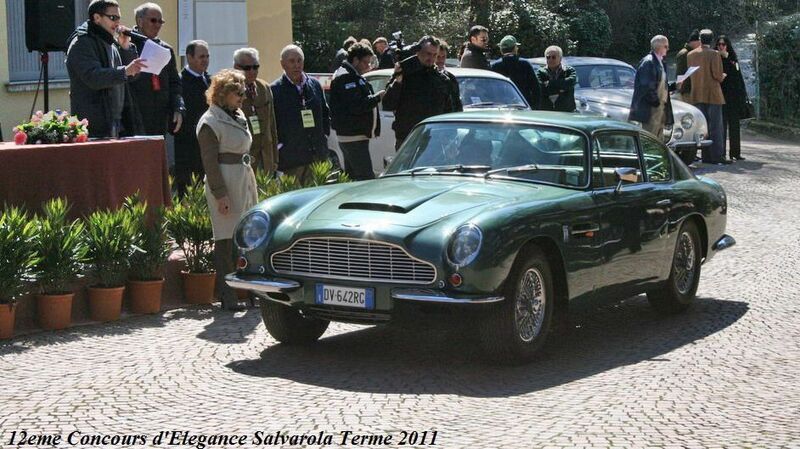 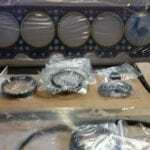 “12eme Concours d’EleganceTrofeo SalvarolaTerme 20 Marzo 2011”. 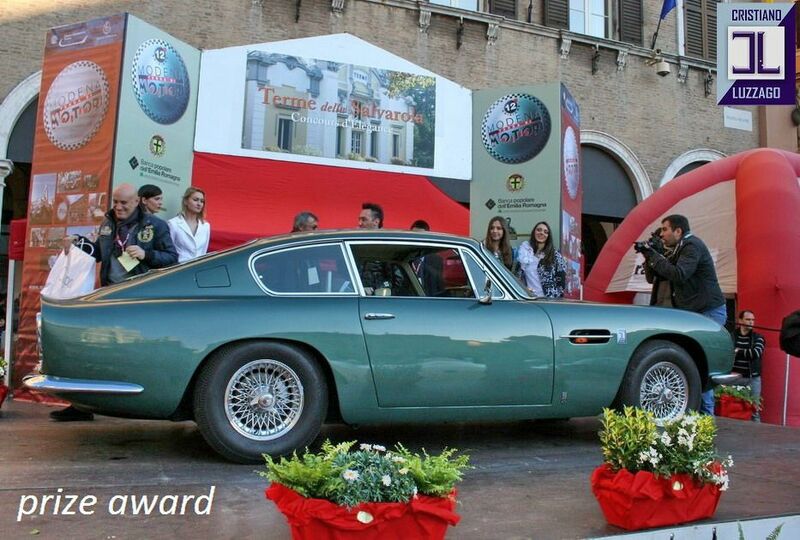 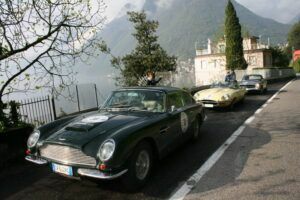 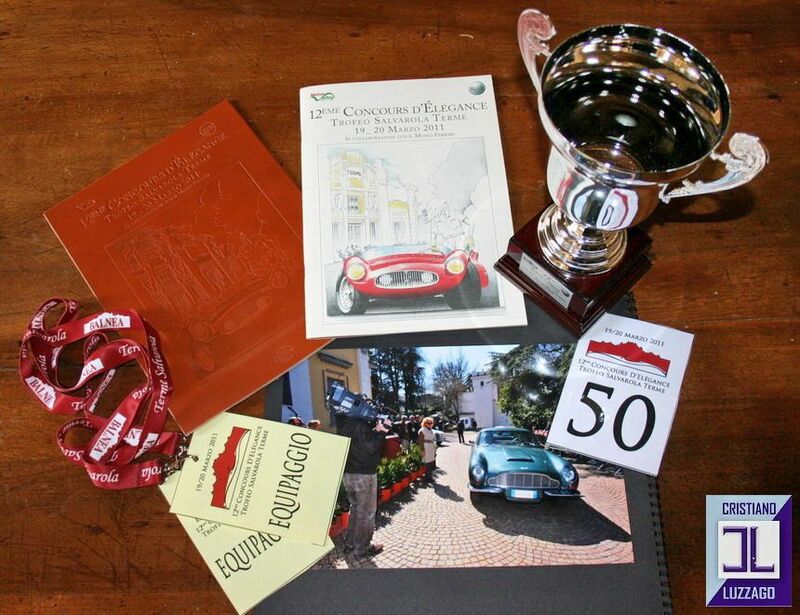 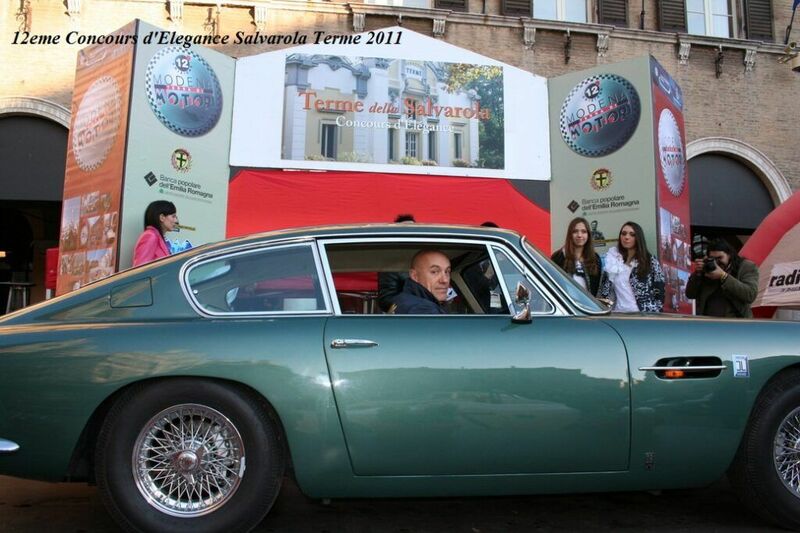 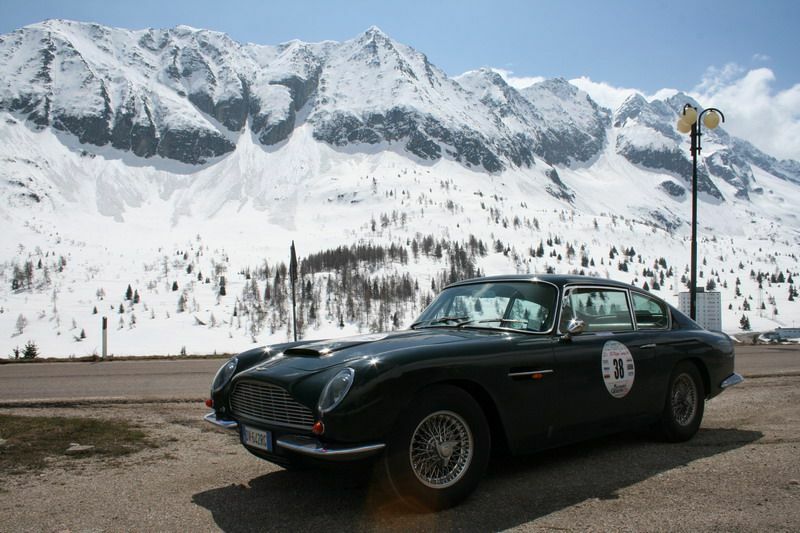 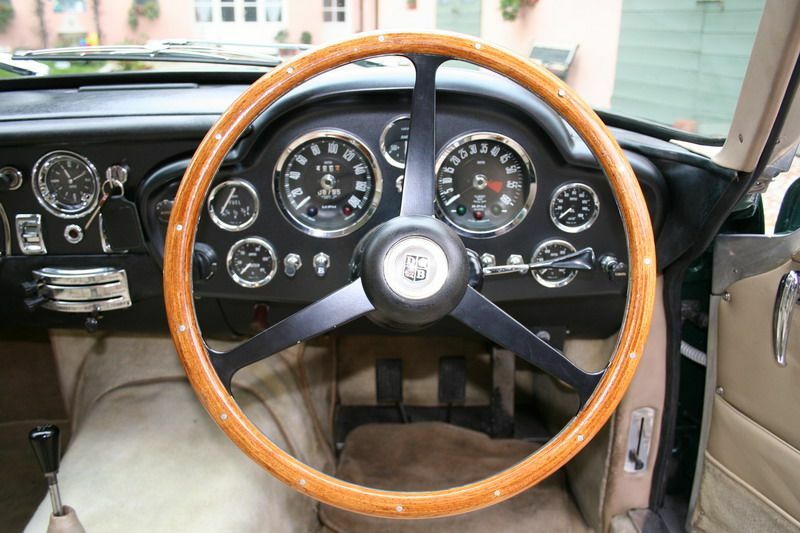 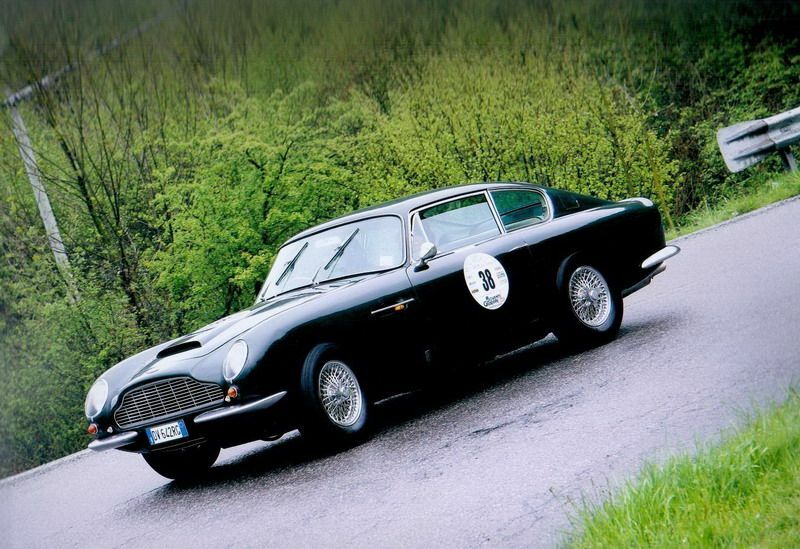 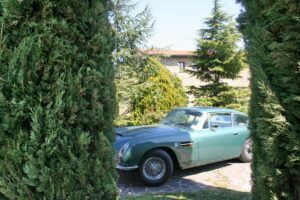 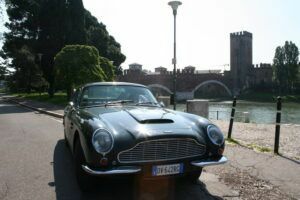 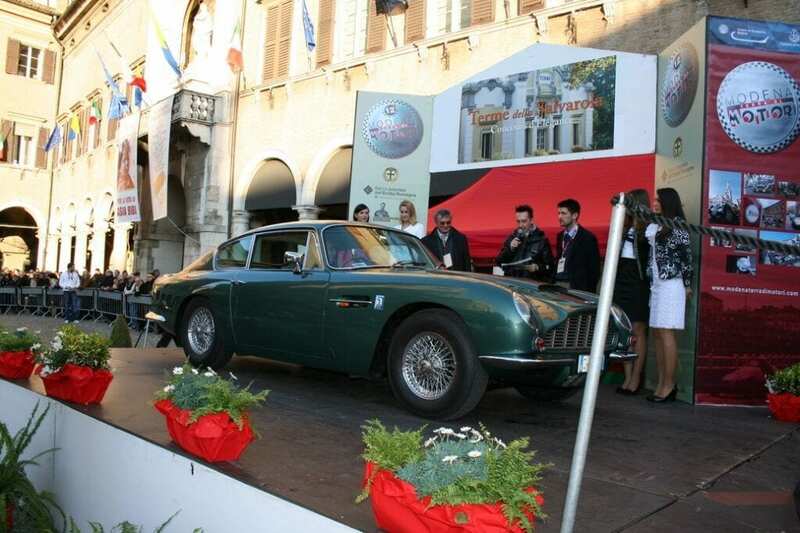 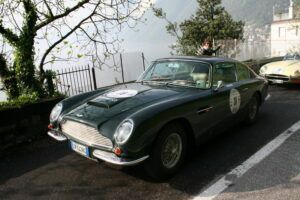 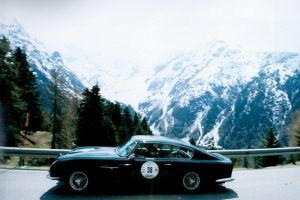 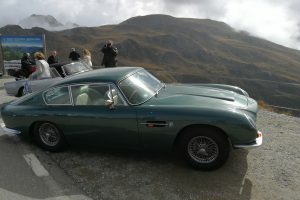 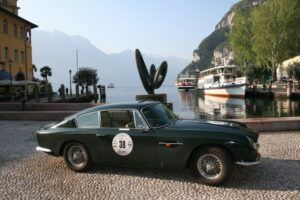 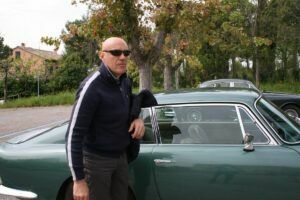 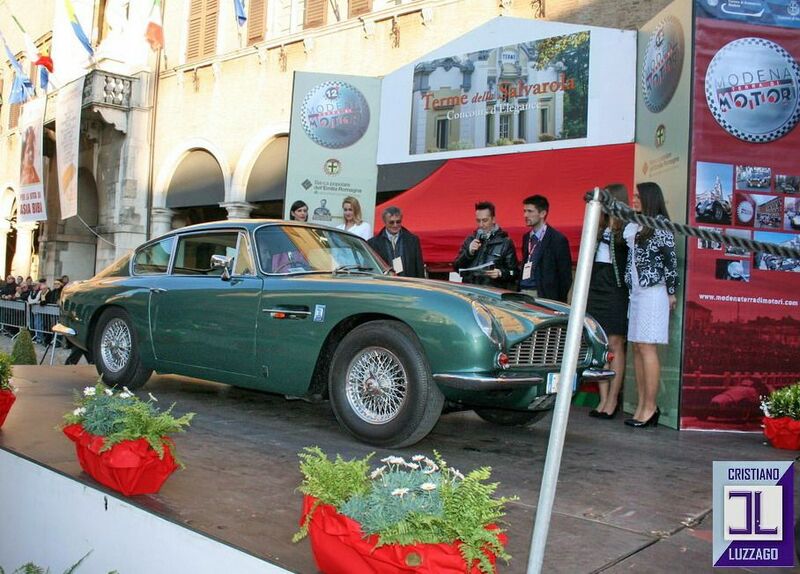 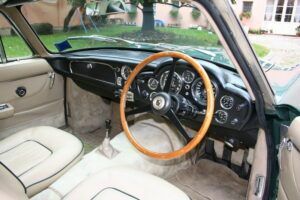 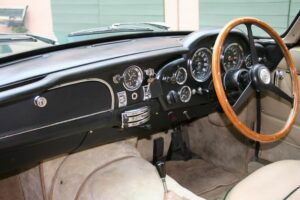 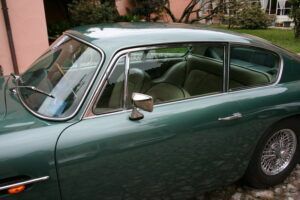 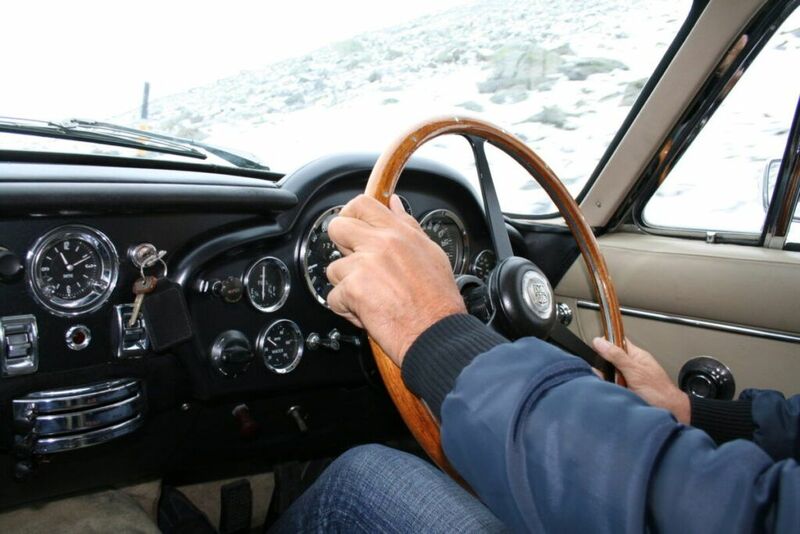 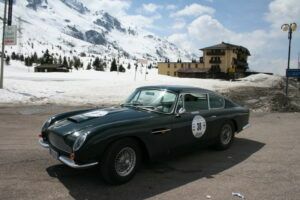 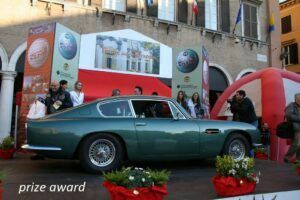 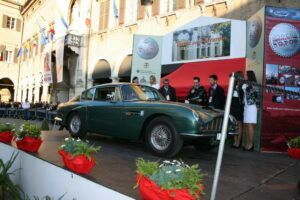 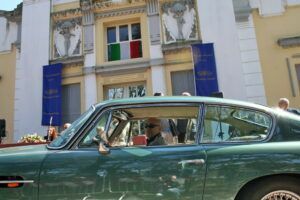 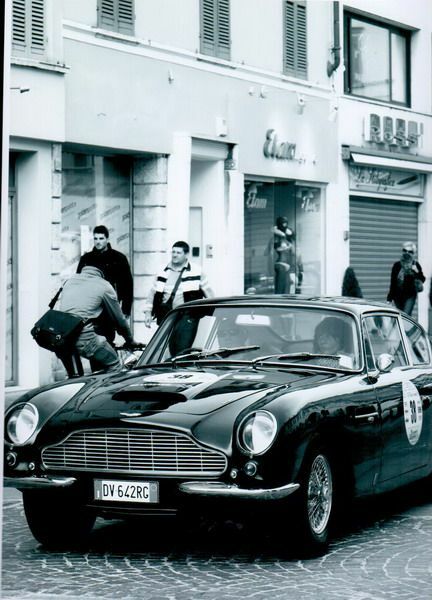 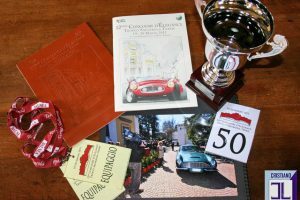 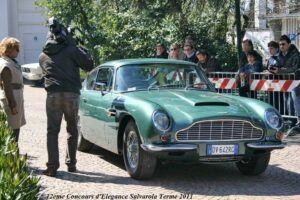 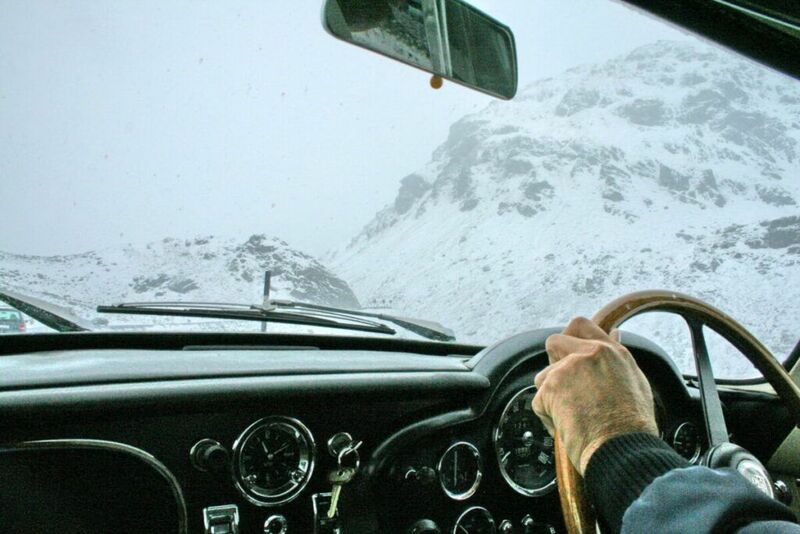 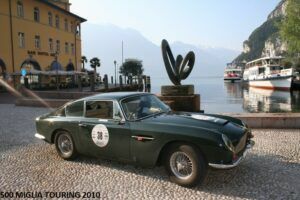 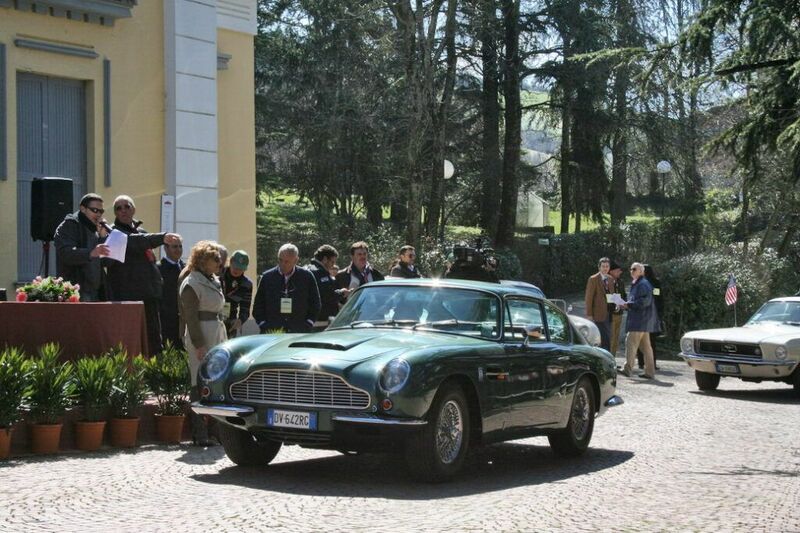 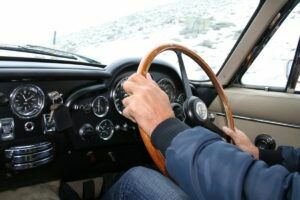 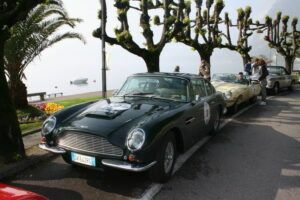 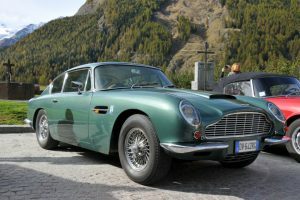 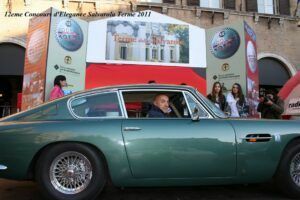 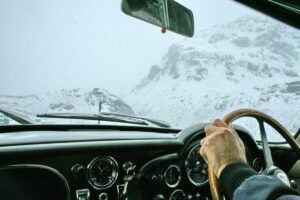 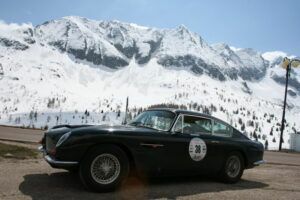 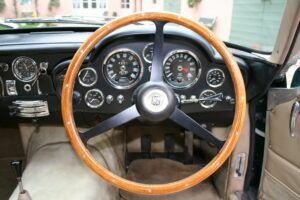 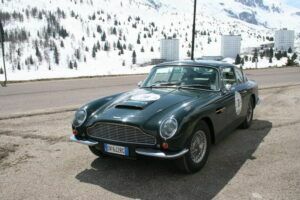 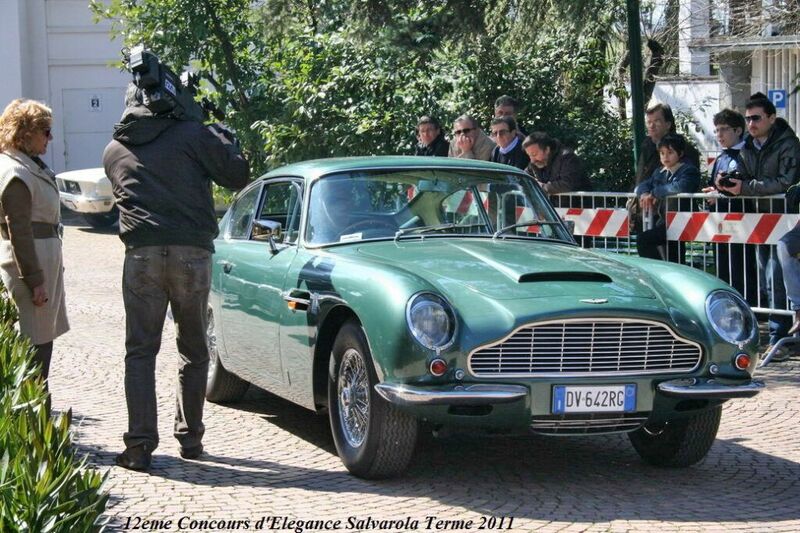 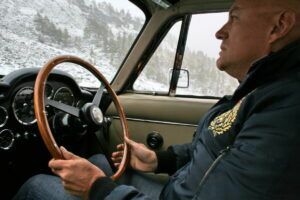 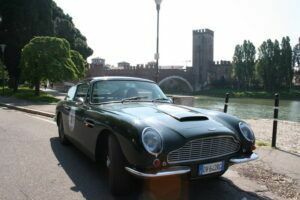 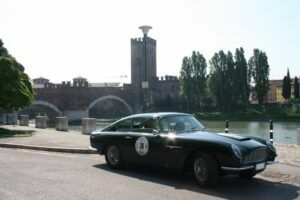 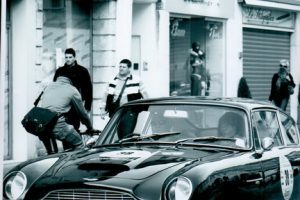 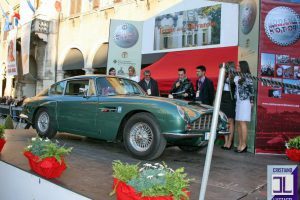 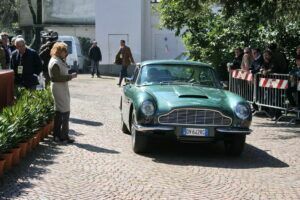 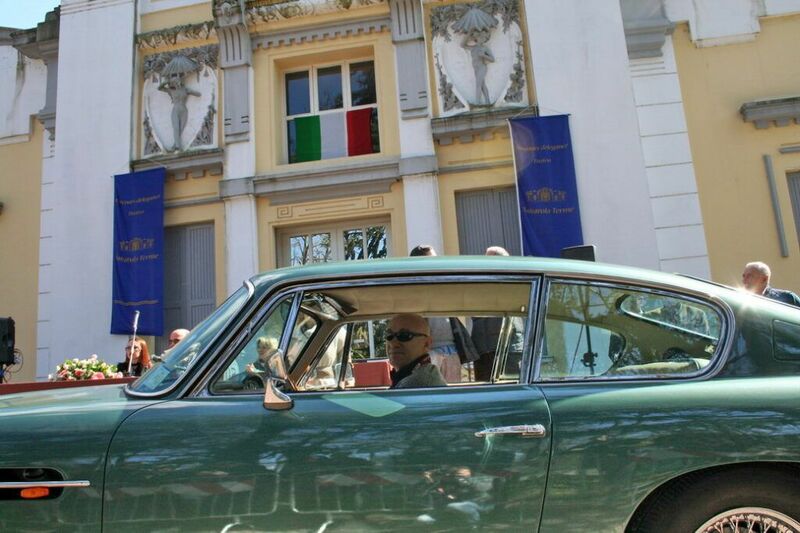 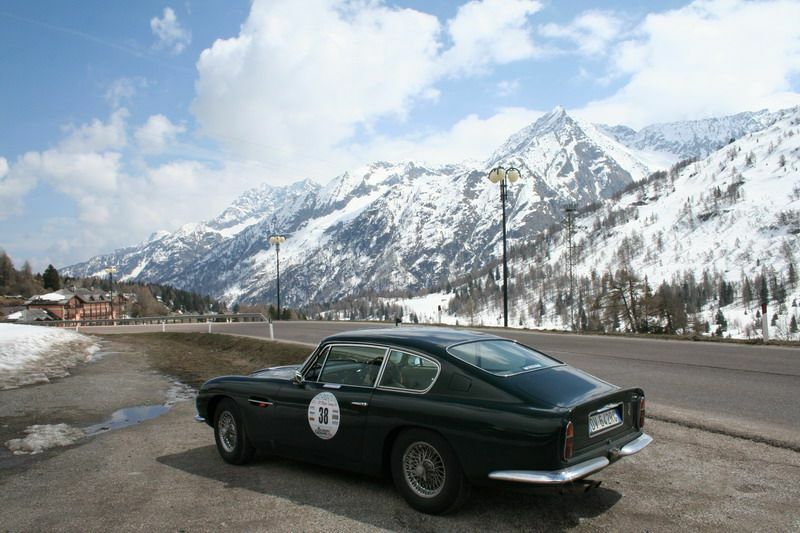 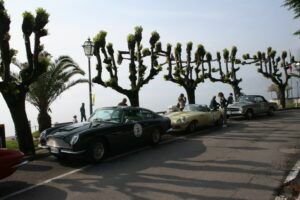 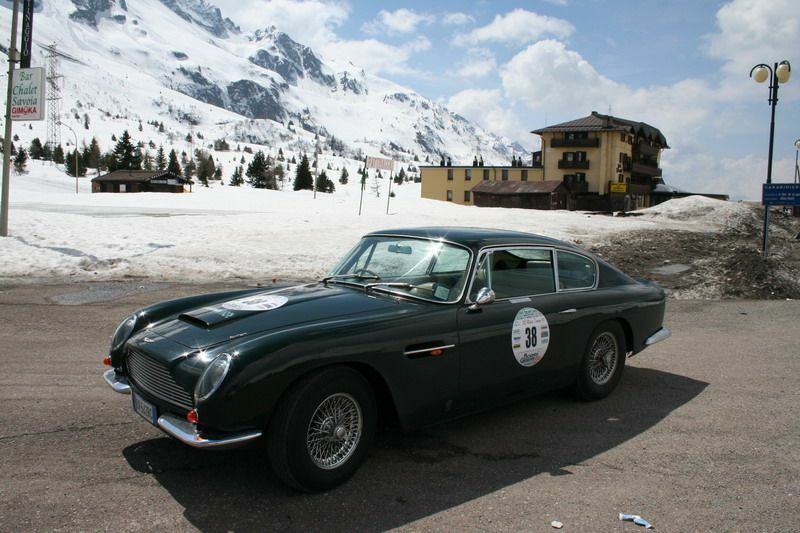 The Cristiano Luzzago’s Aston Martin DB6 wins the class 1st Prize an 2nd Prize Award respectively for the best preserved interior and Elegance. 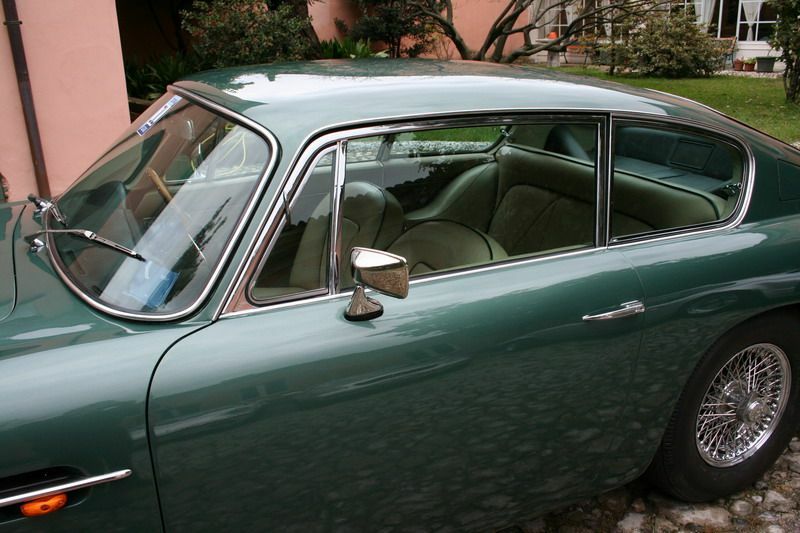 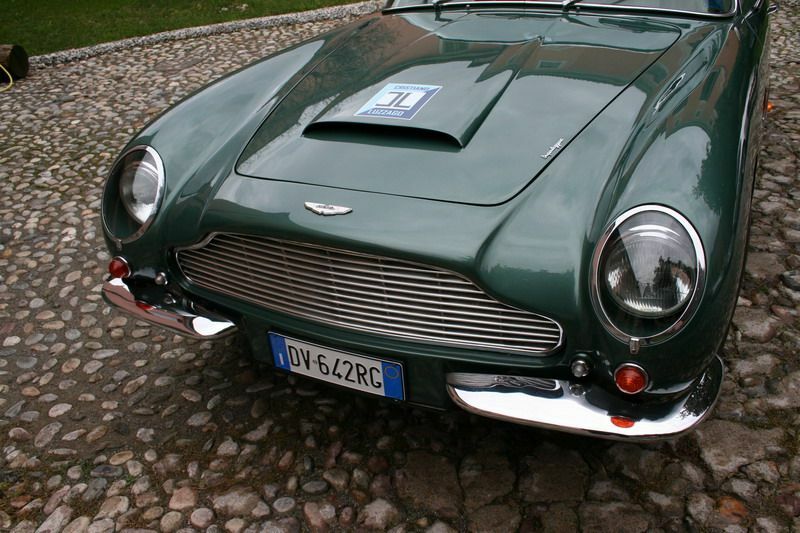 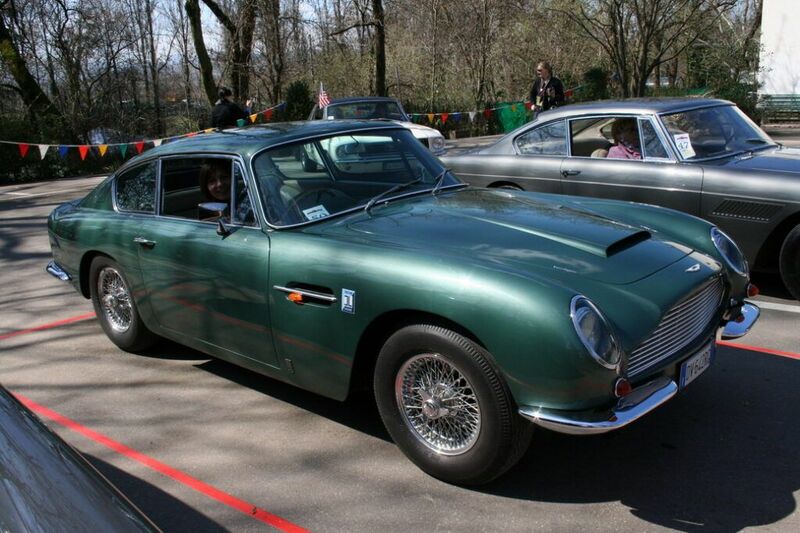 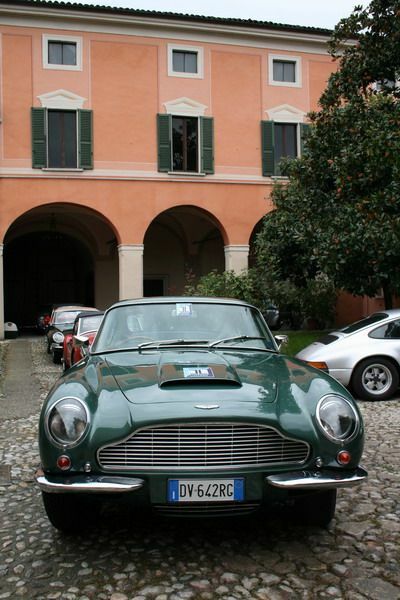 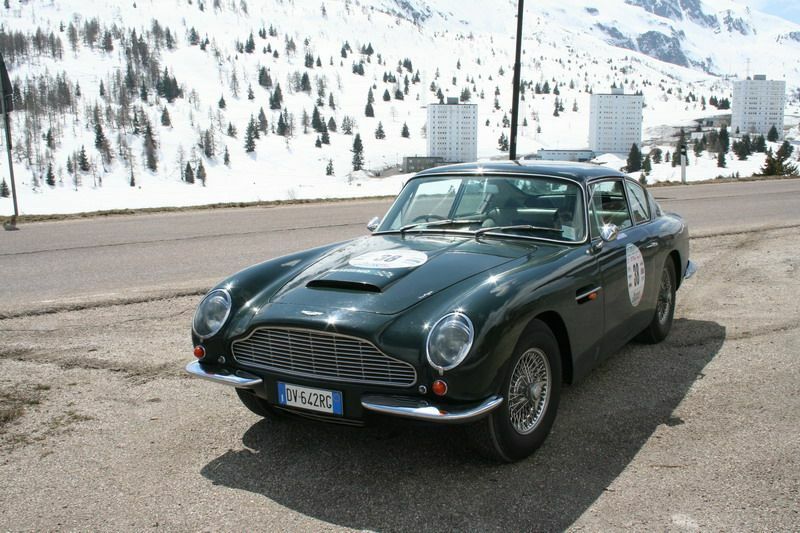 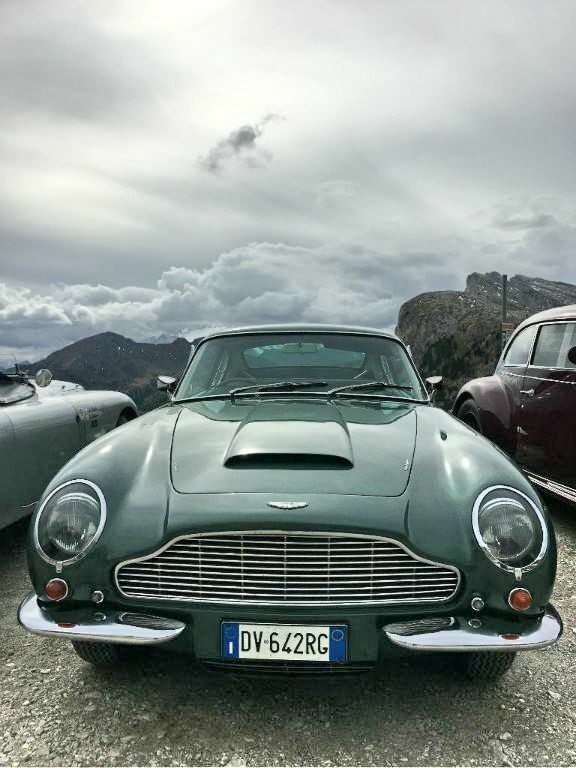 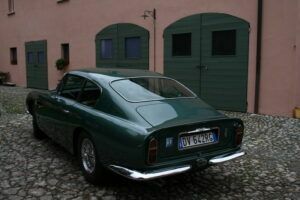 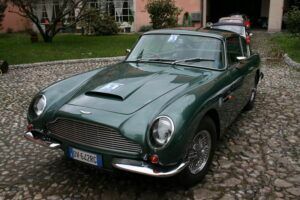 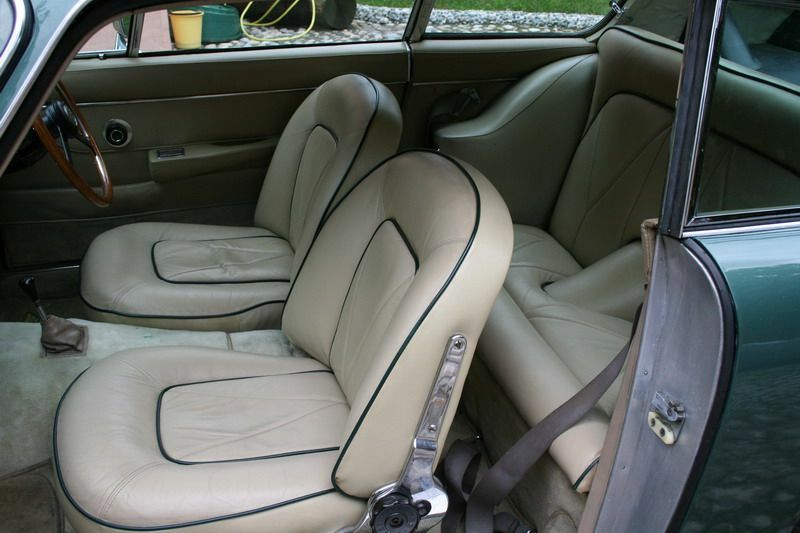 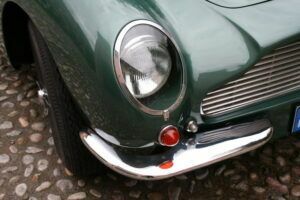 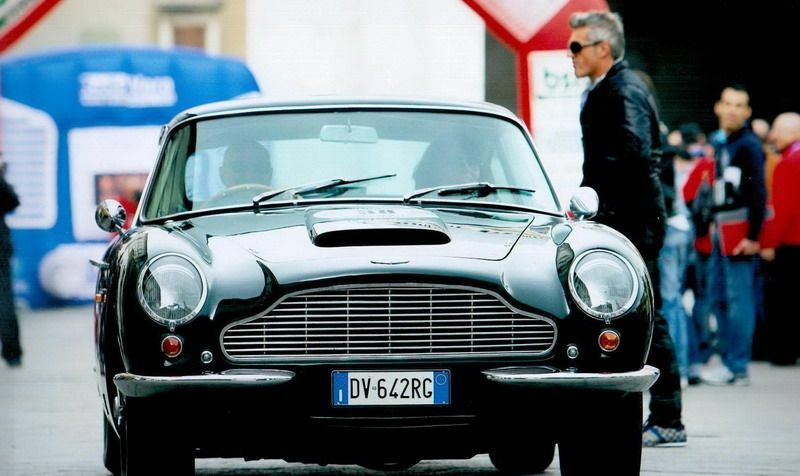 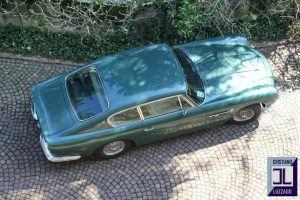 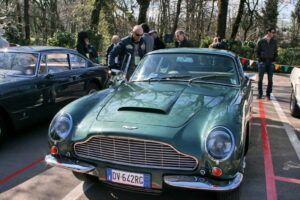 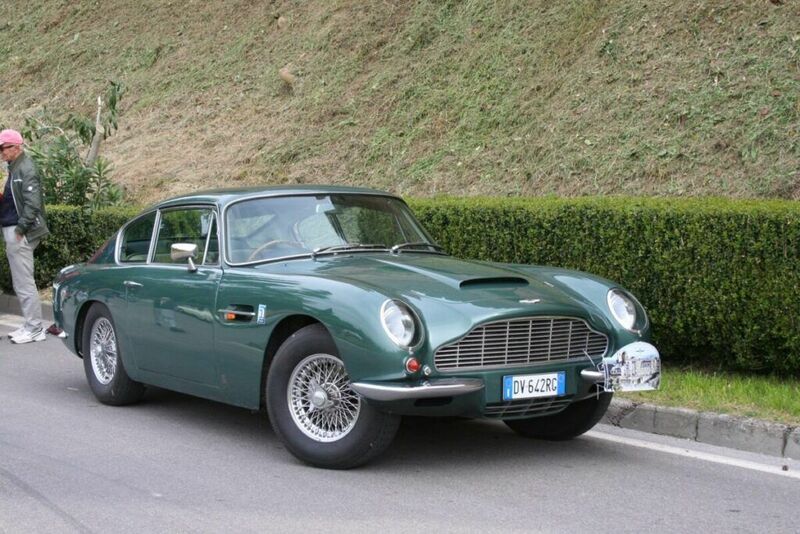 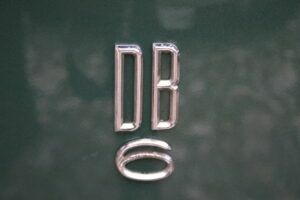 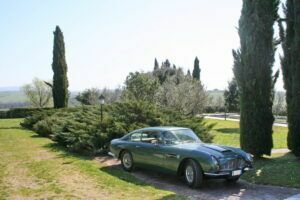 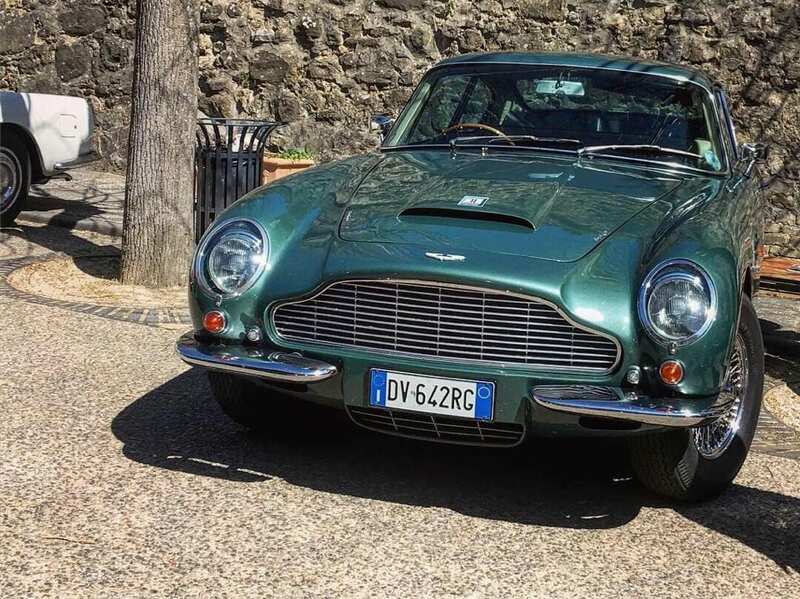 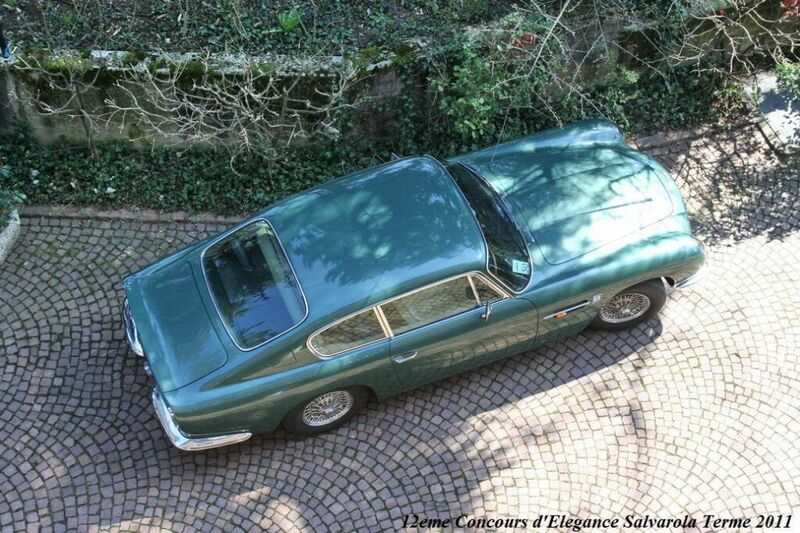 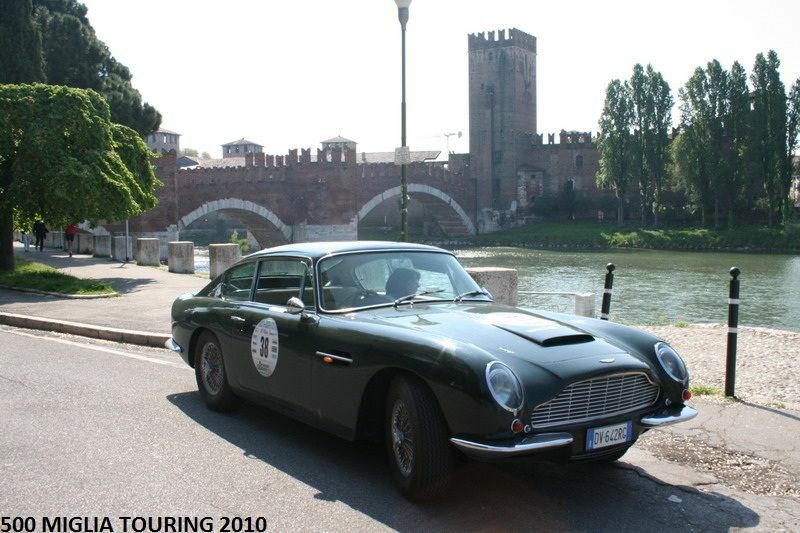 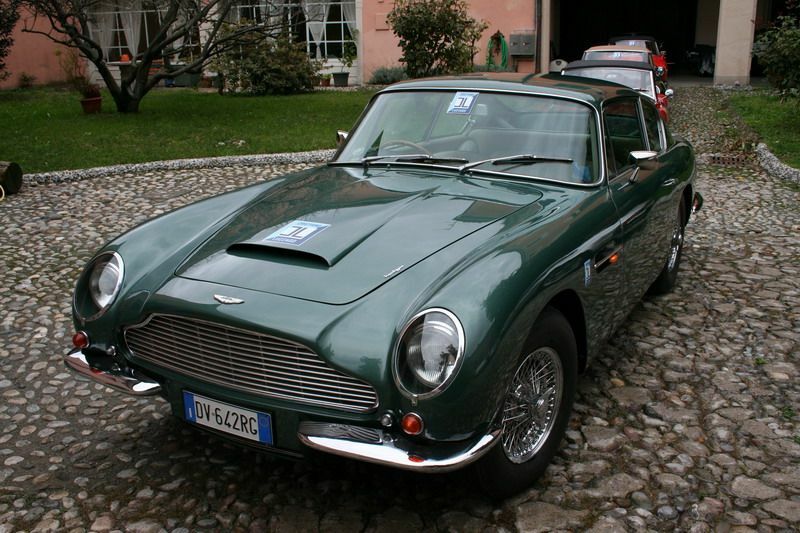 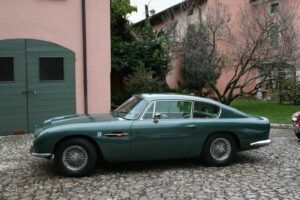 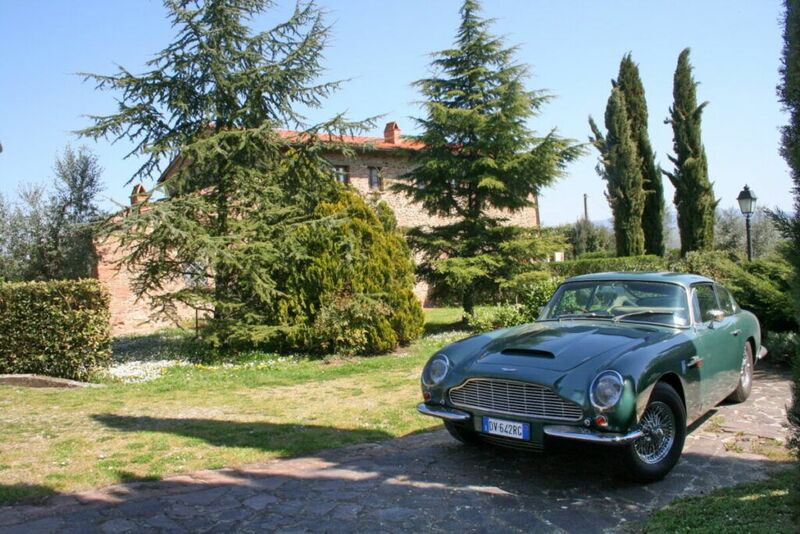 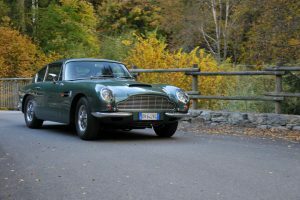 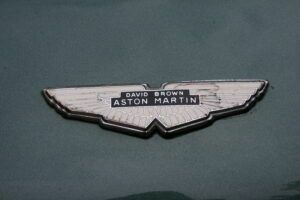 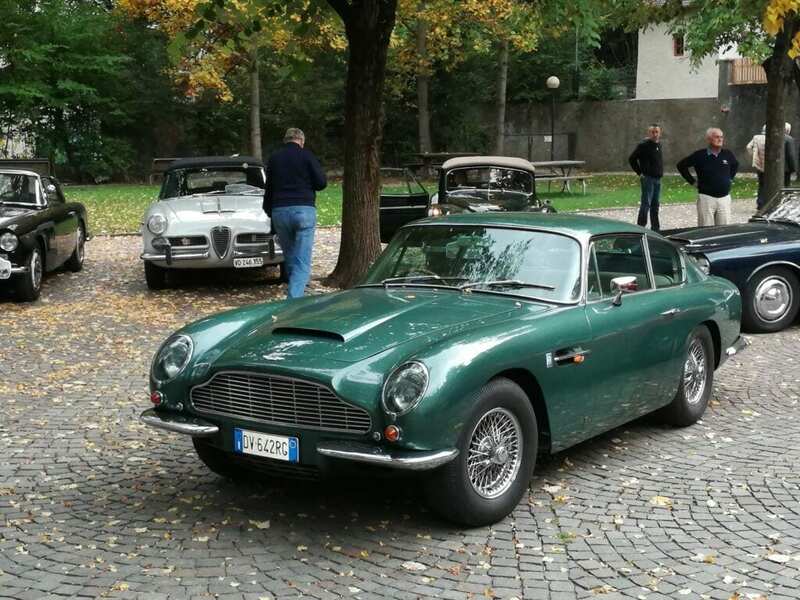 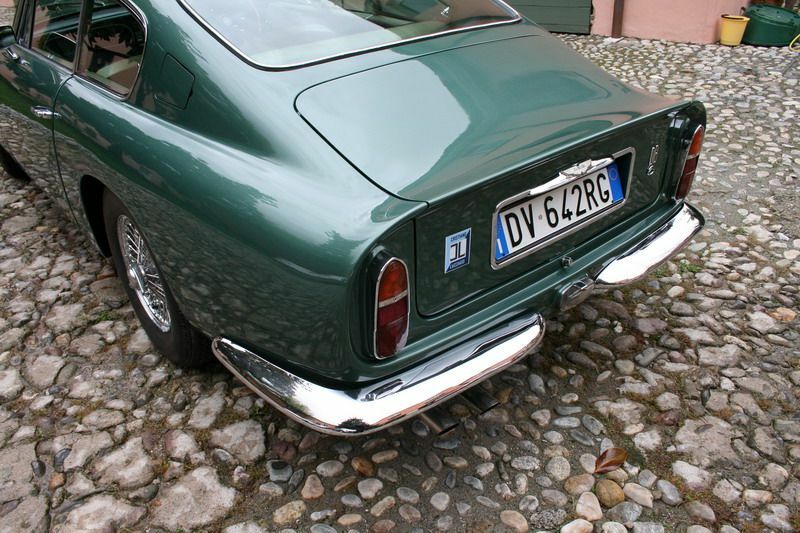 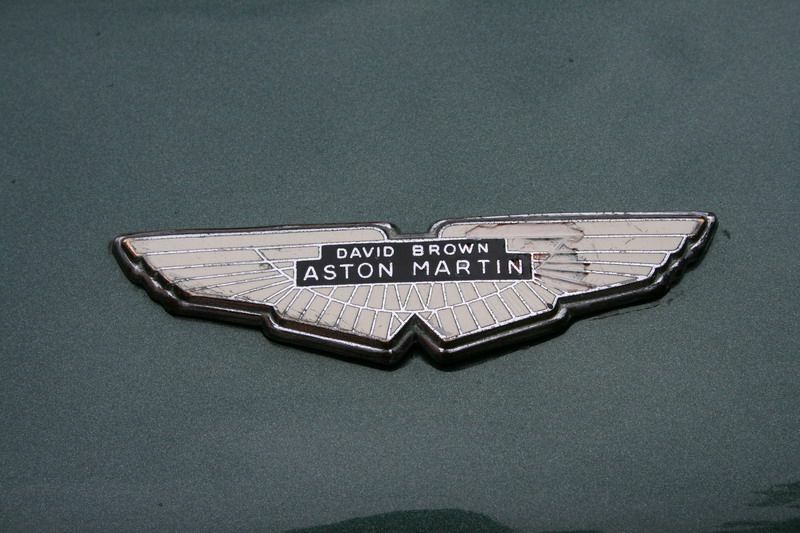 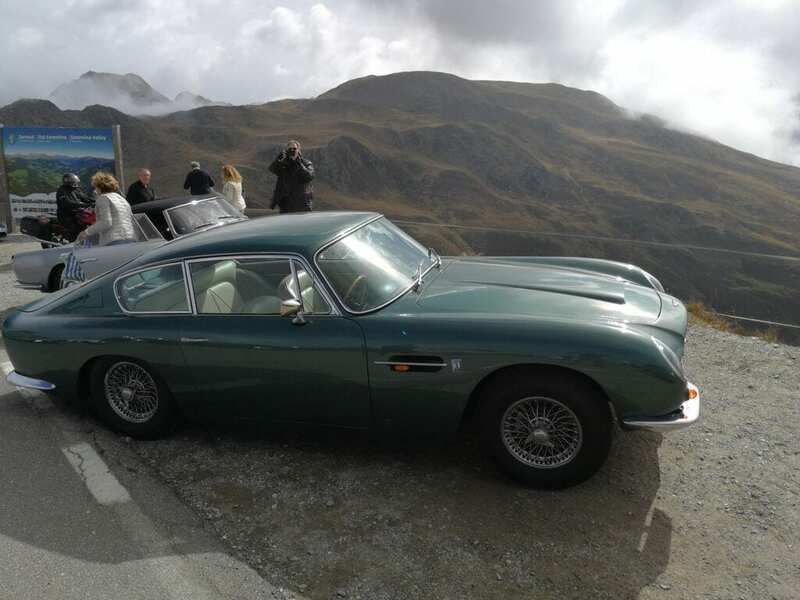 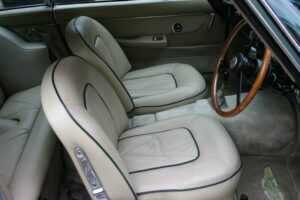 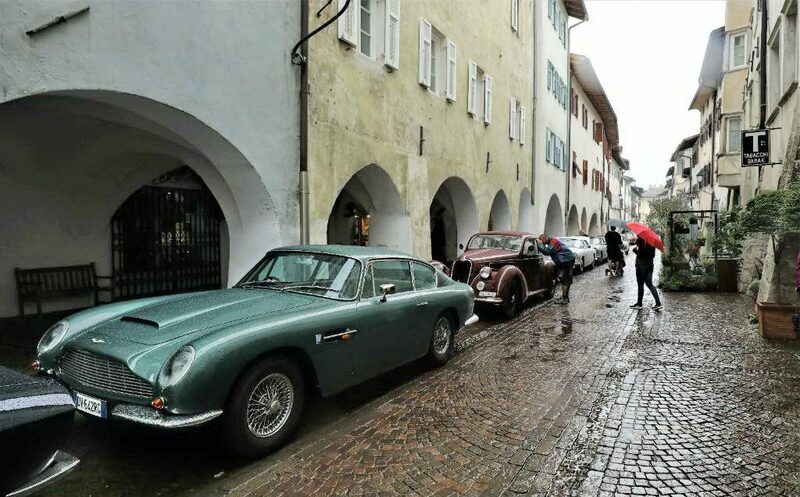 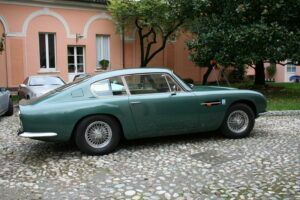 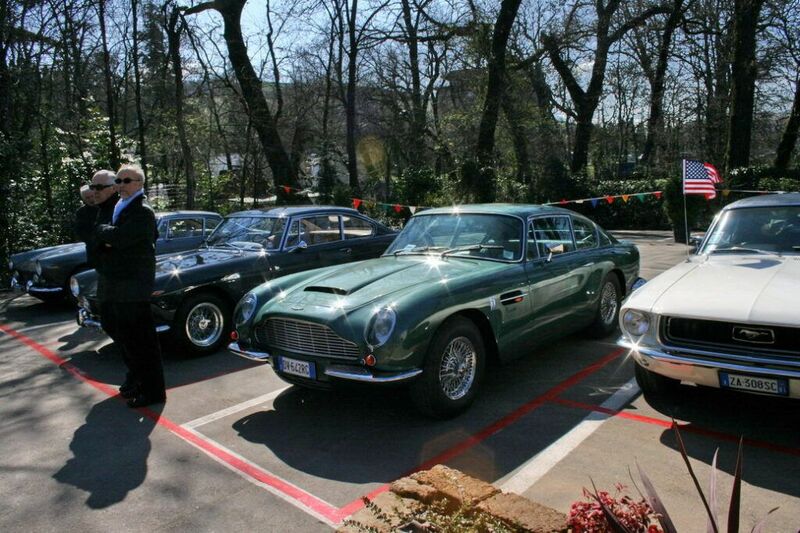 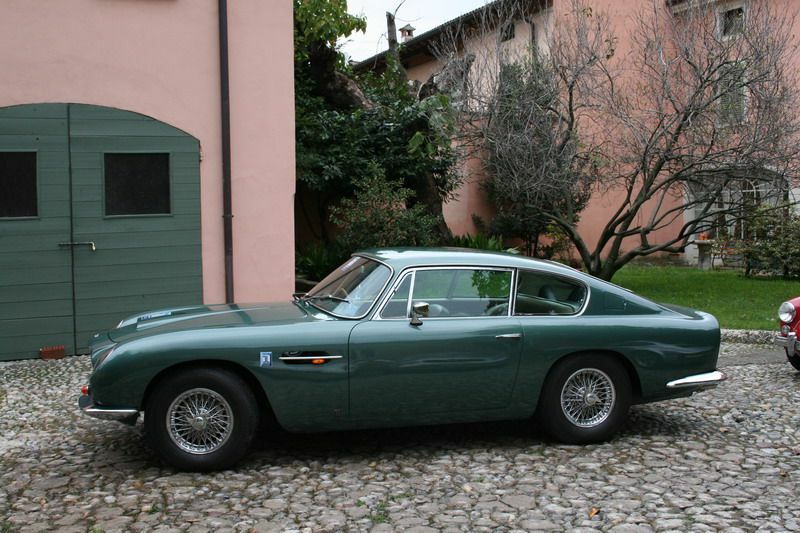 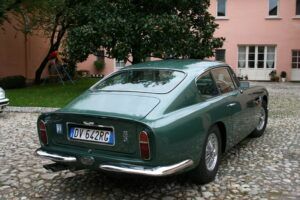 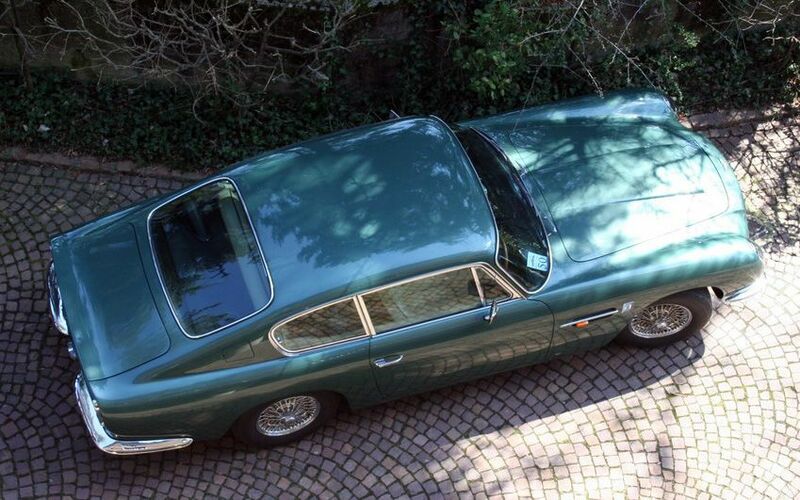 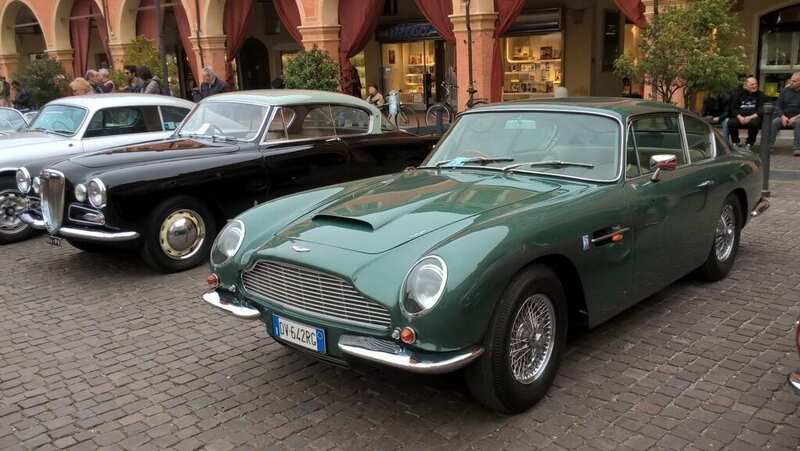 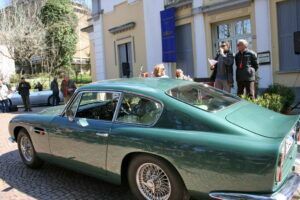 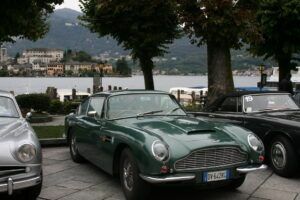 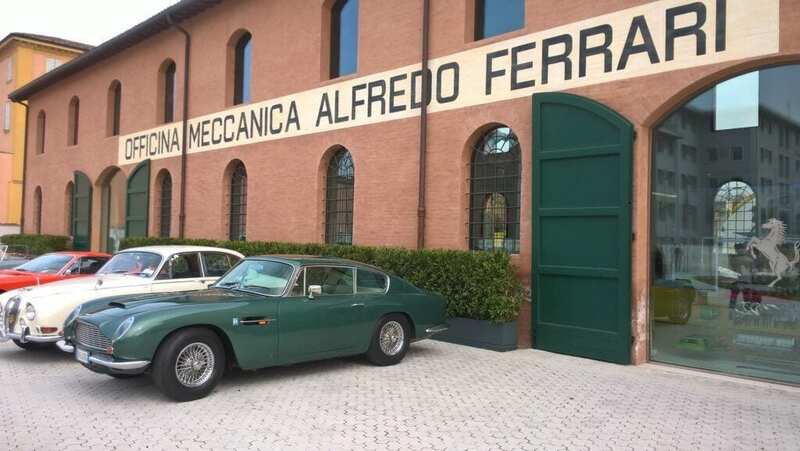 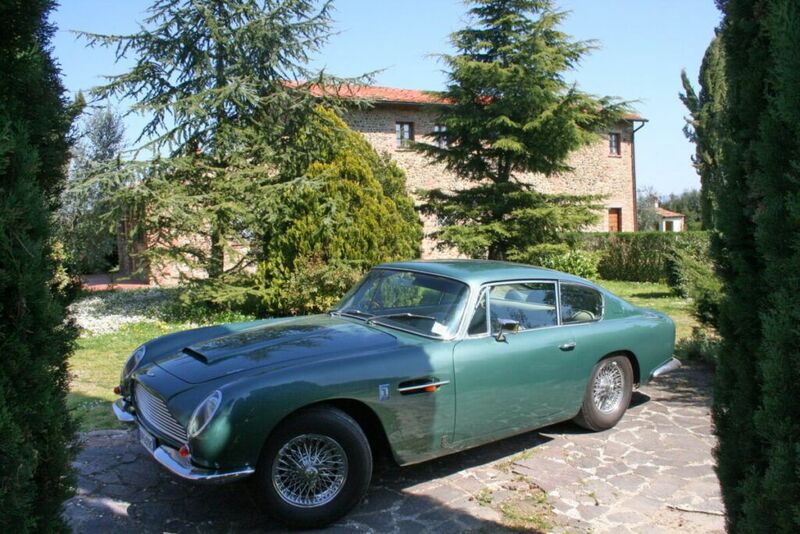 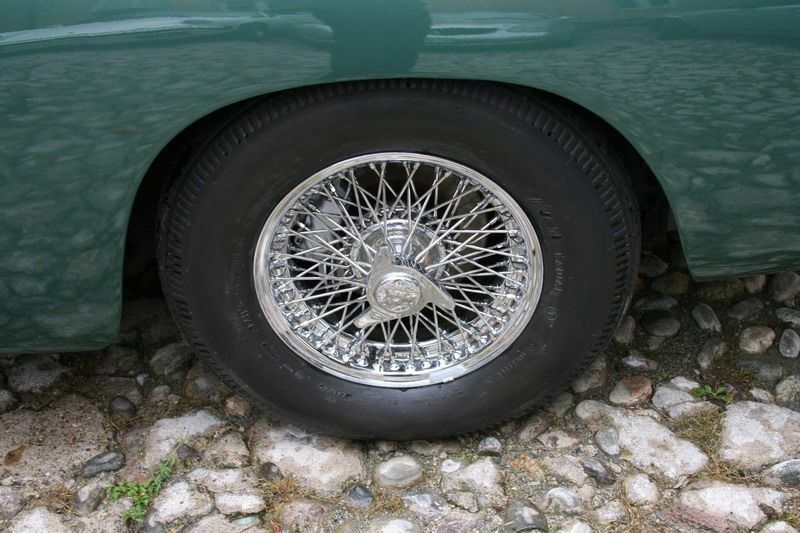 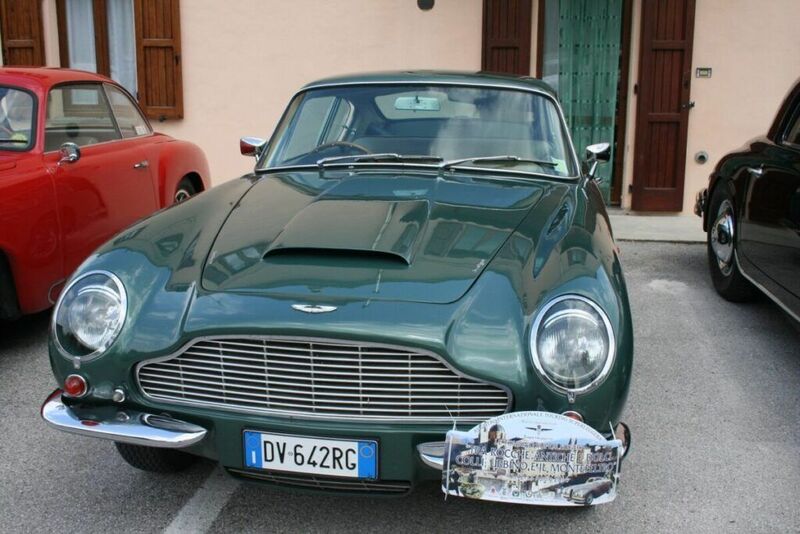 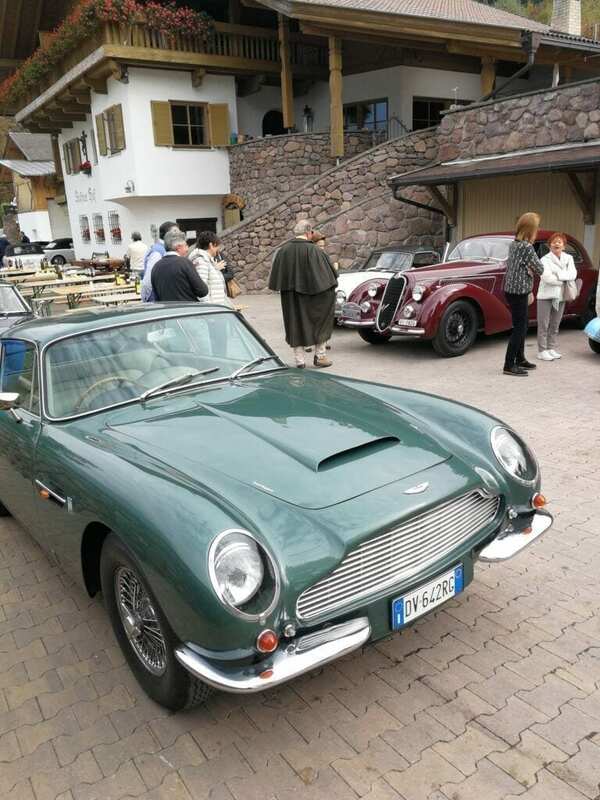 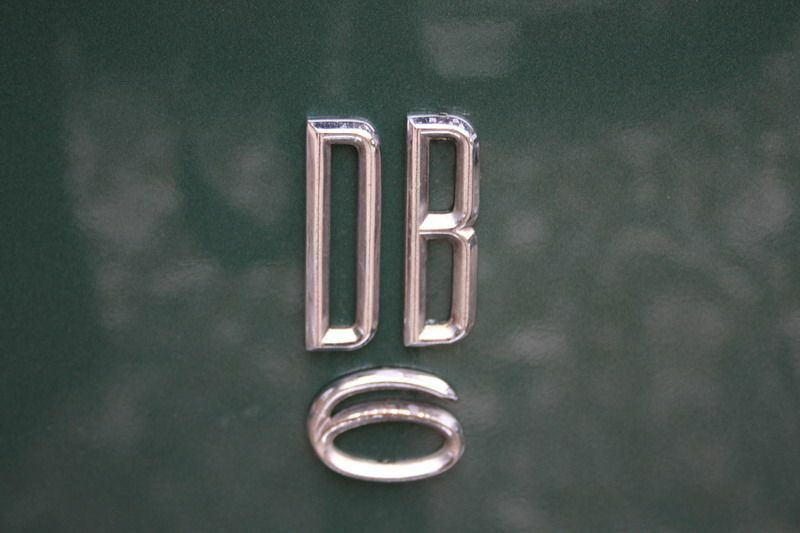 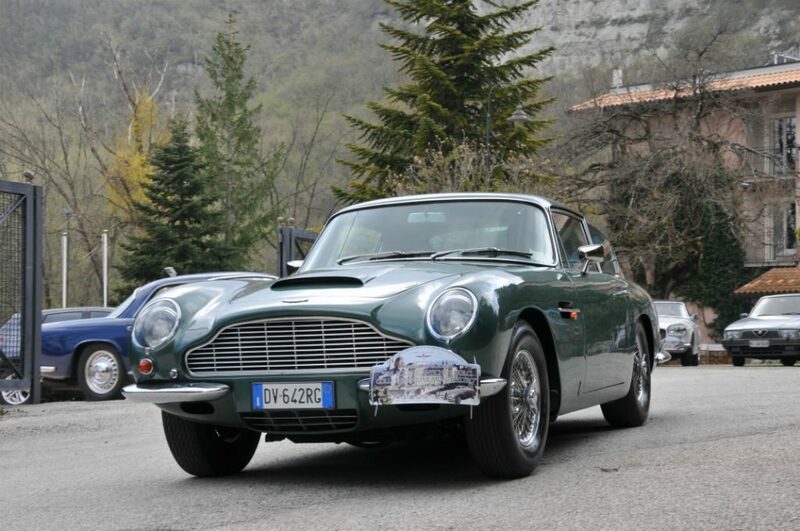 Aston green metallic, beige leather, chromed wire wheels, new Avon tires, mechanically completely reconditioned spending over 30.000 euros, driven only 2000 kms . 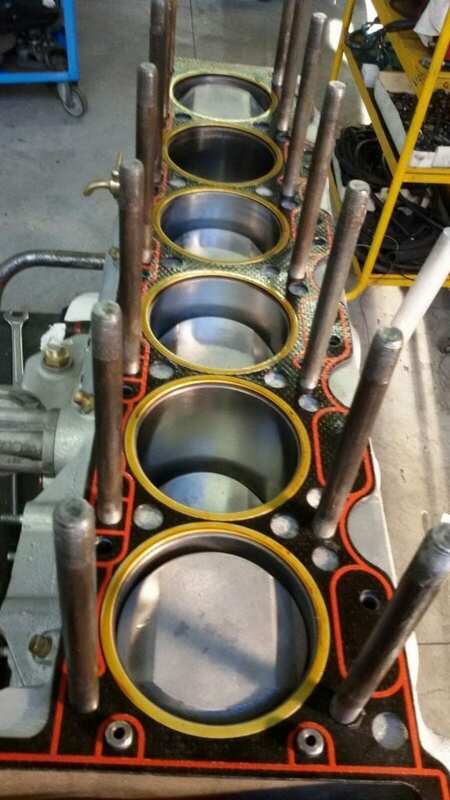 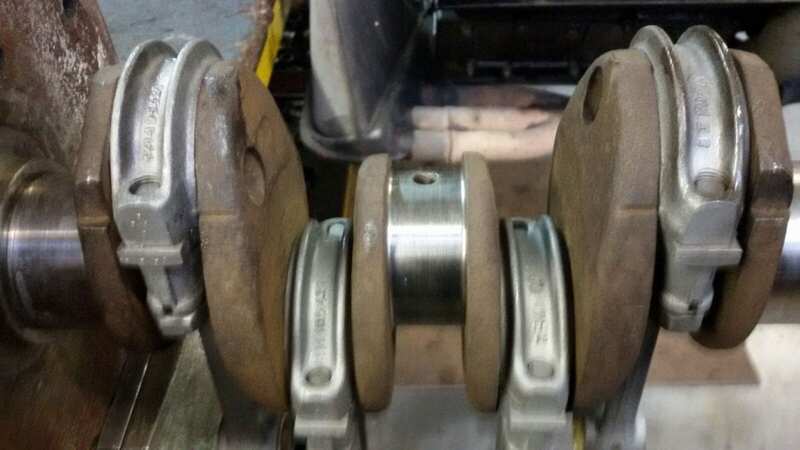 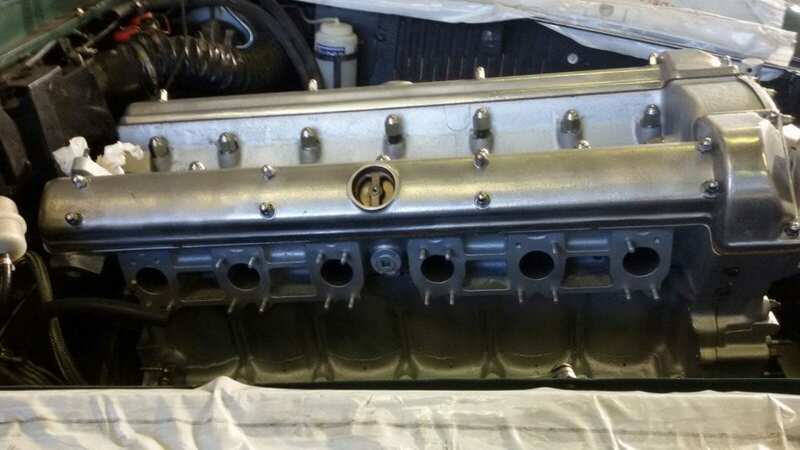 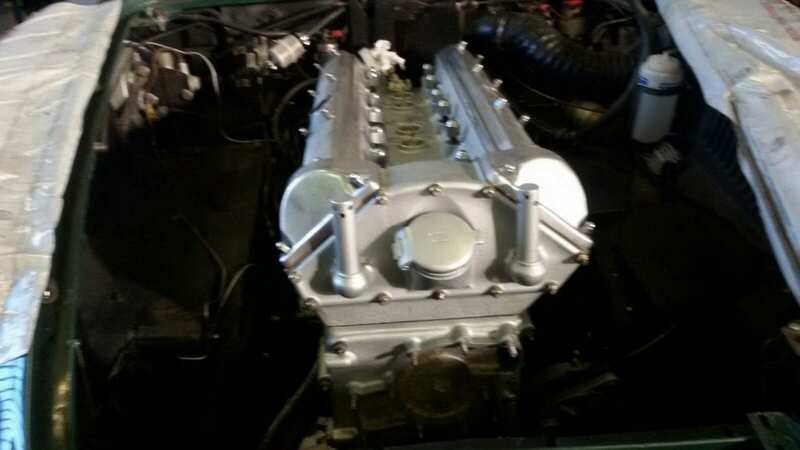 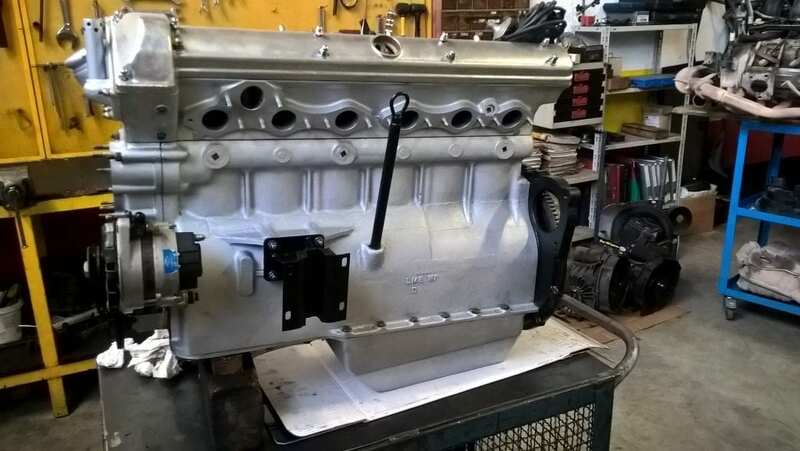 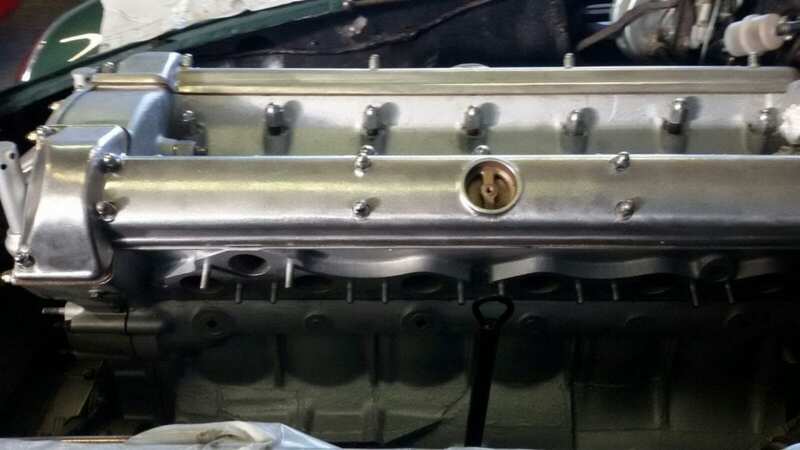 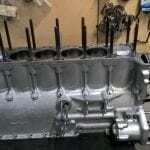 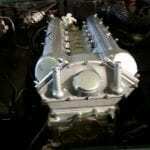 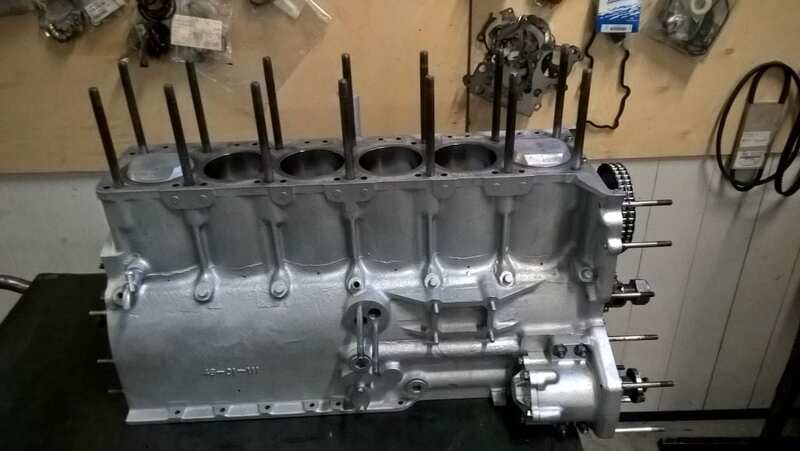 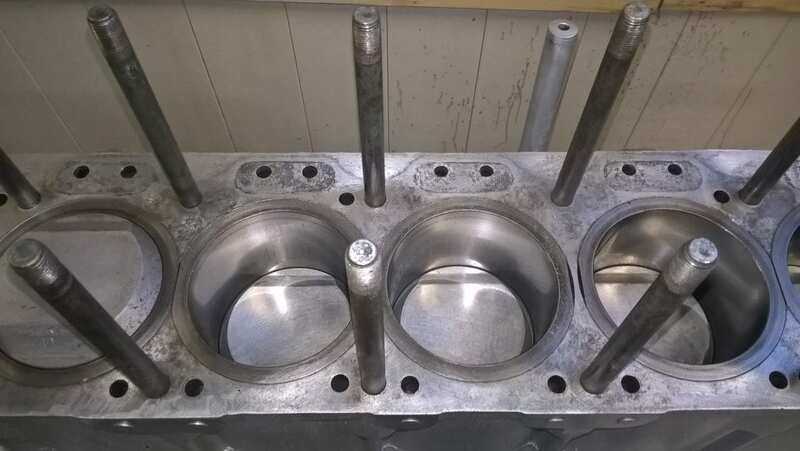 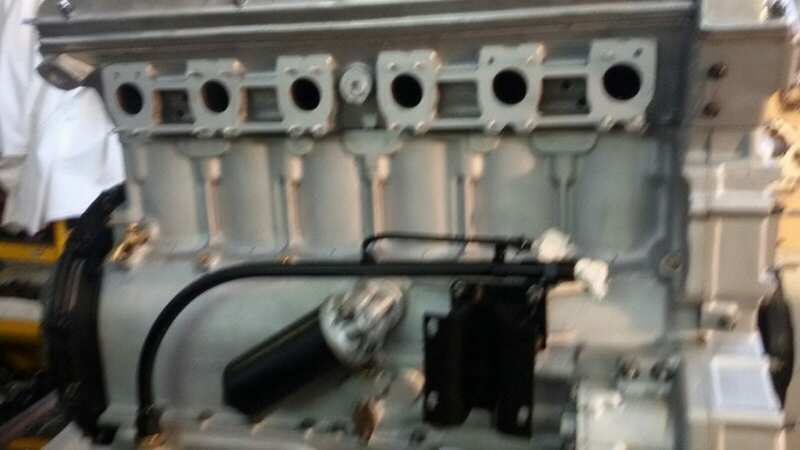 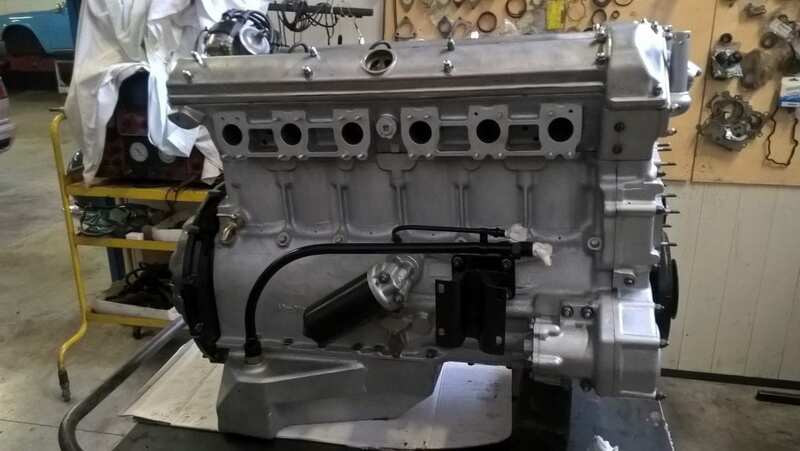 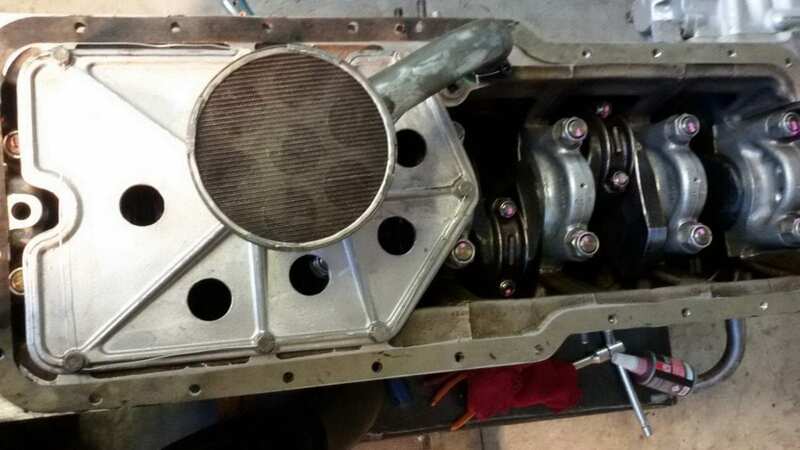 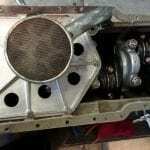 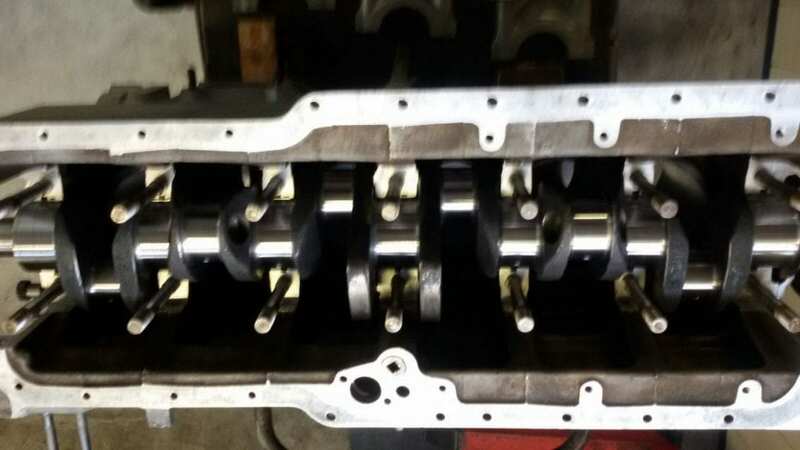 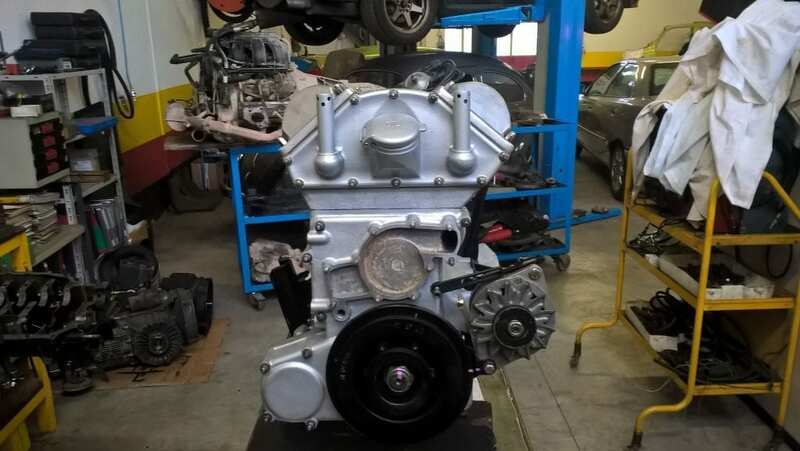 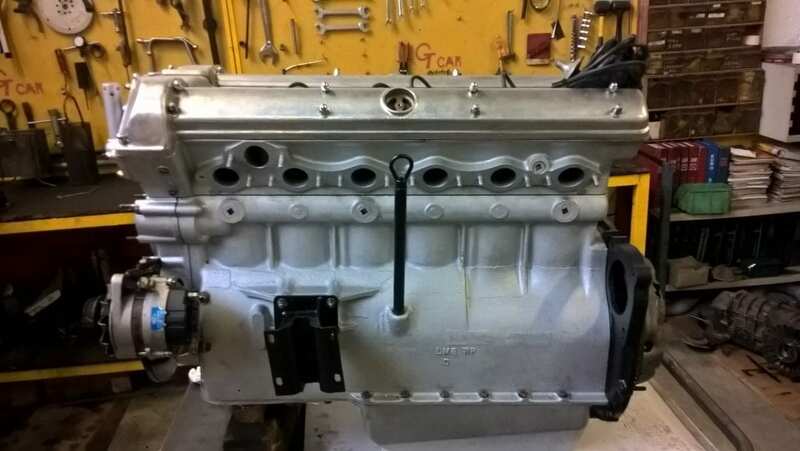 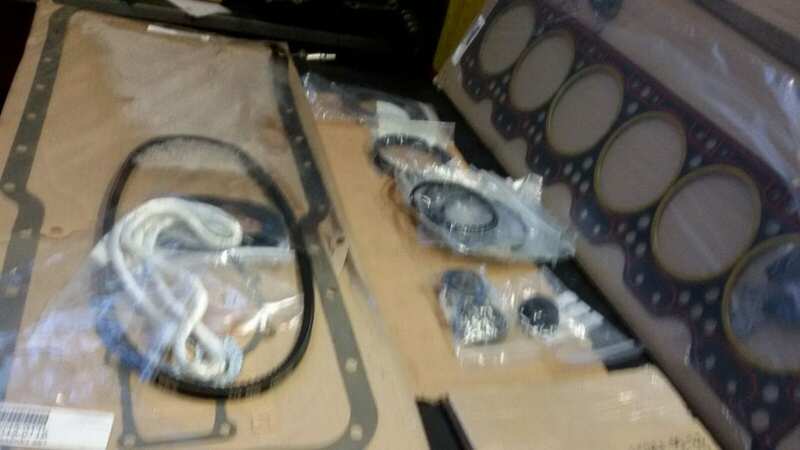 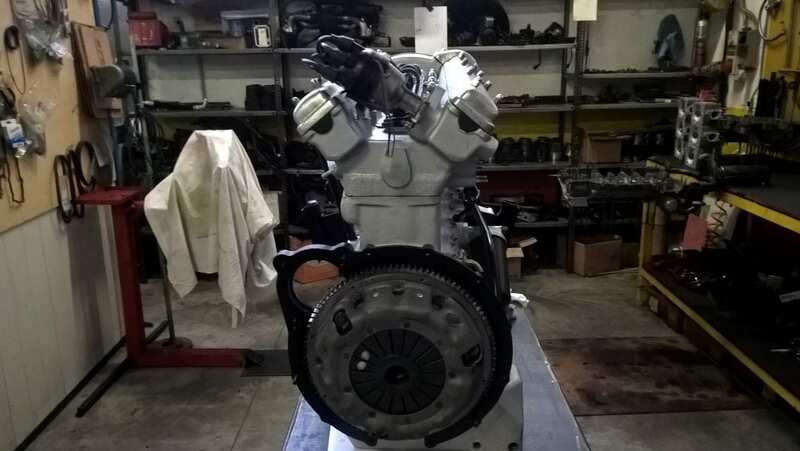 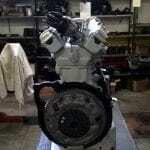 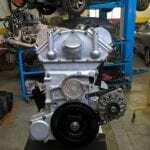 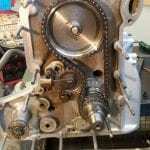 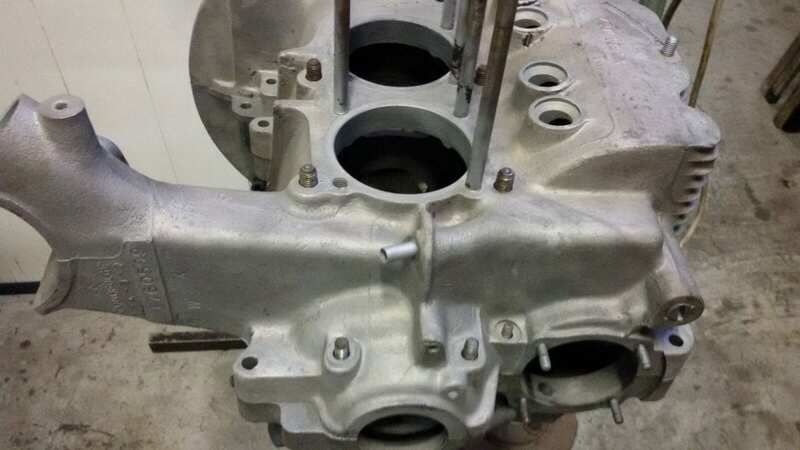 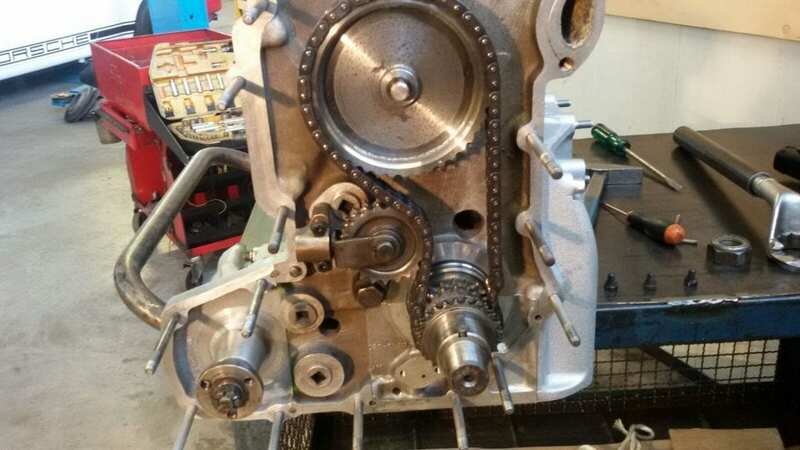 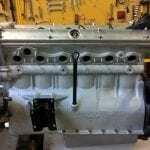 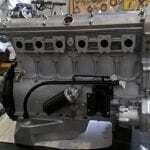 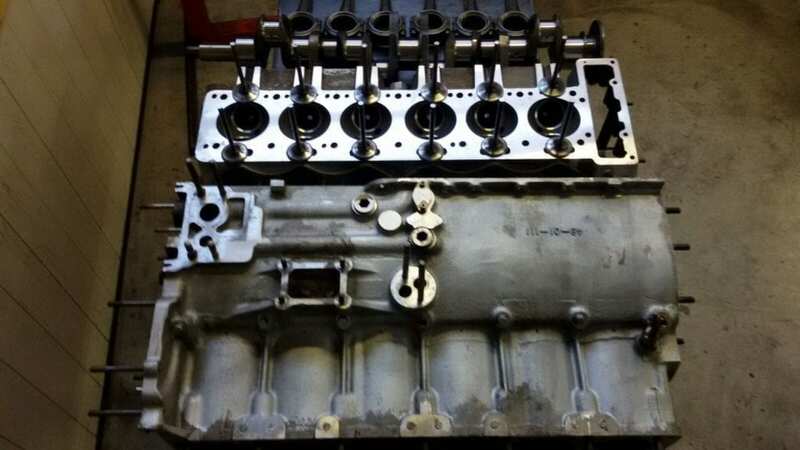 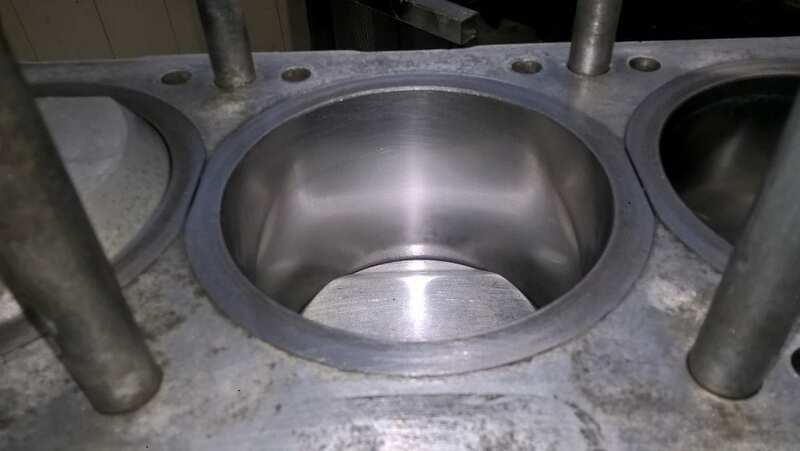 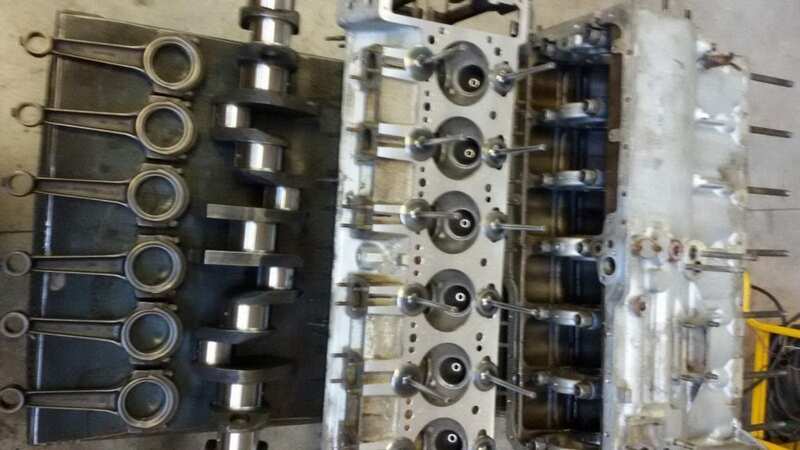 New brake sistem,new cooling sistem, new clutch,new suspension, steering, new fuel sistem, engine checked with new oil seals and gaskets, reconditioned carburetters, Electric sistem completely checked. 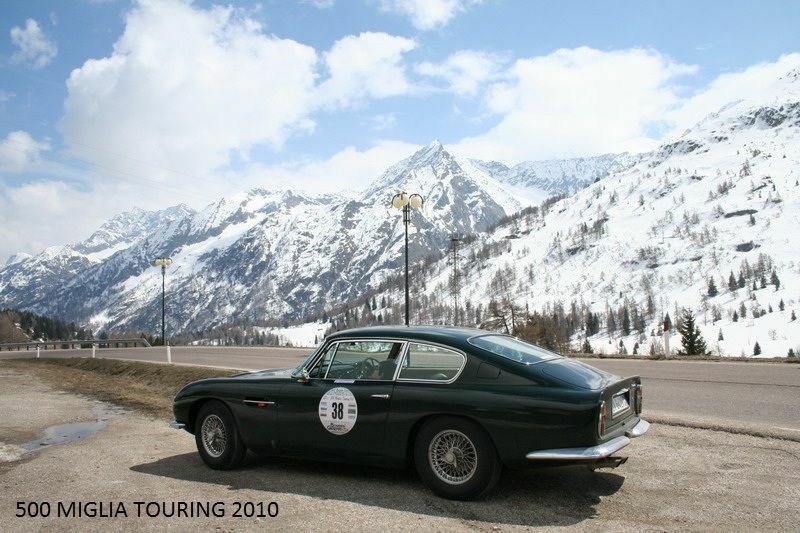 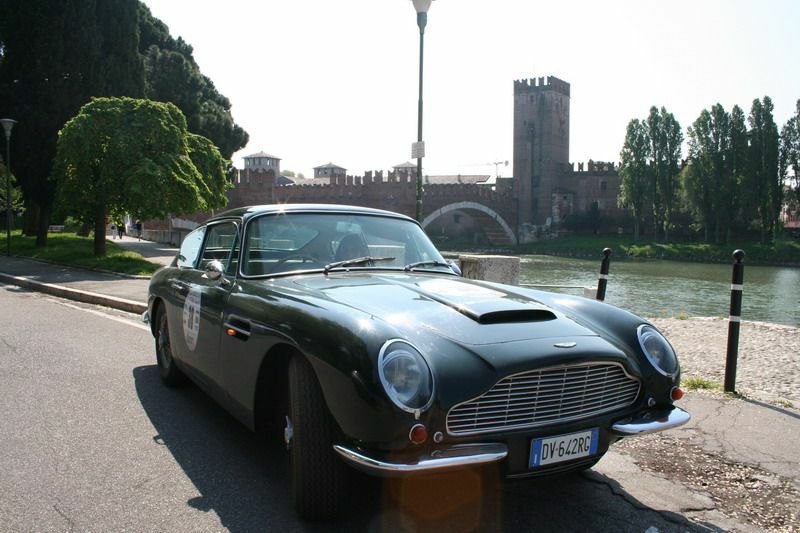 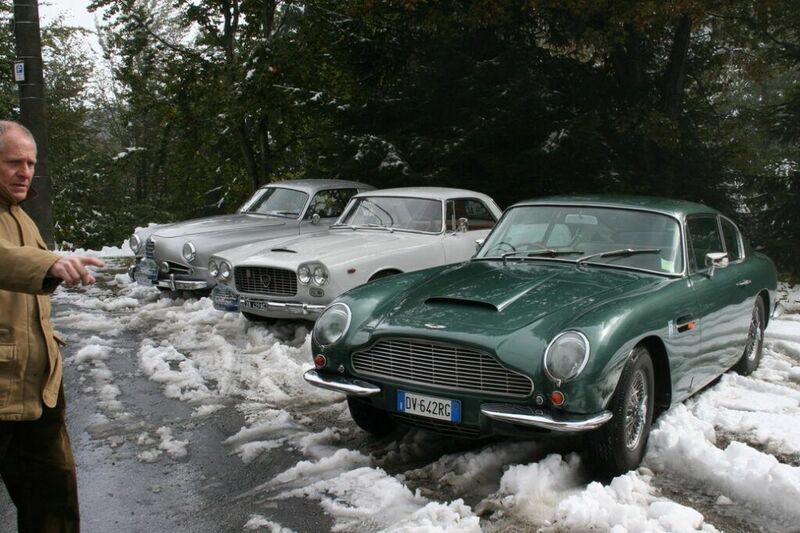 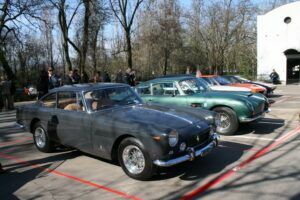 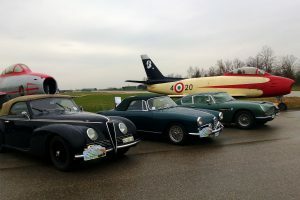 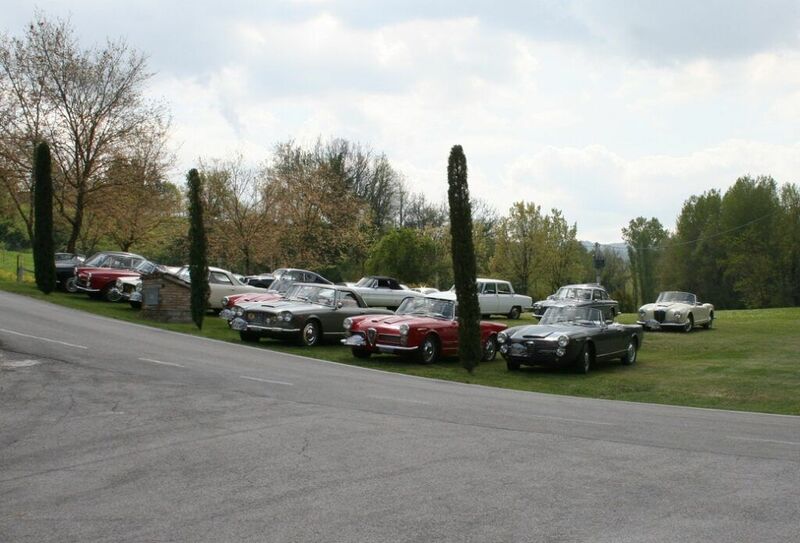 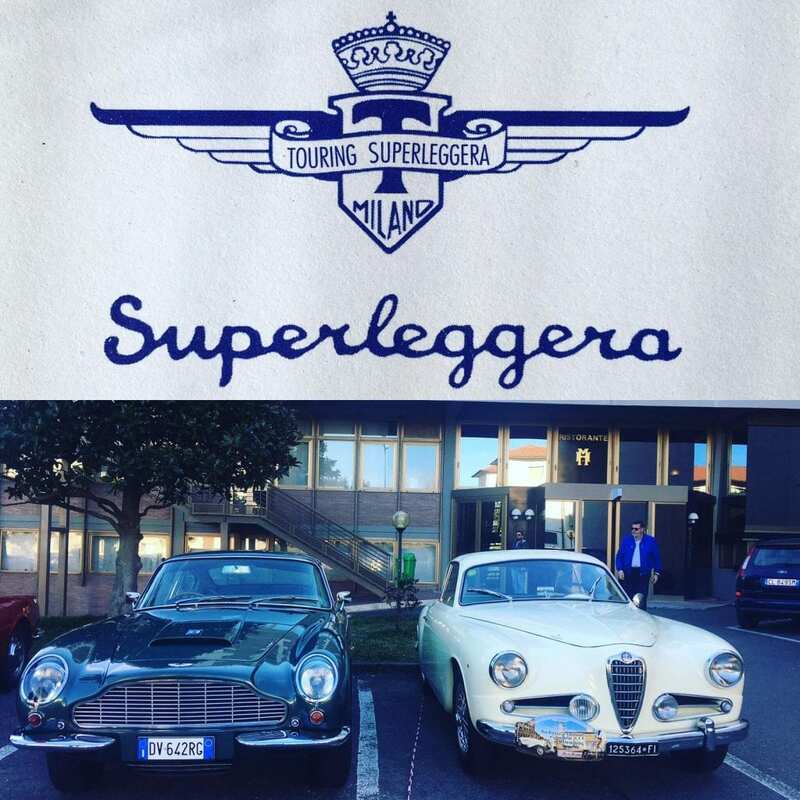 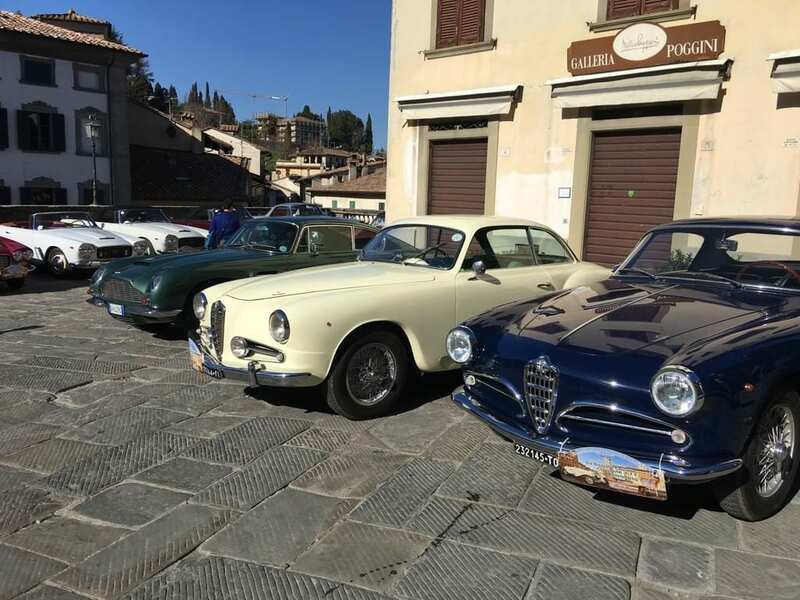 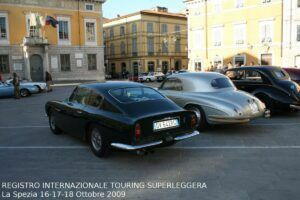 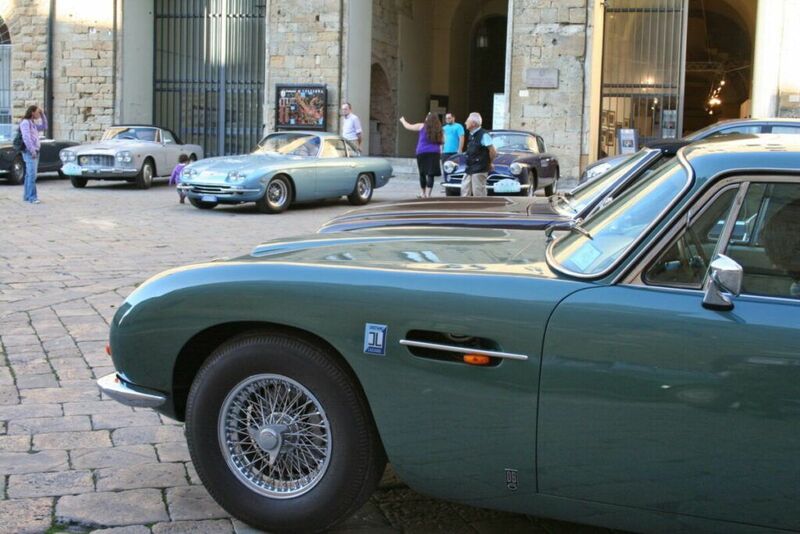 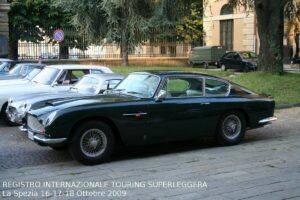 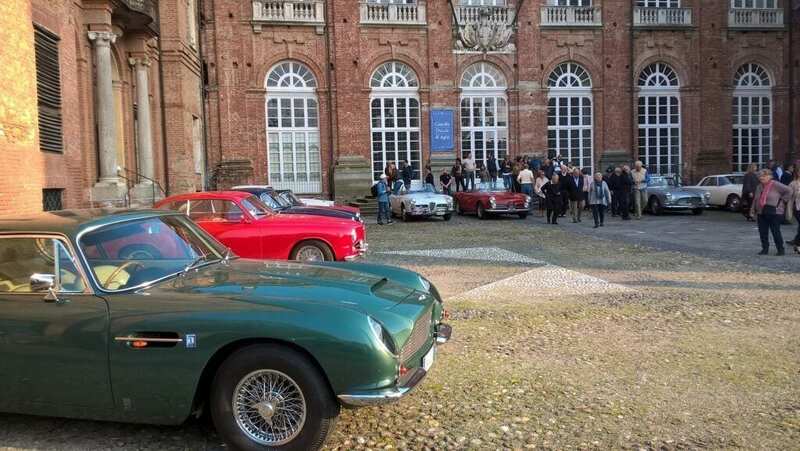 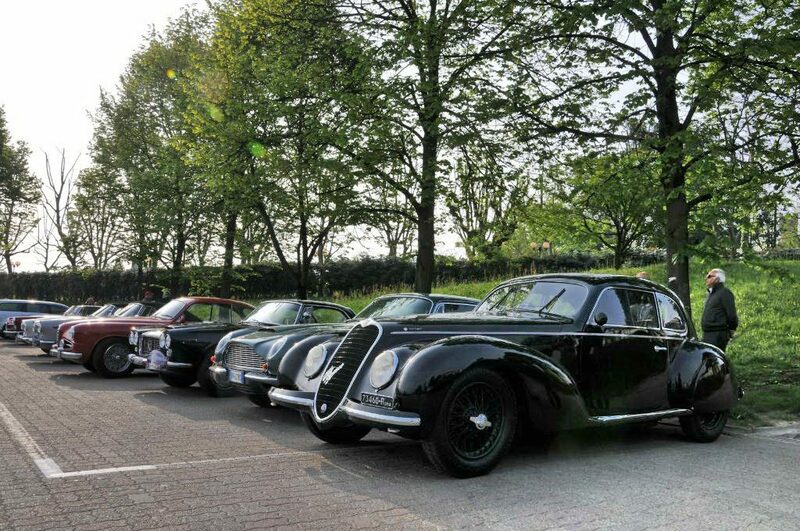 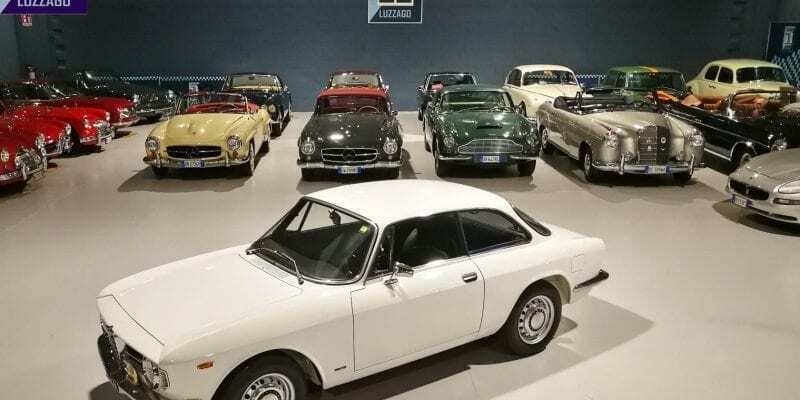 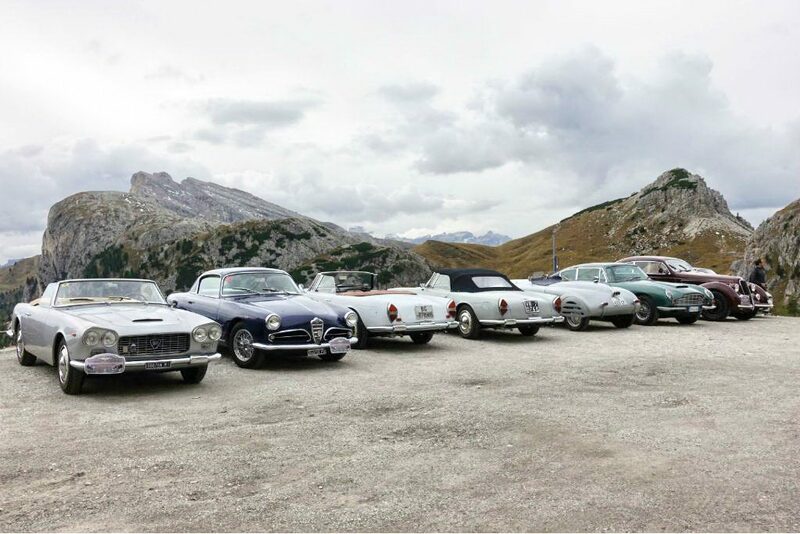 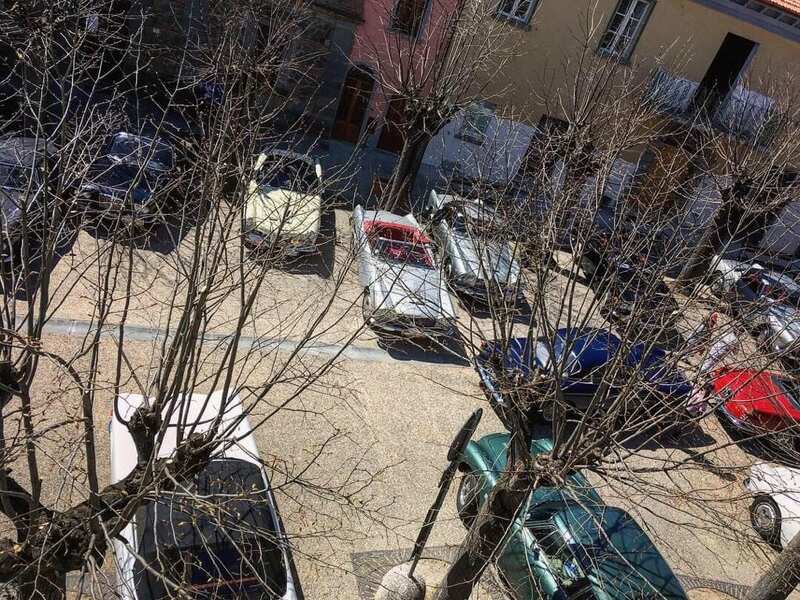 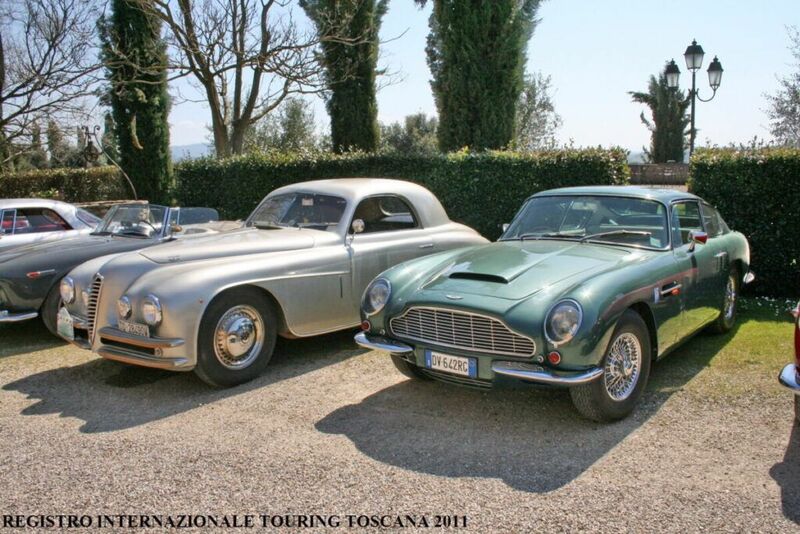 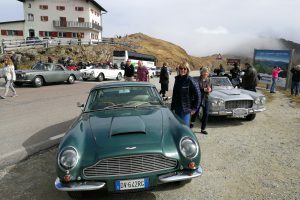 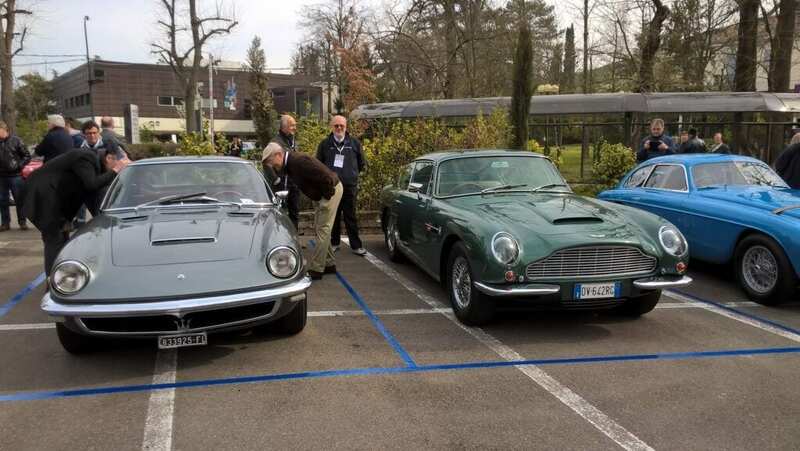 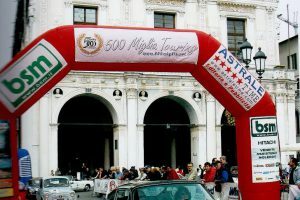 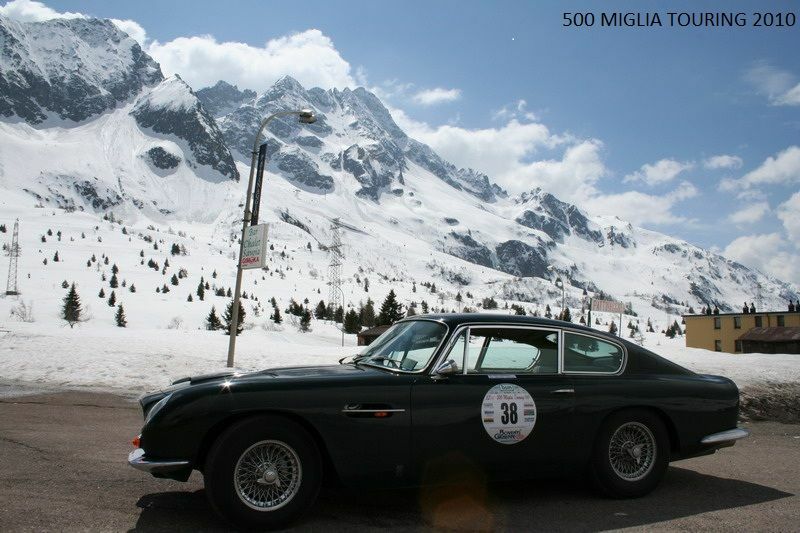 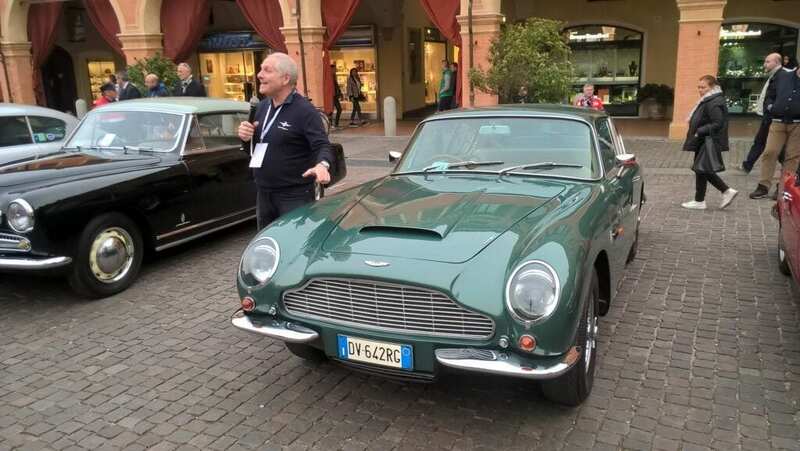 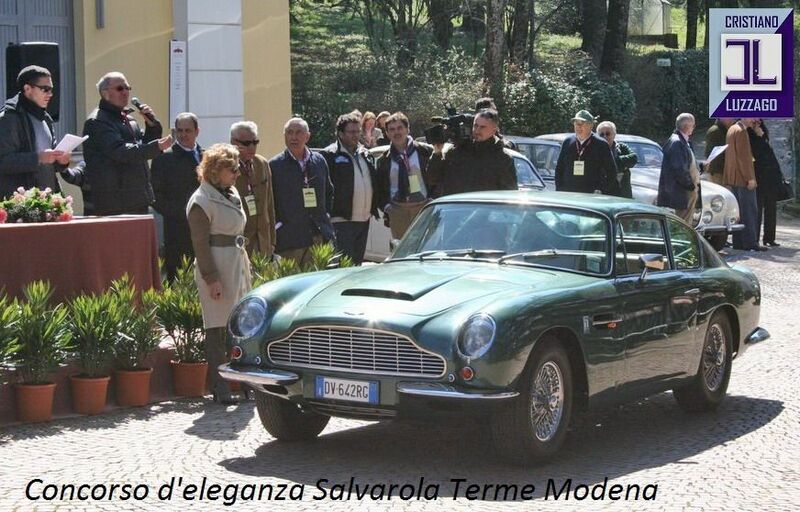 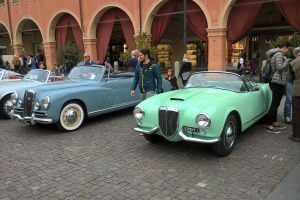 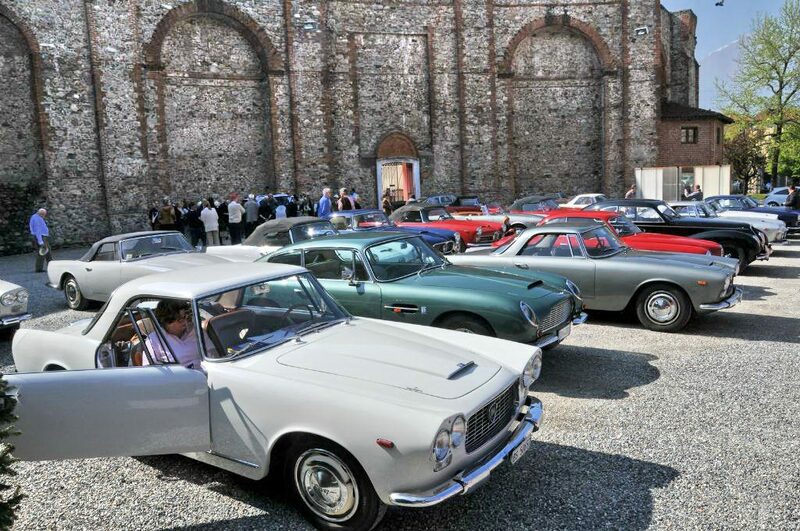 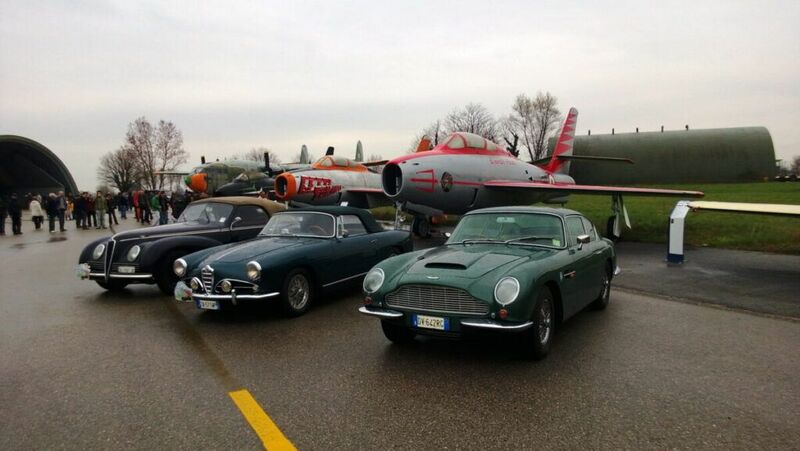 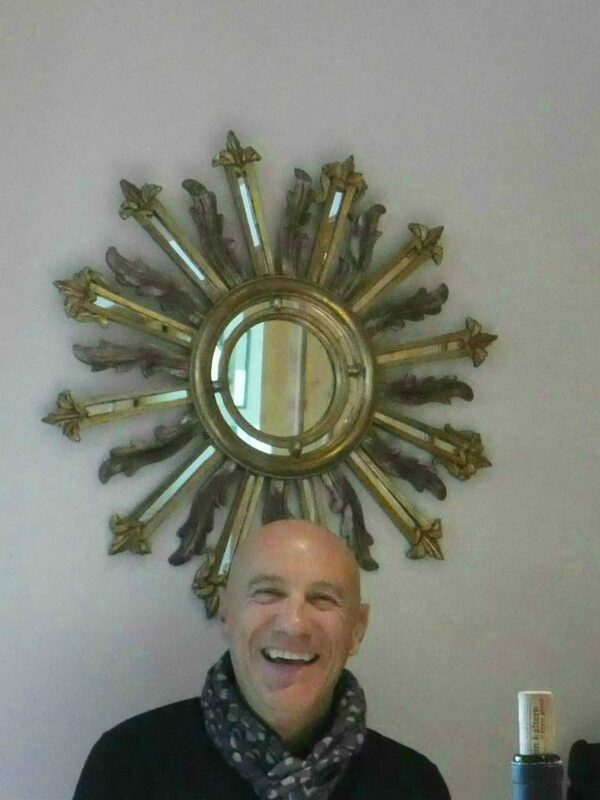 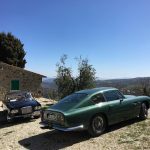 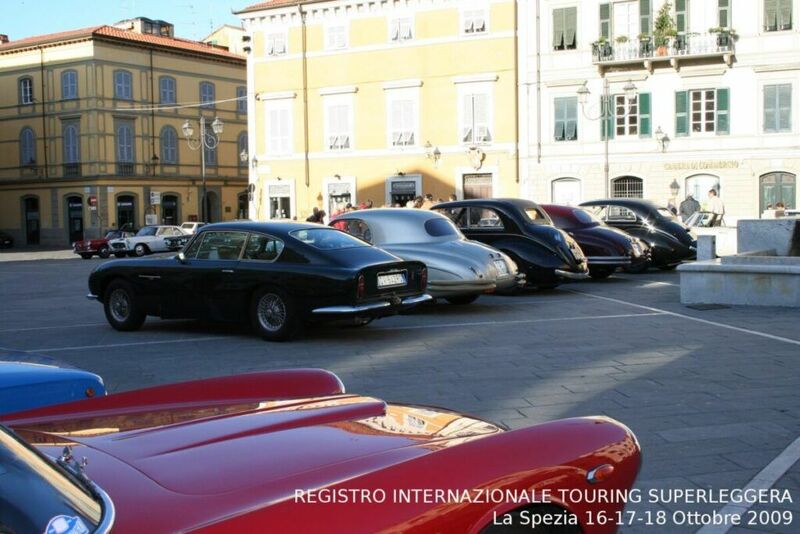 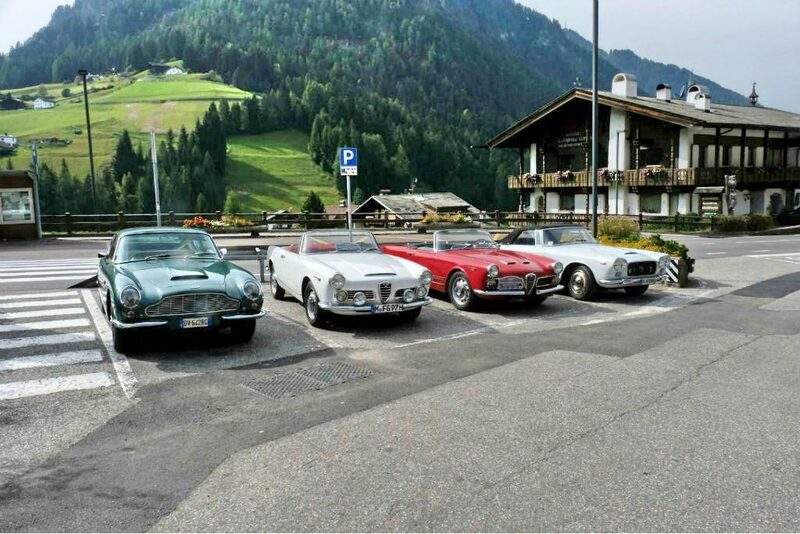 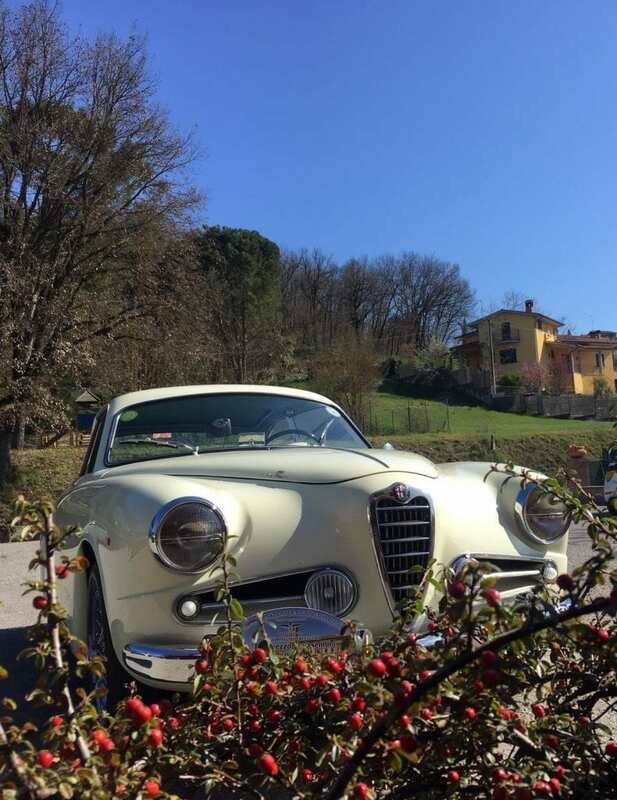 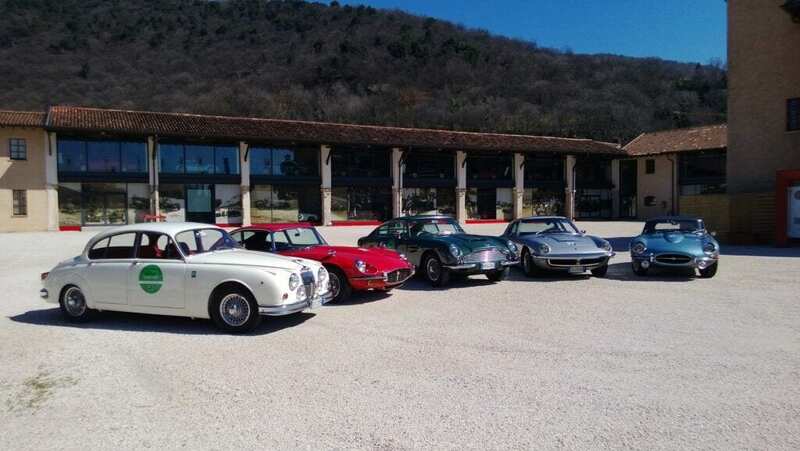 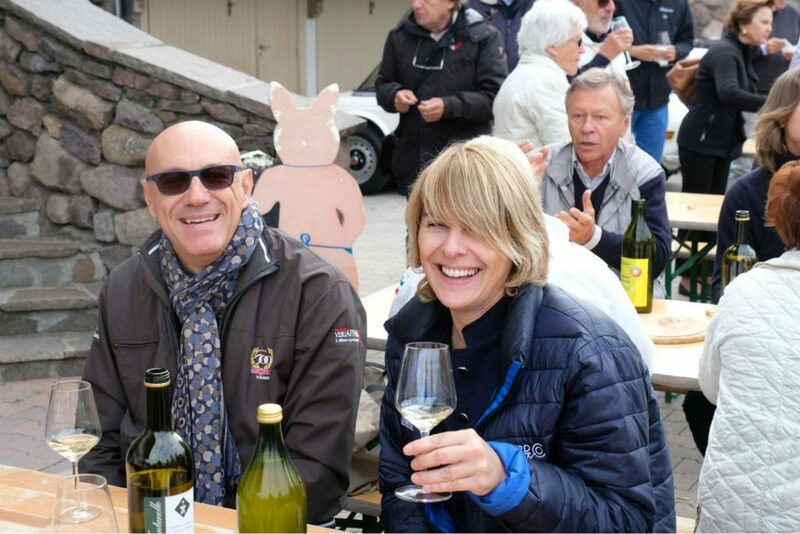 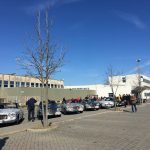 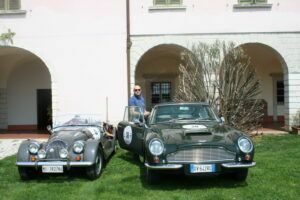 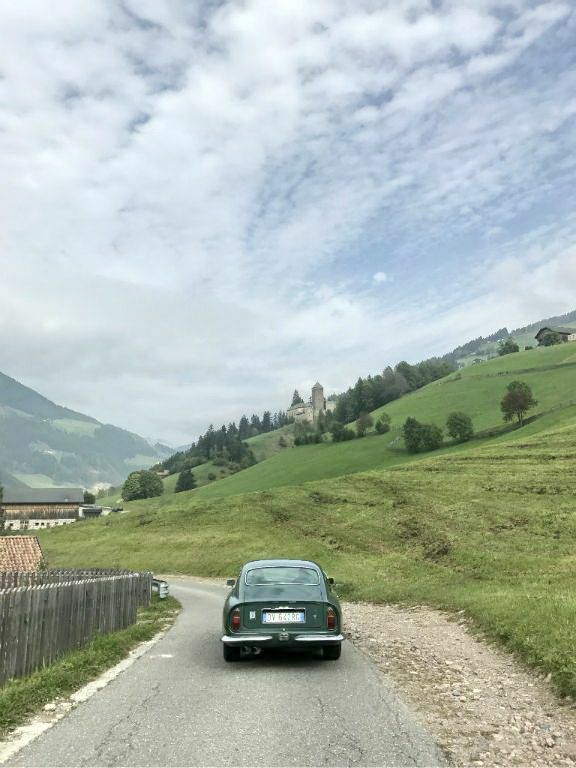 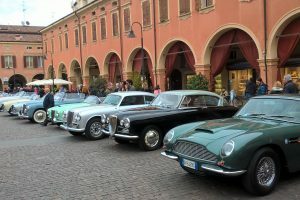 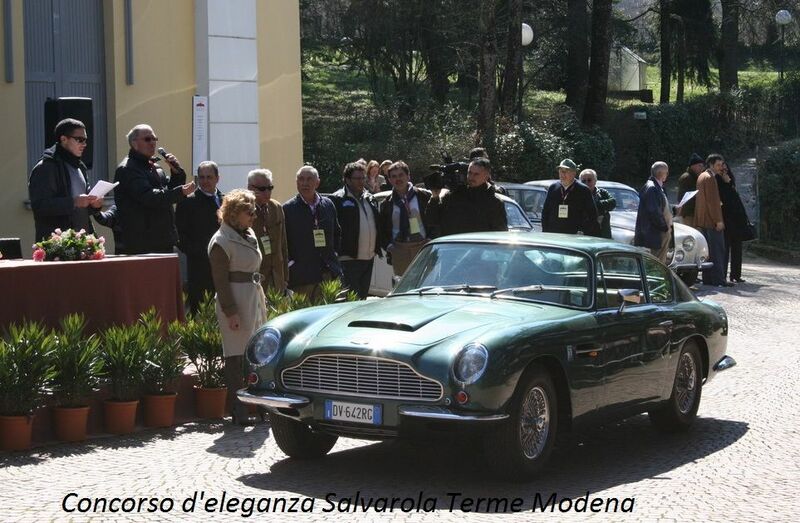 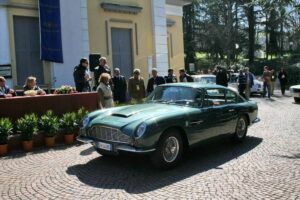 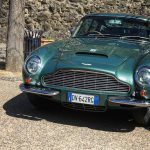 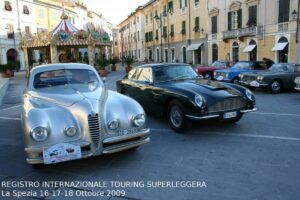 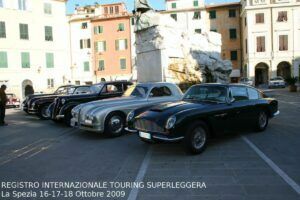 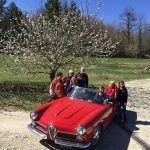 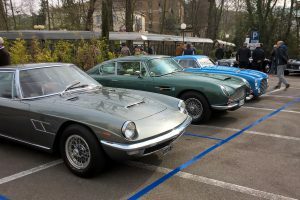 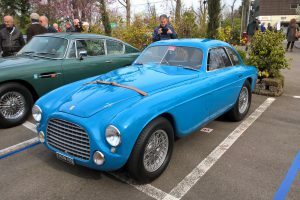 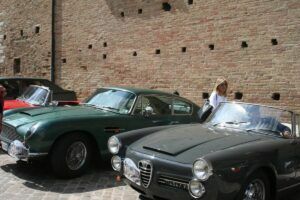 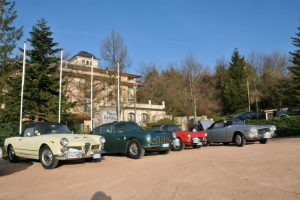 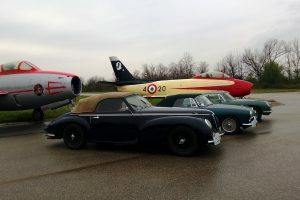 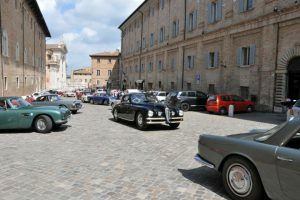 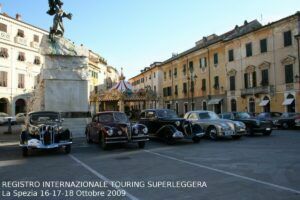 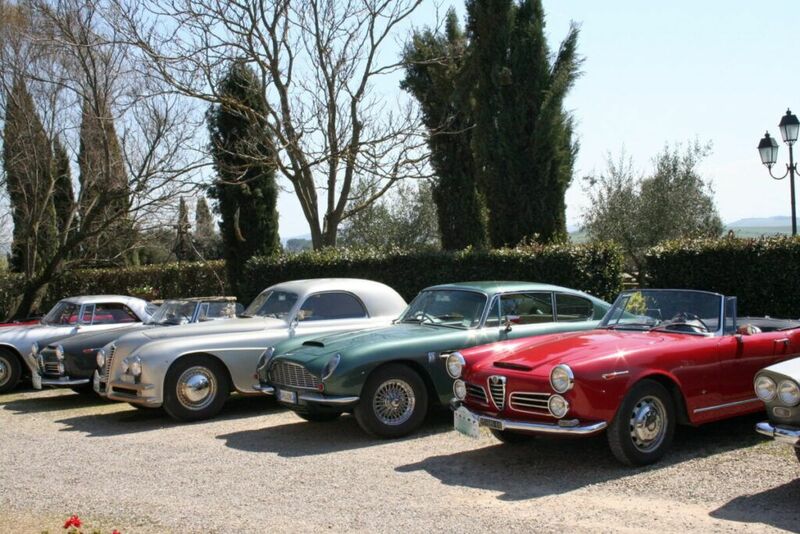 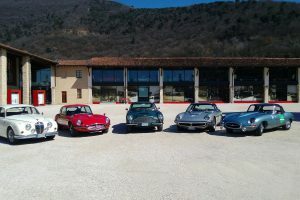 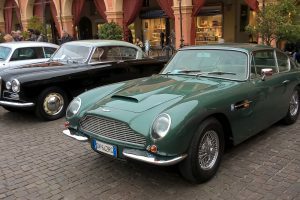 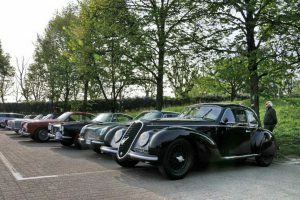 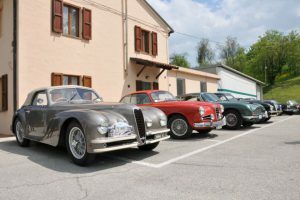 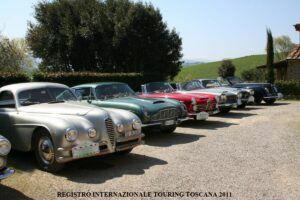 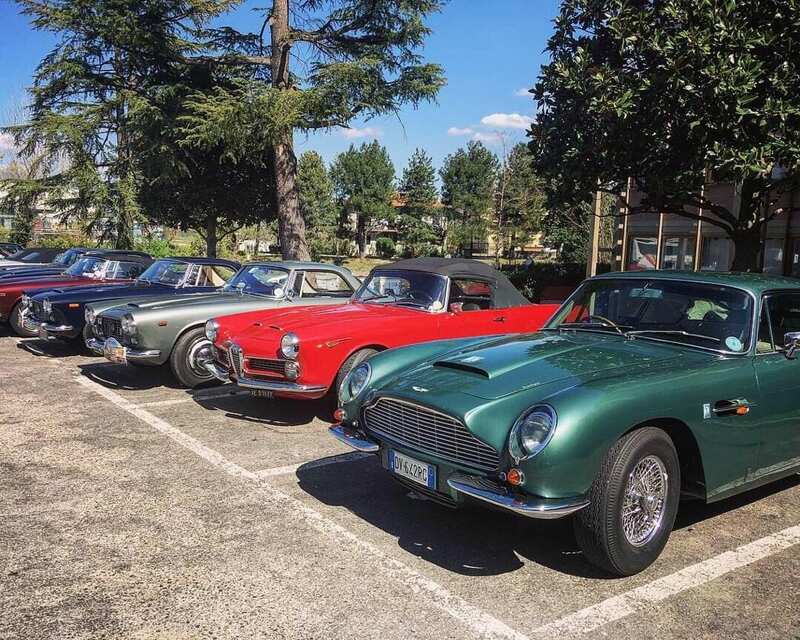 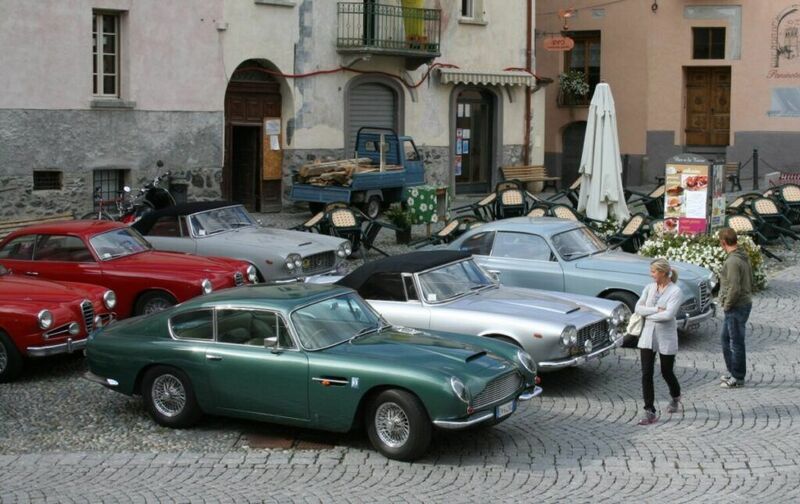 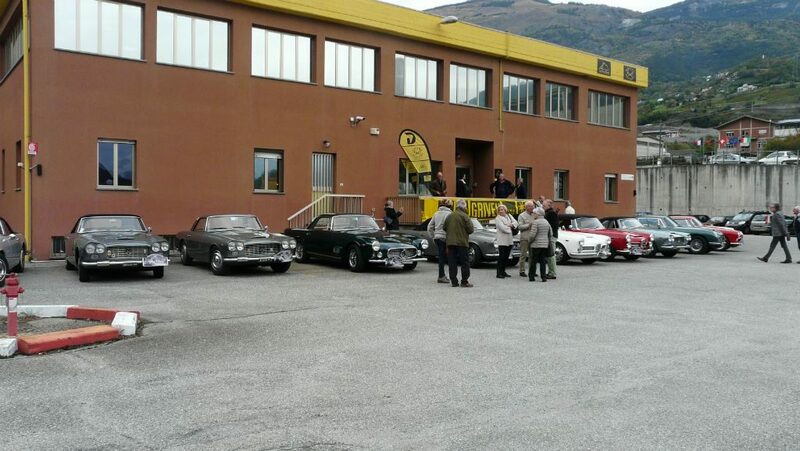 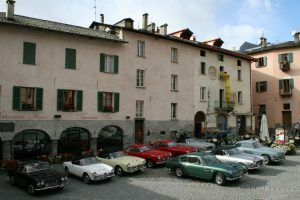 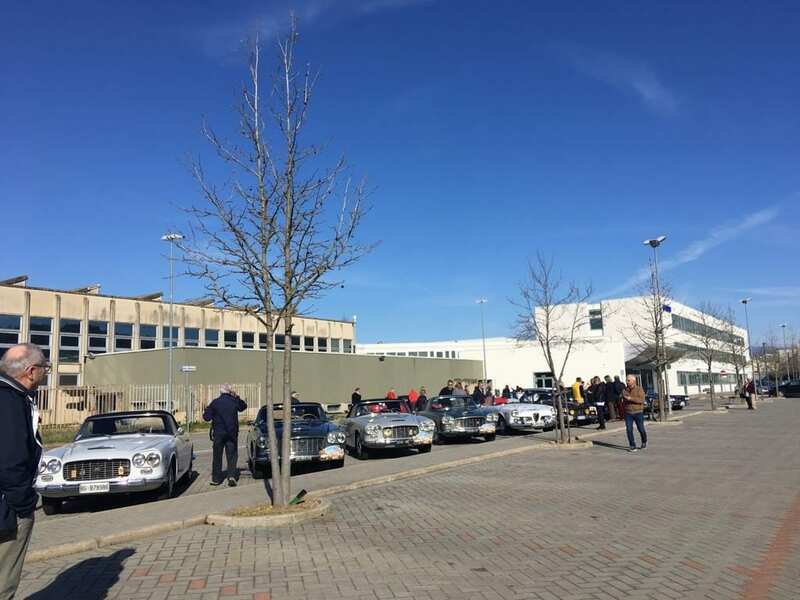 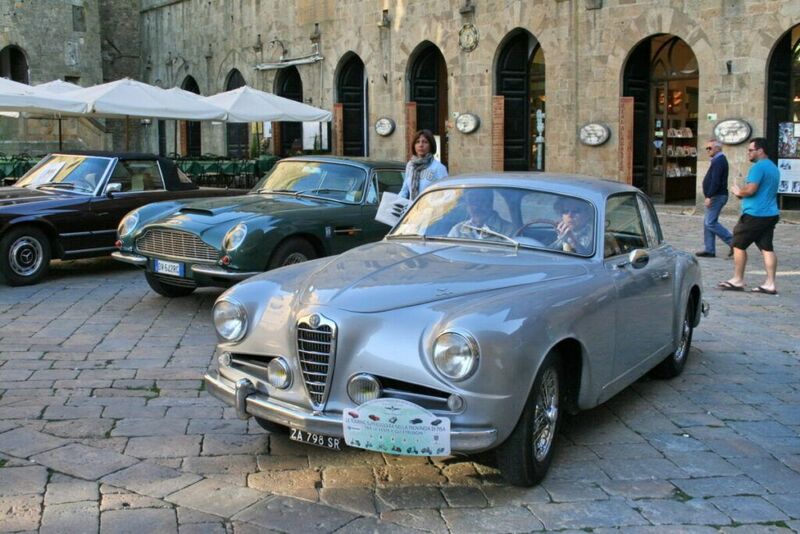 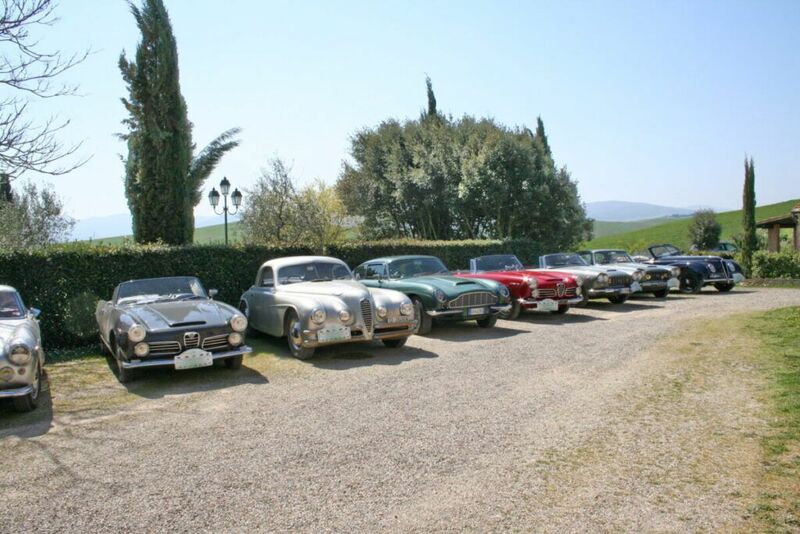 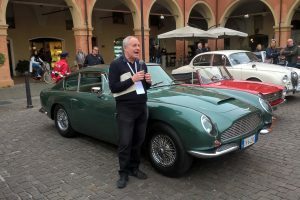 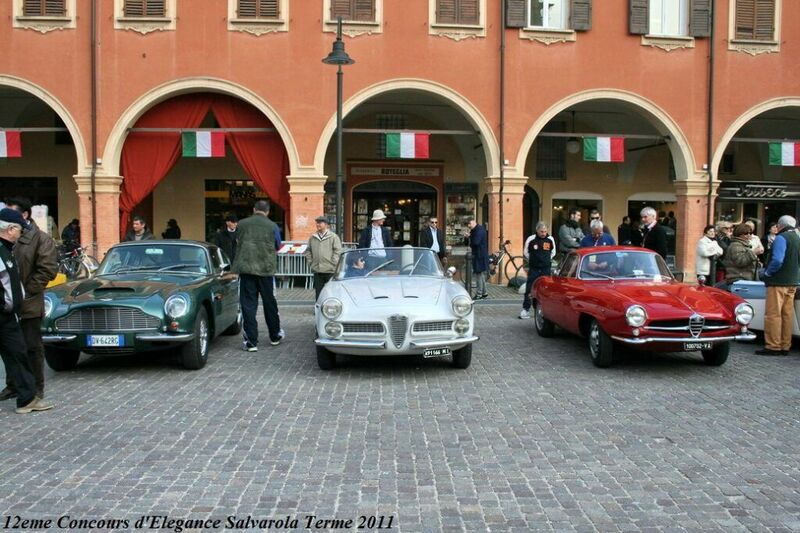 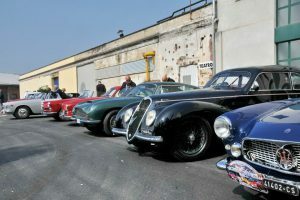 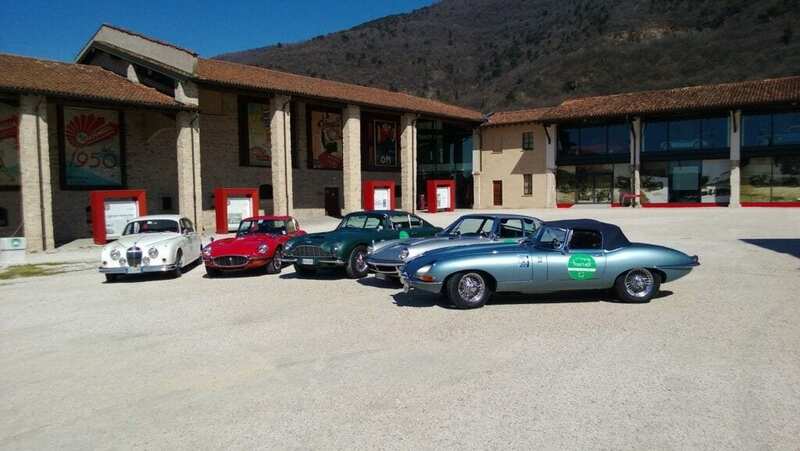 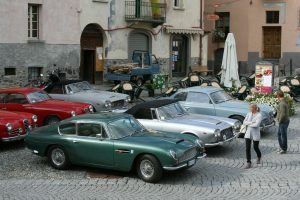 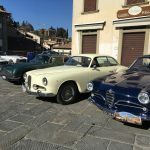 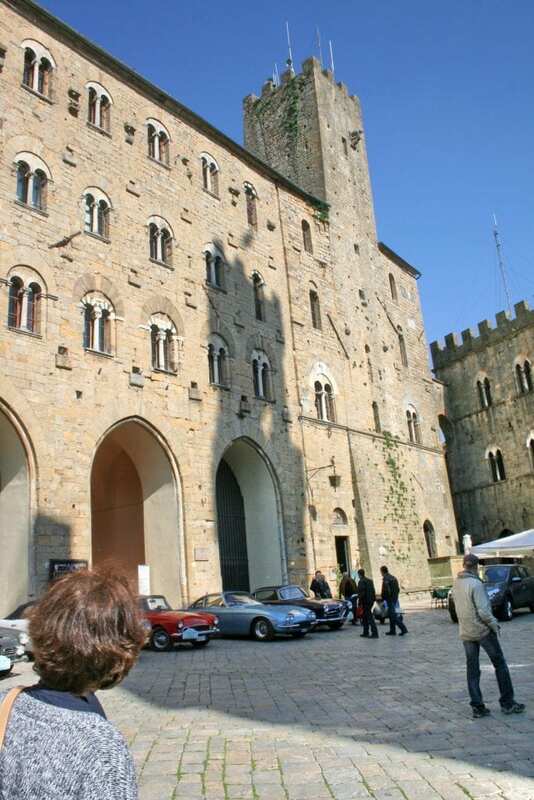 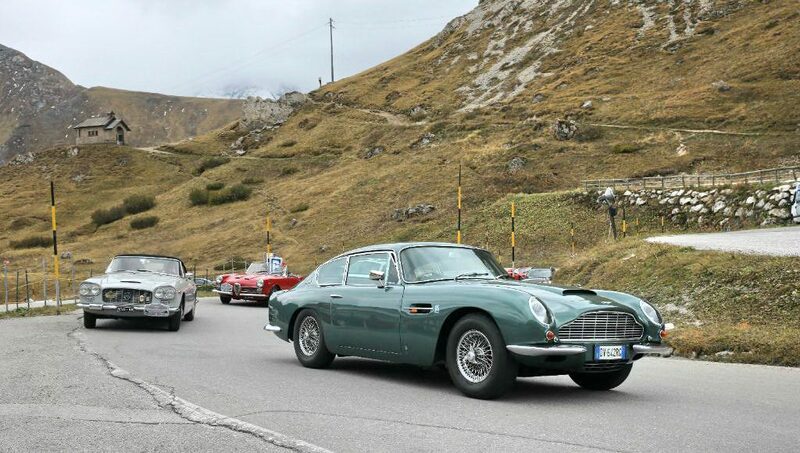 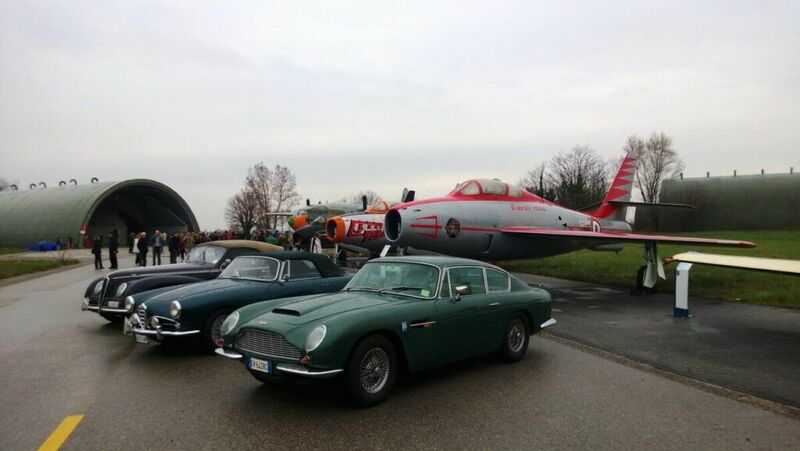 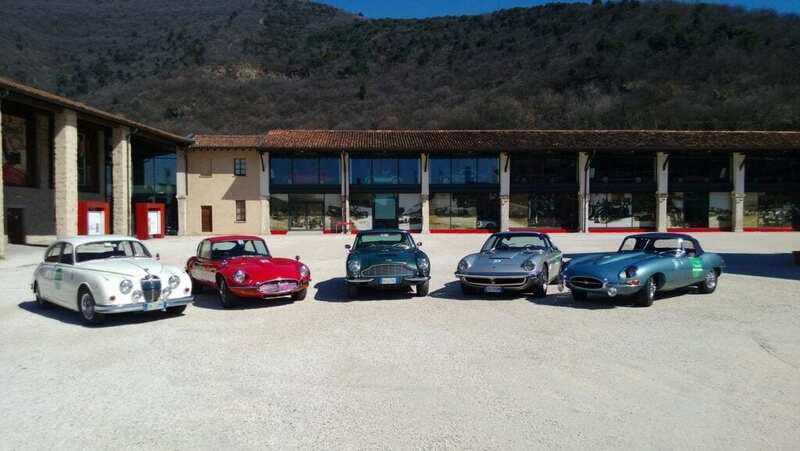 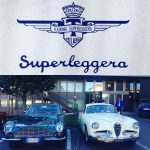 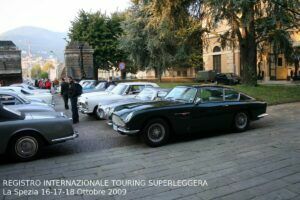 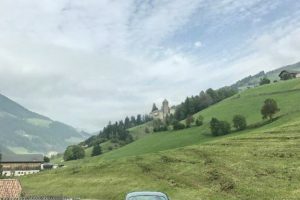 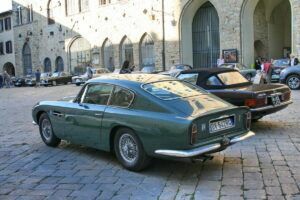 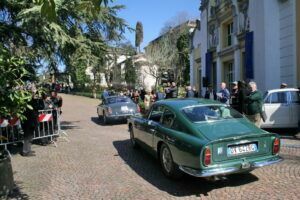 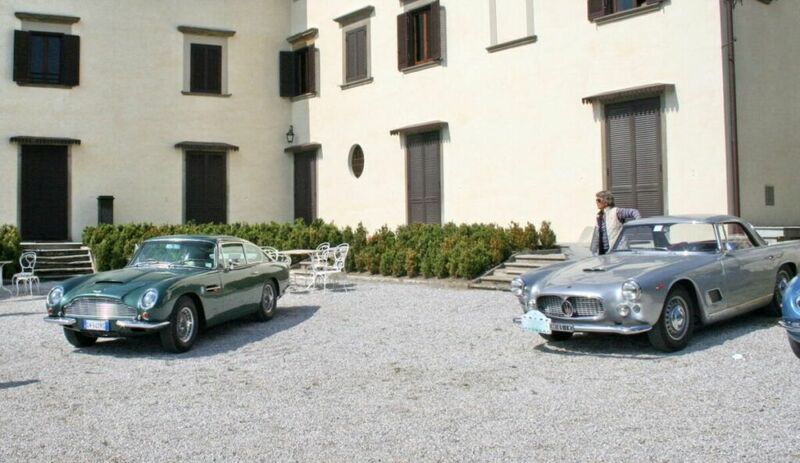 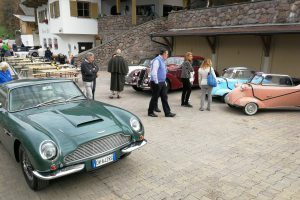 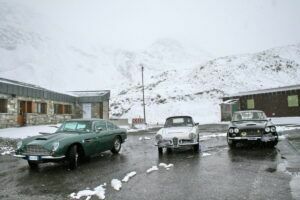 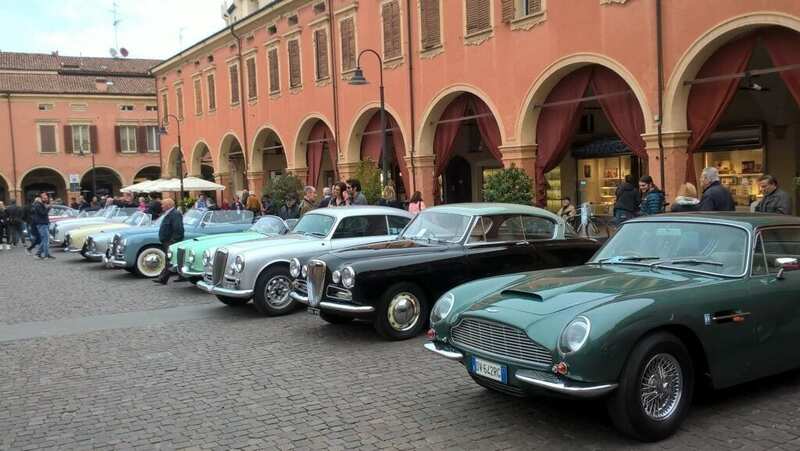 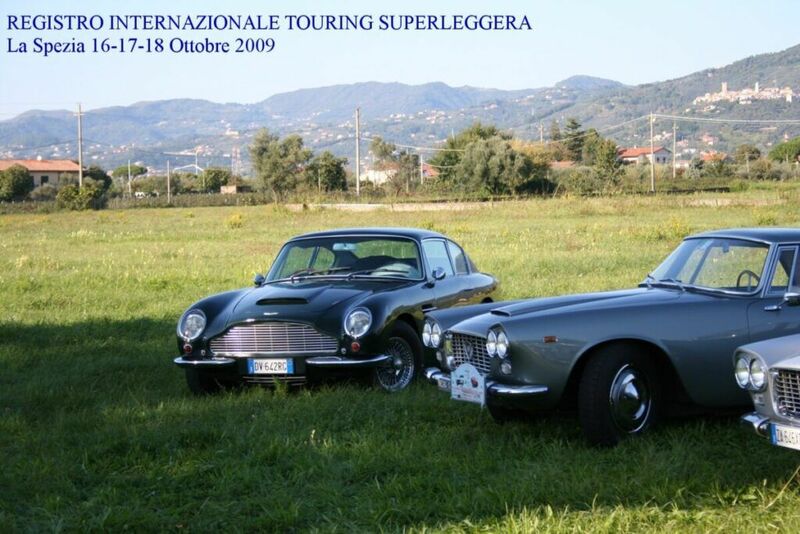 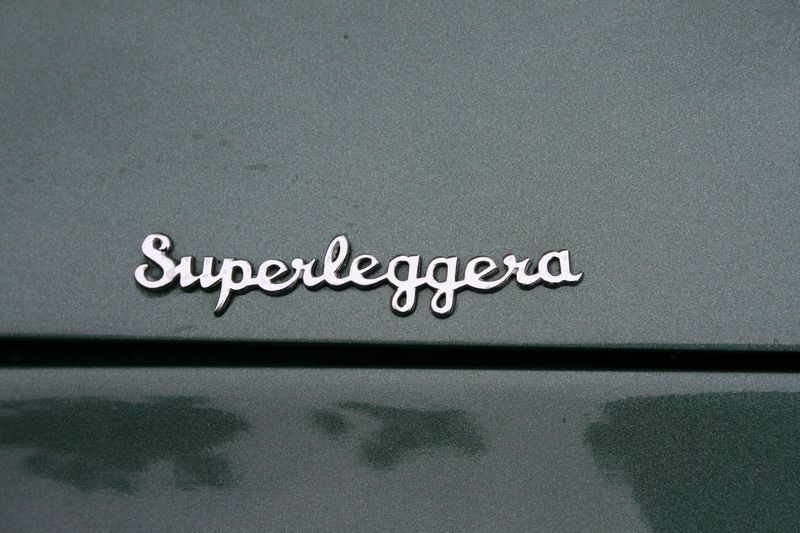 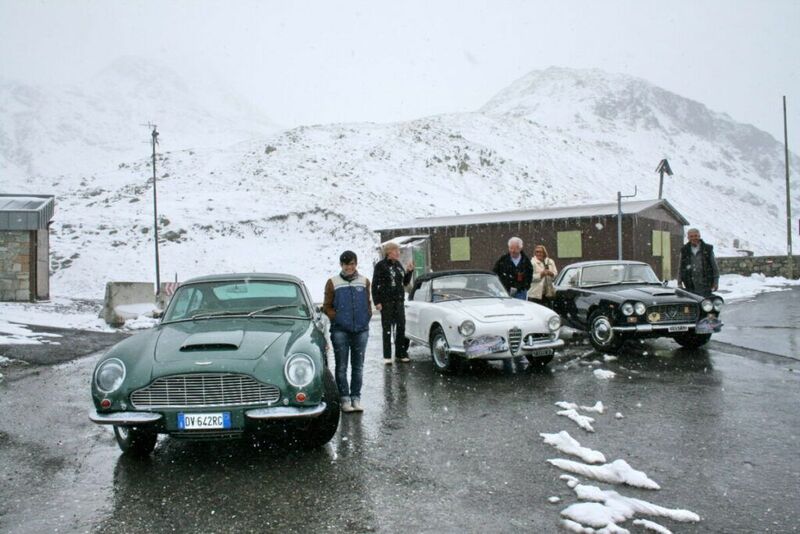 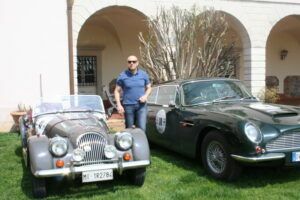 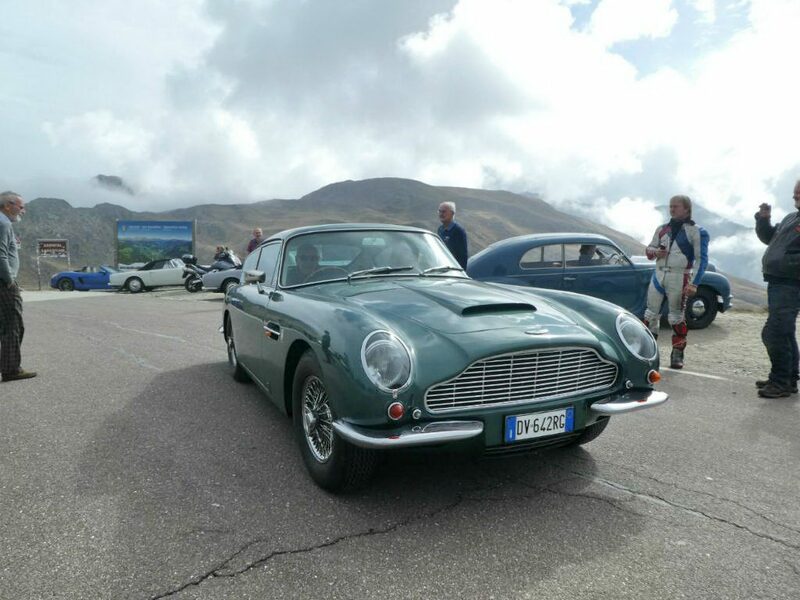 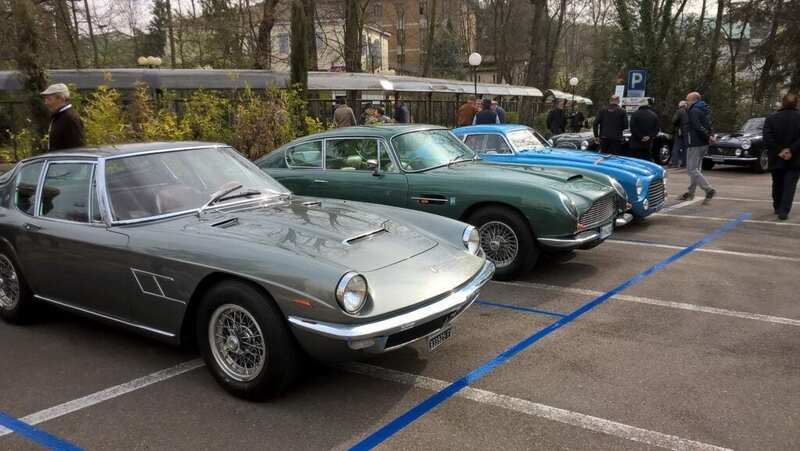 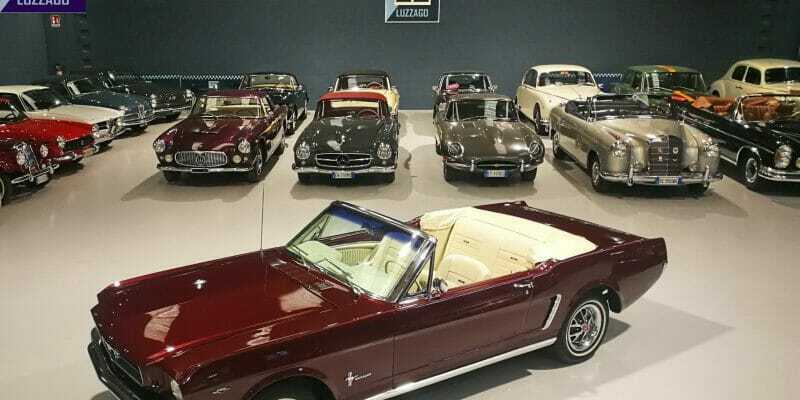 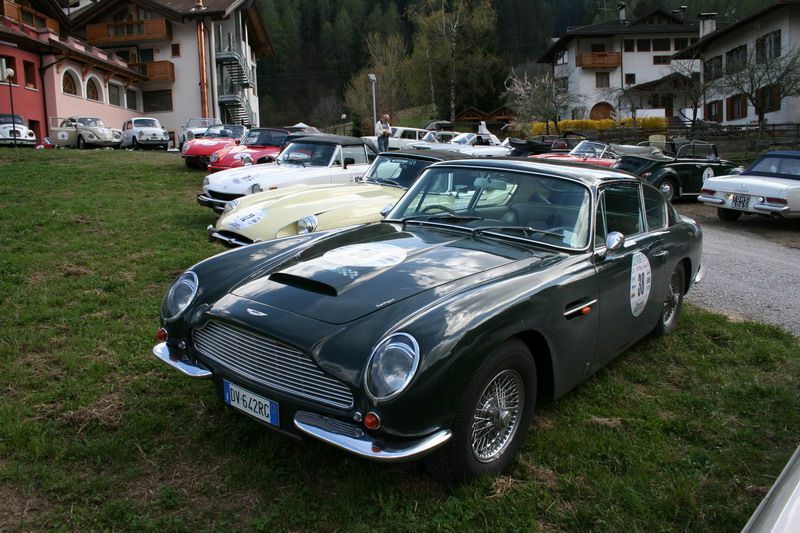 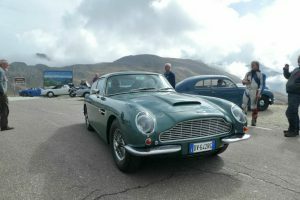 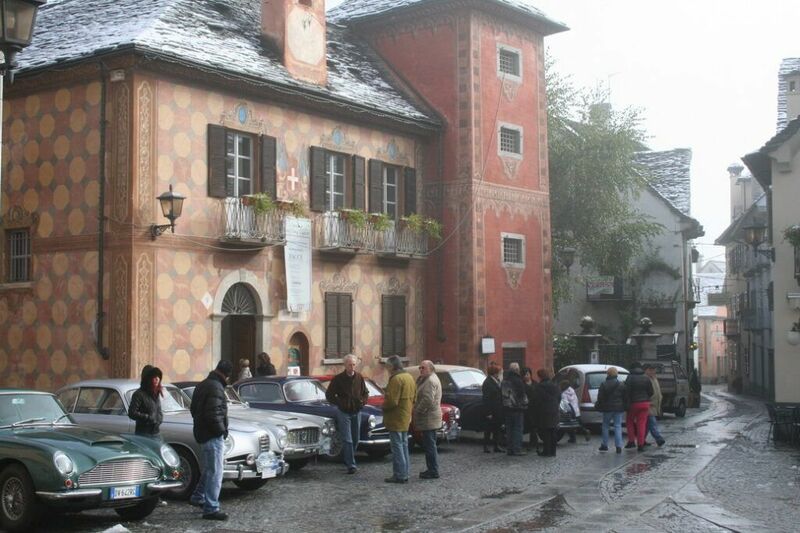 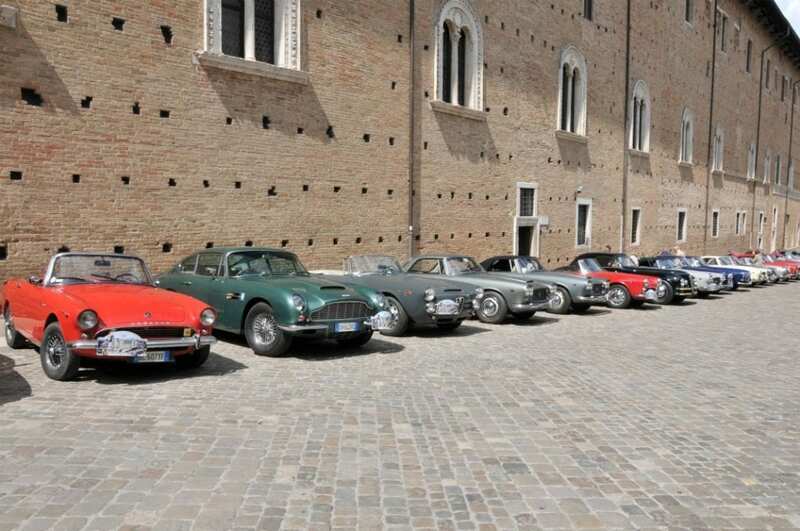 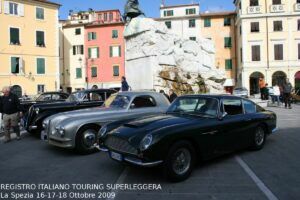 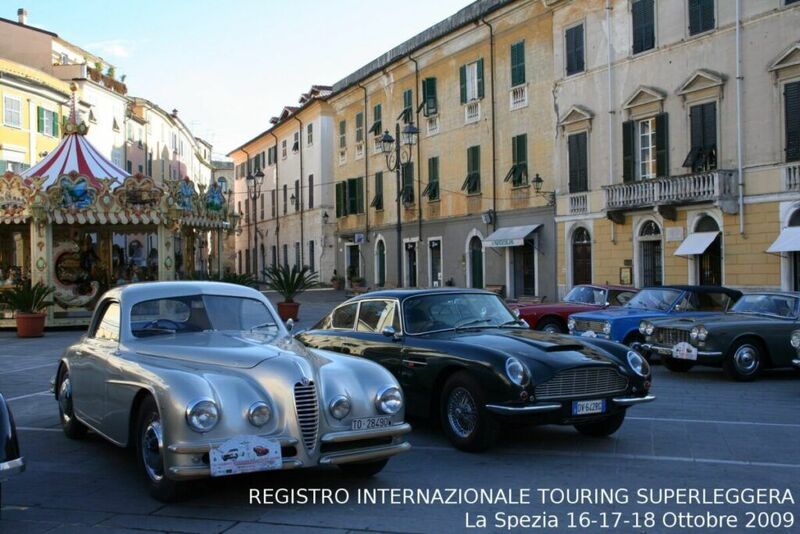 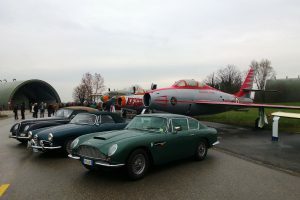 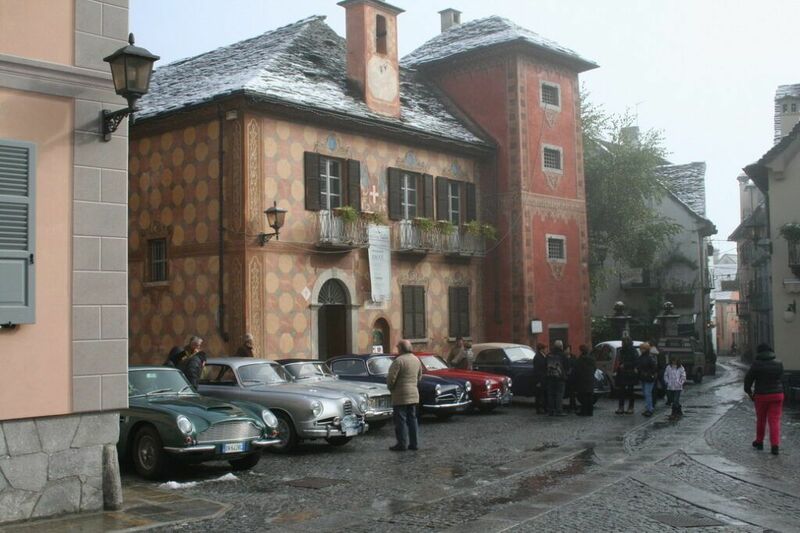 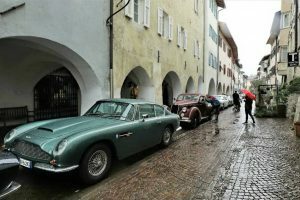 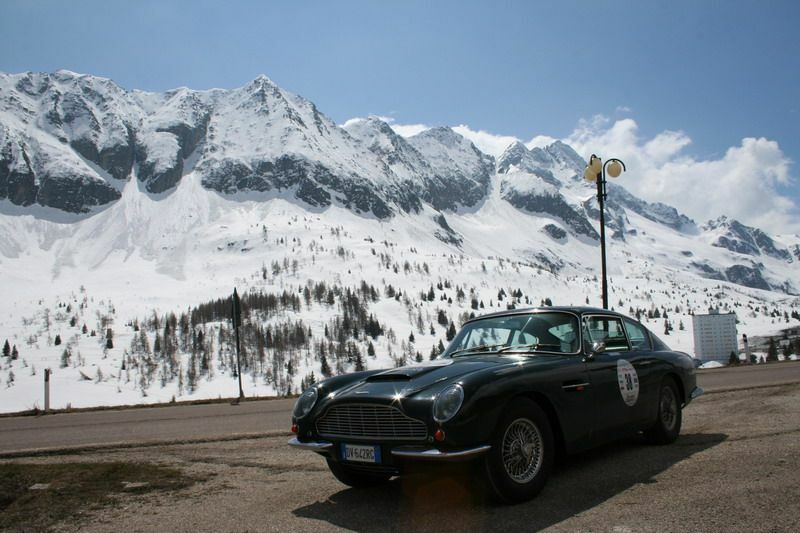 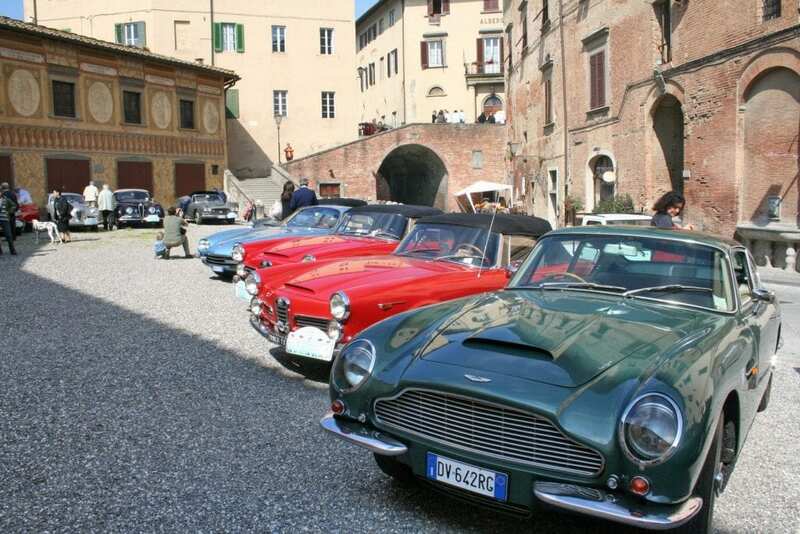 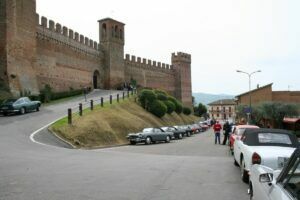 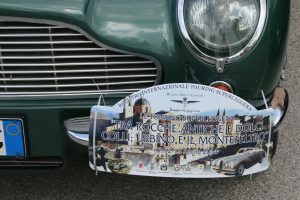 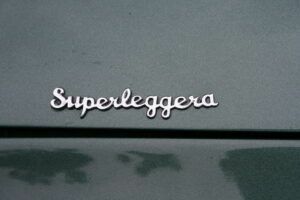 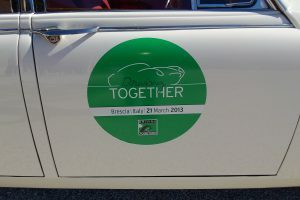 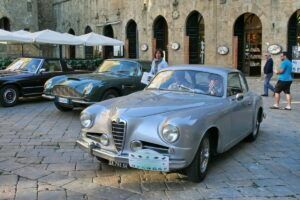 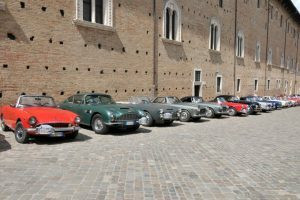 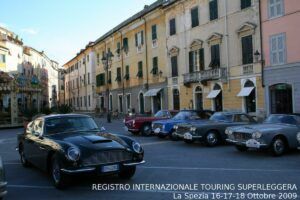 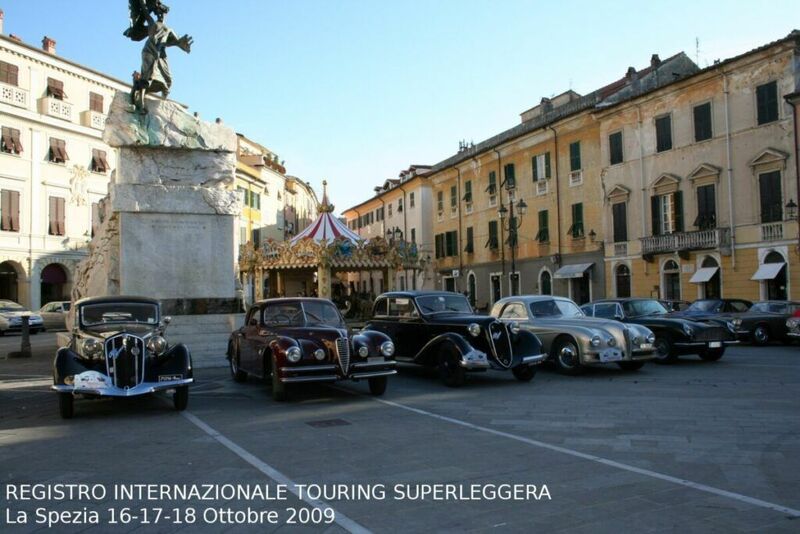 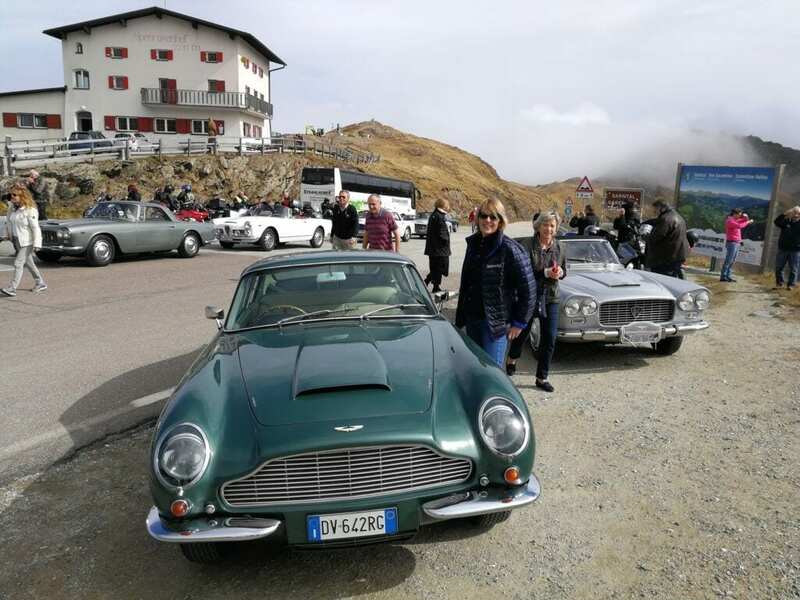 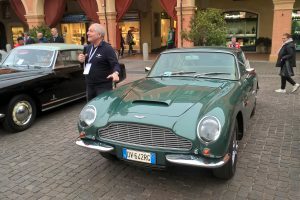 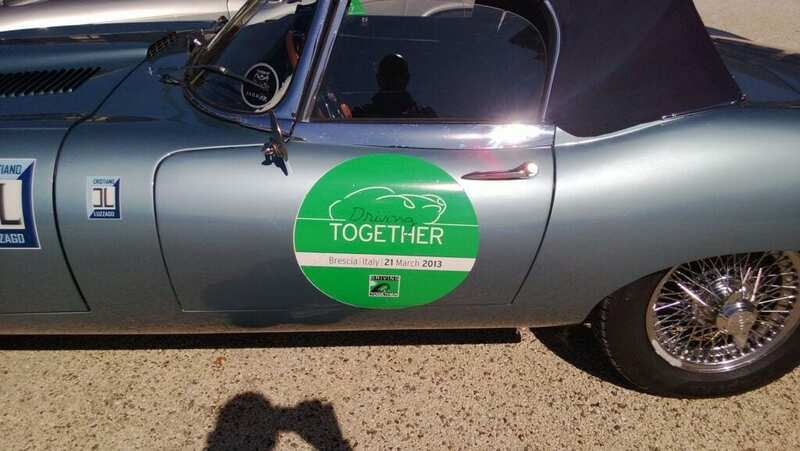 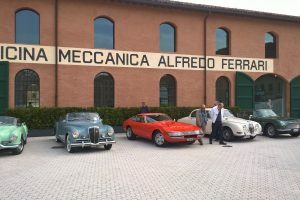 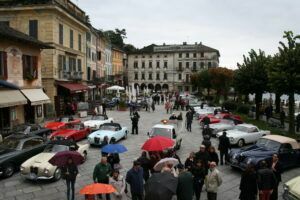 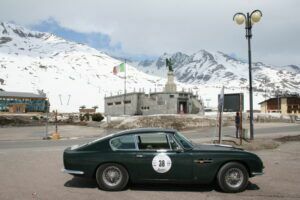 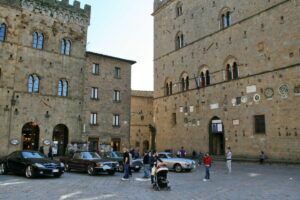 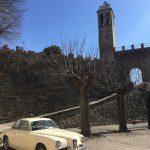 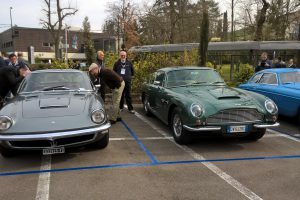 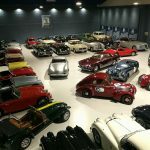 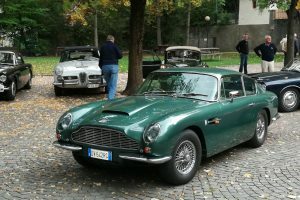 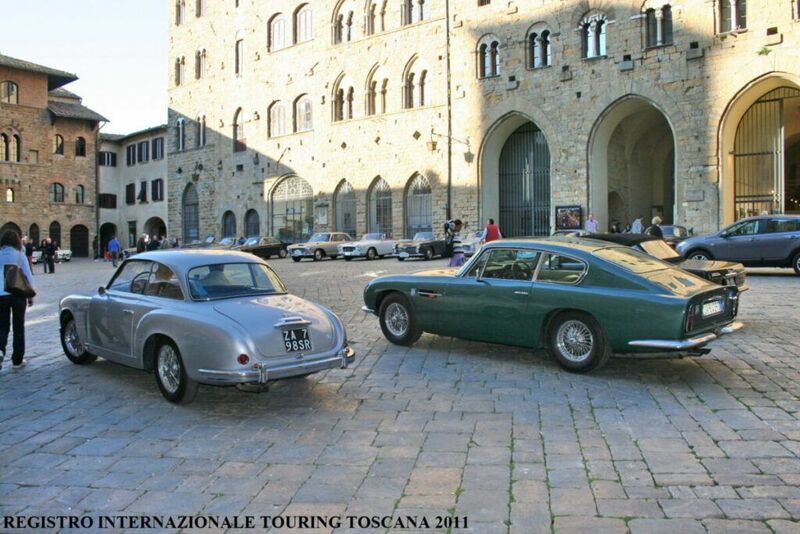 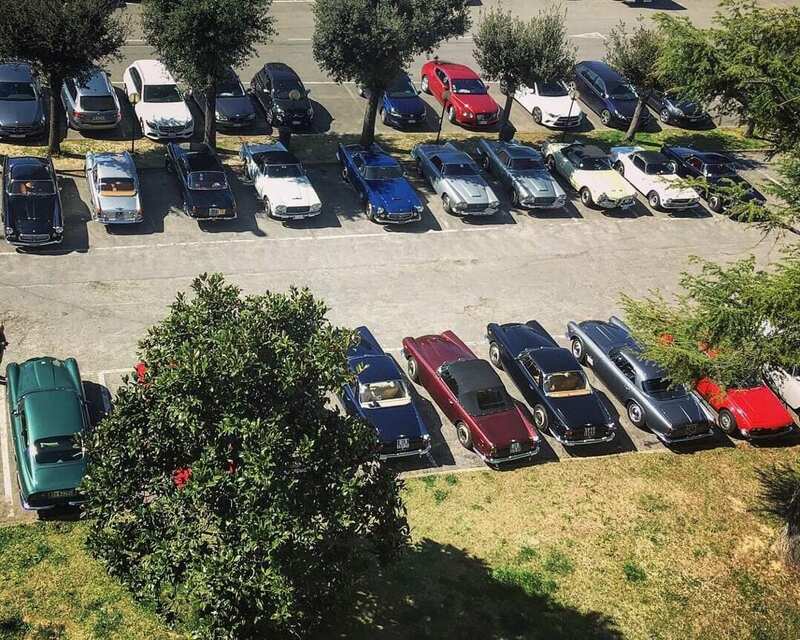 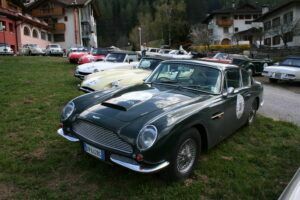 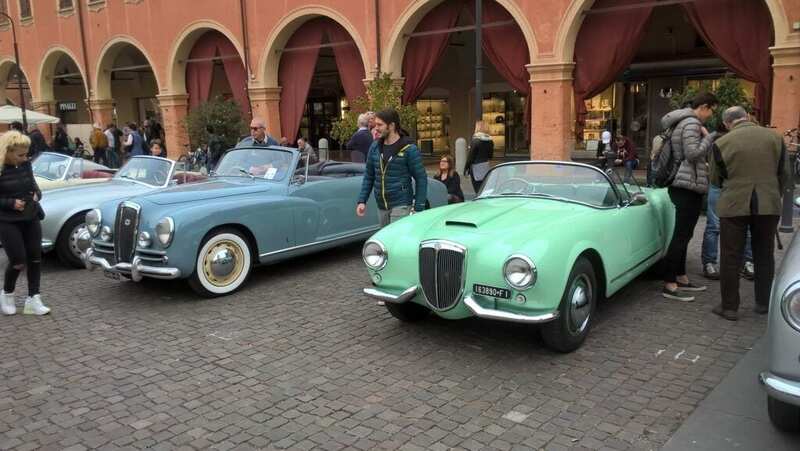 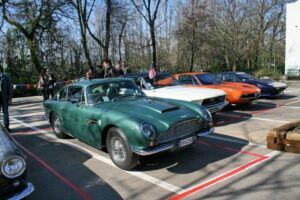 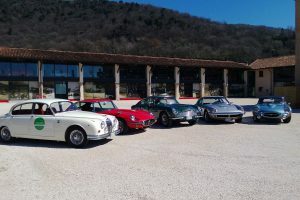 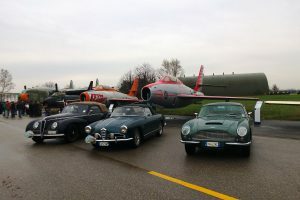 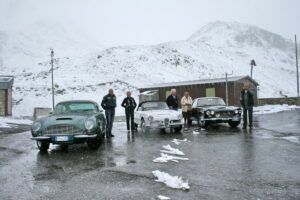 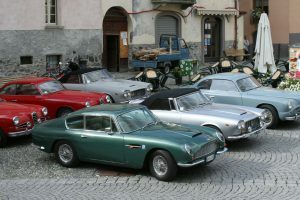 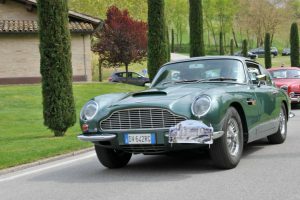 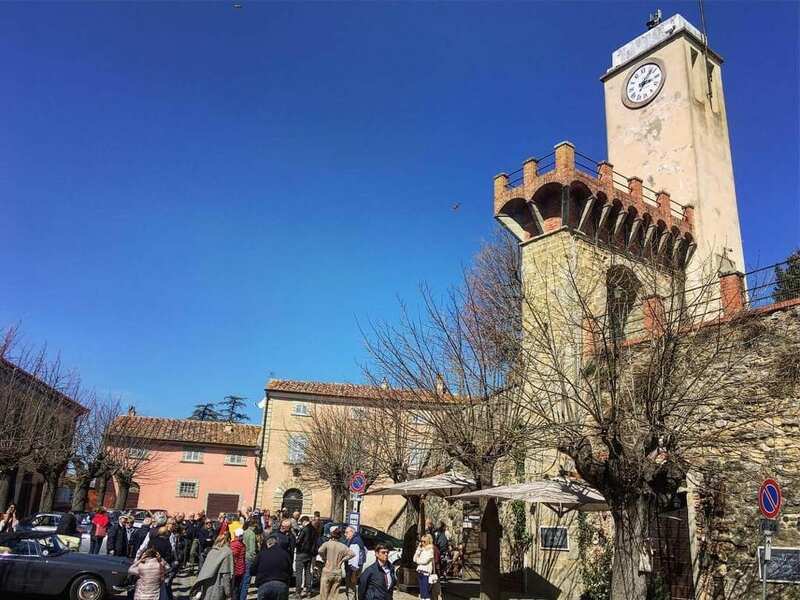 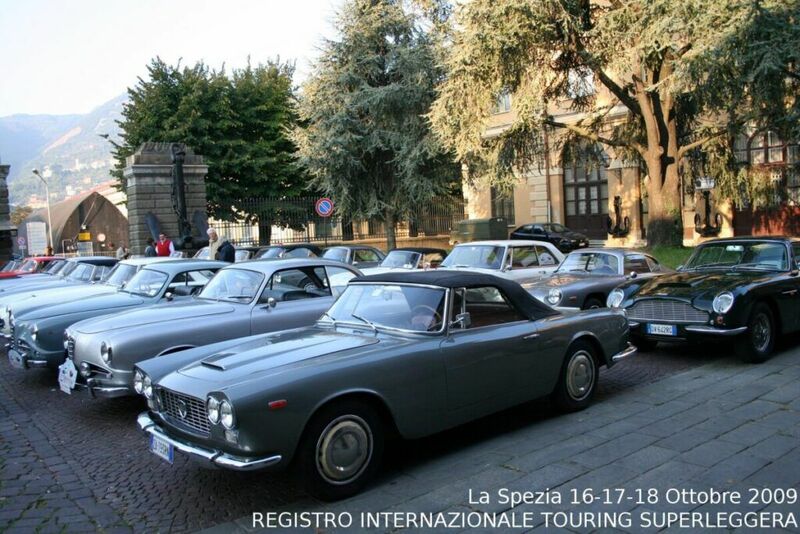 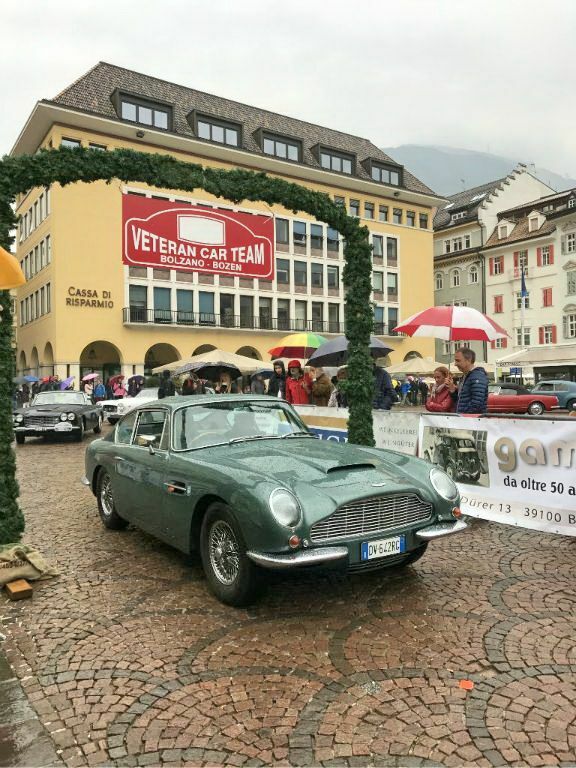 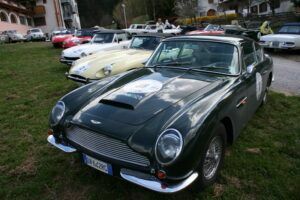 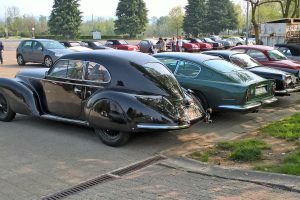 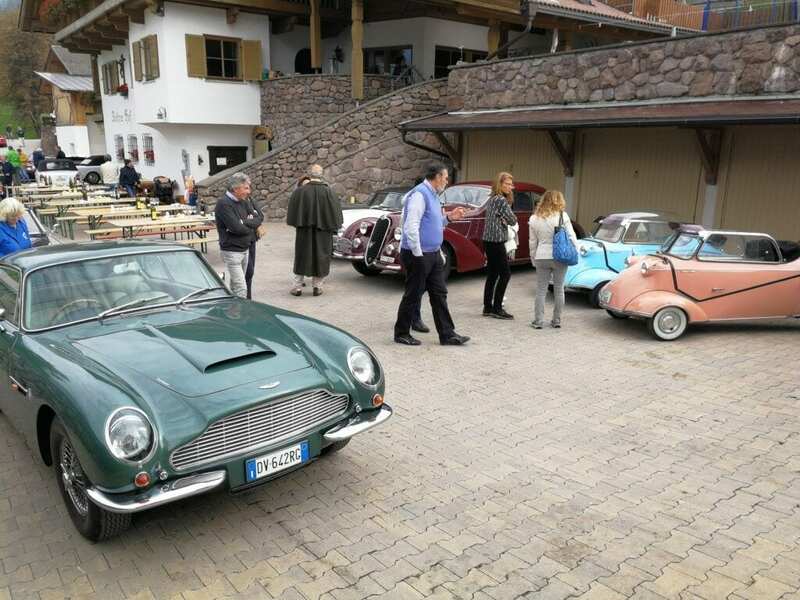 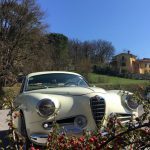 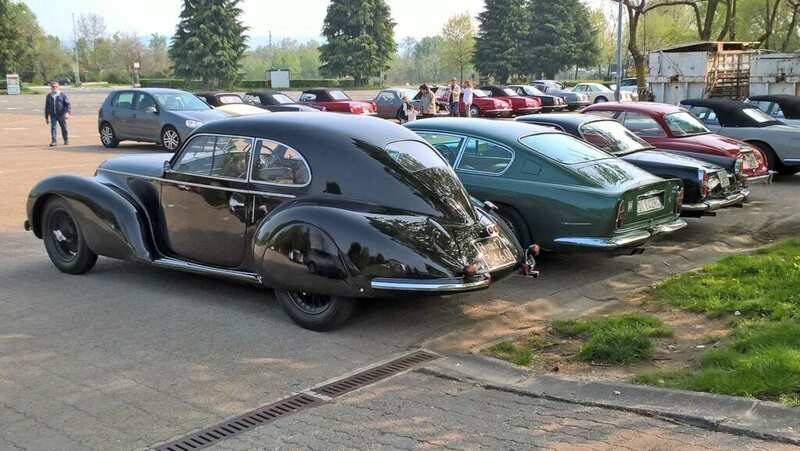 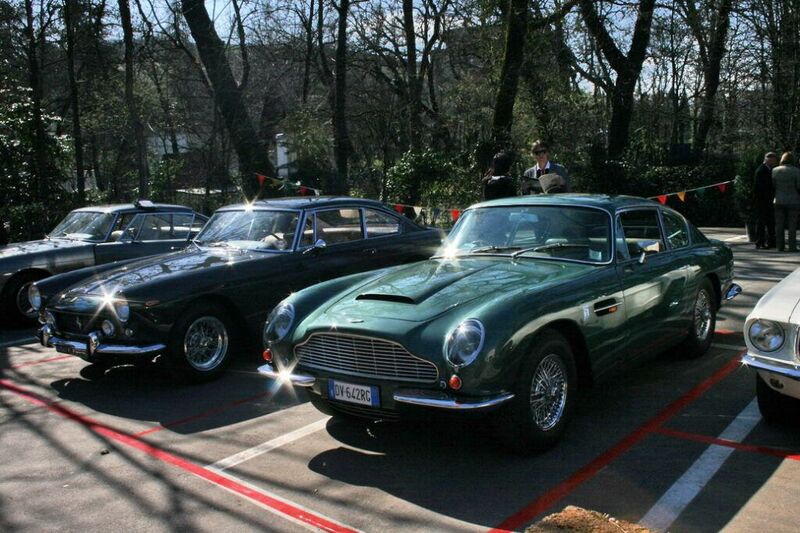 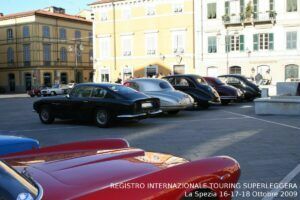 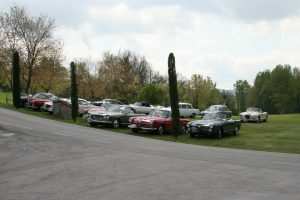 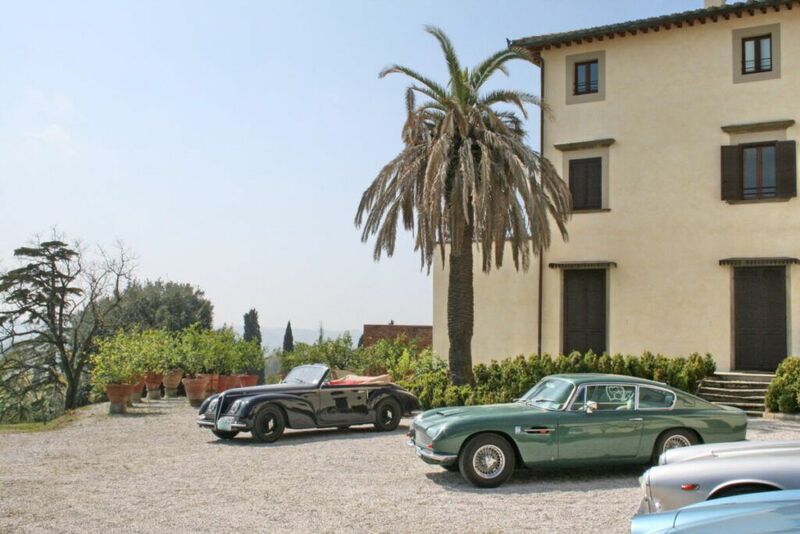 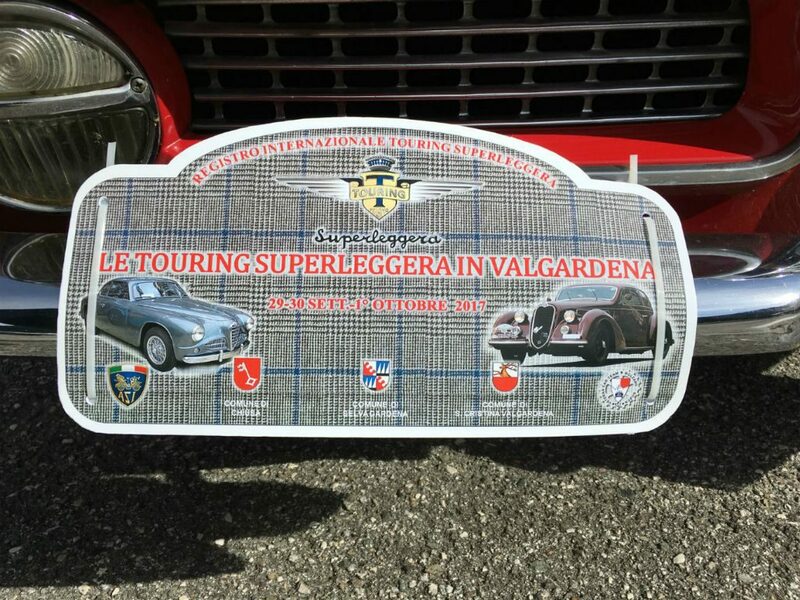 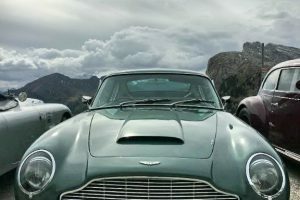 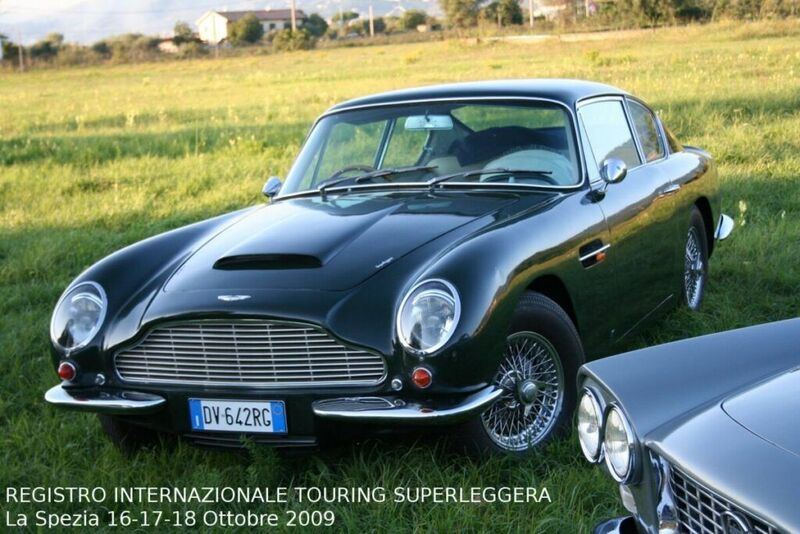 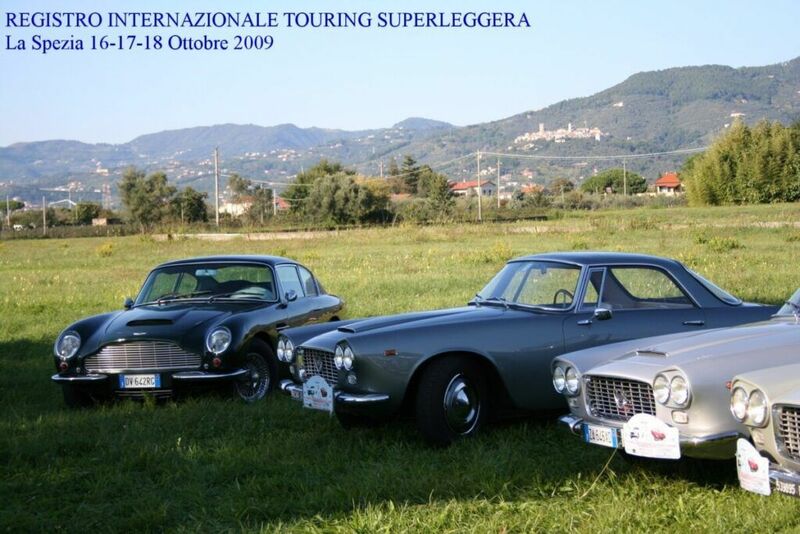 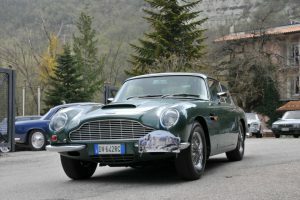 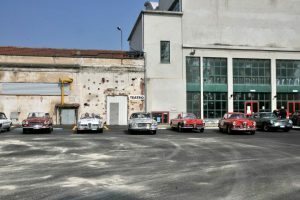 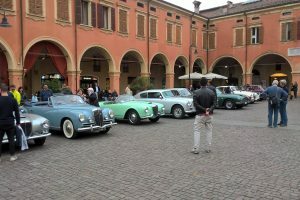 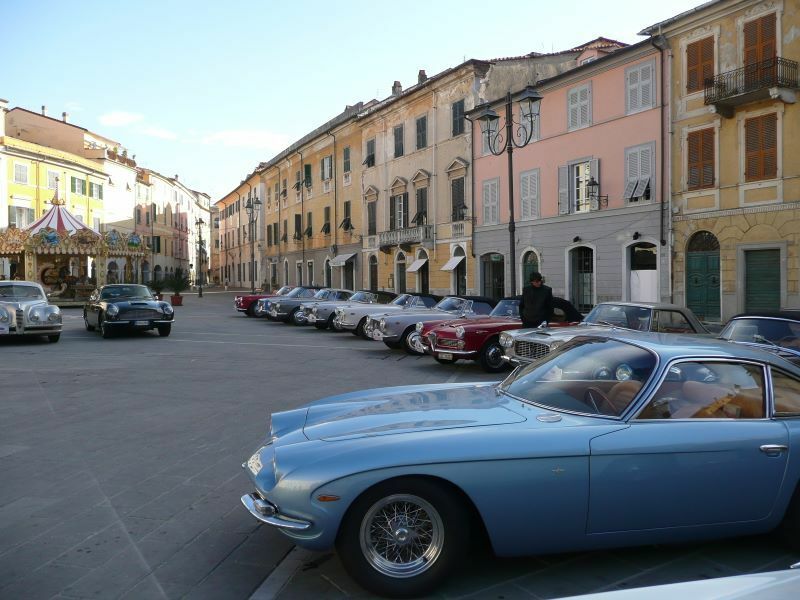 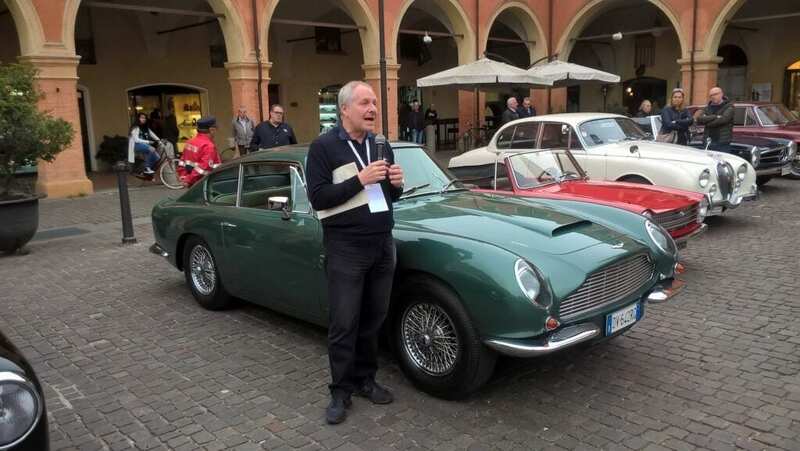 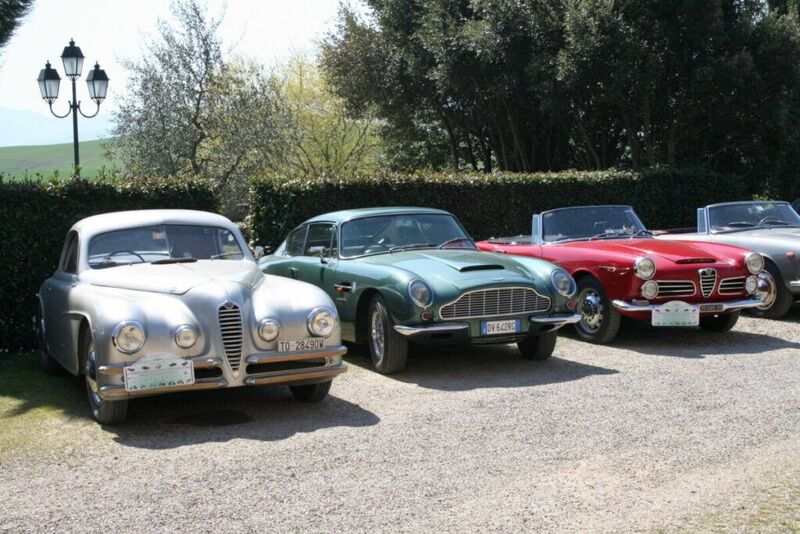 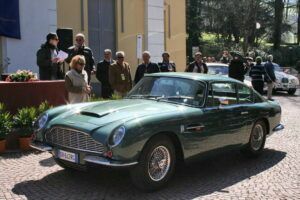 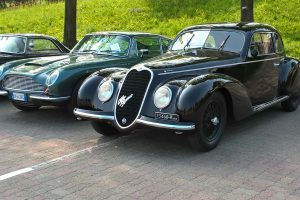 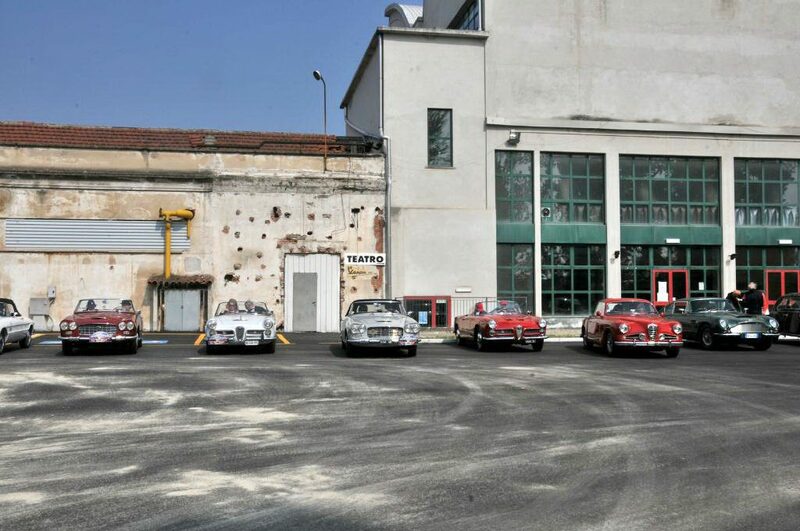 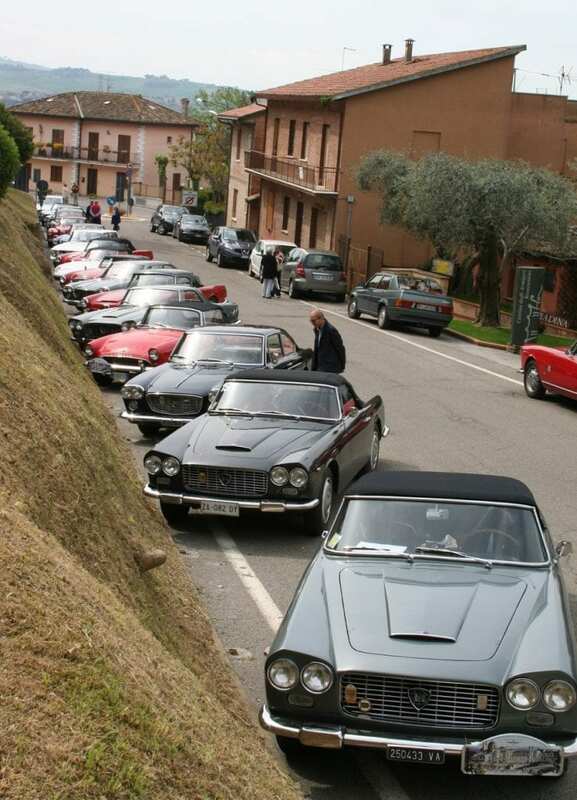 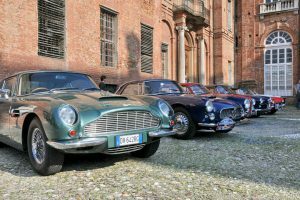 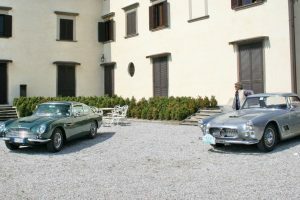 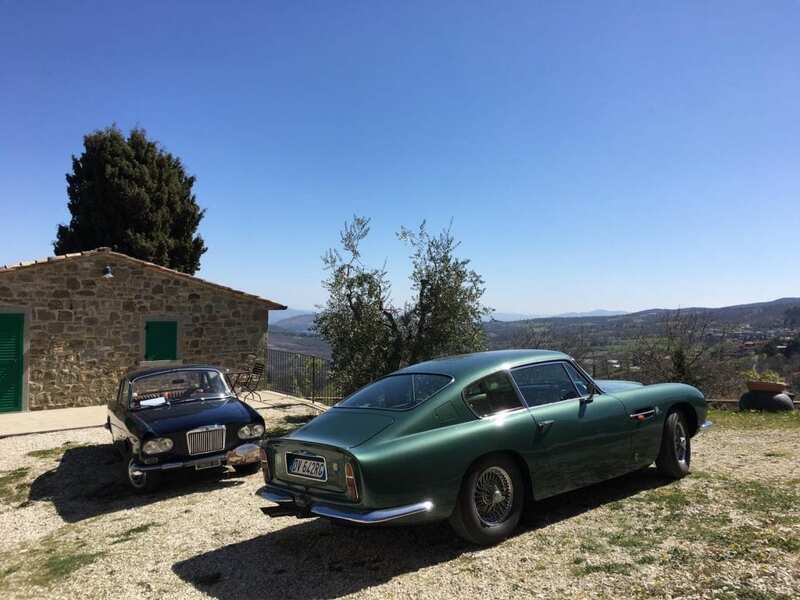 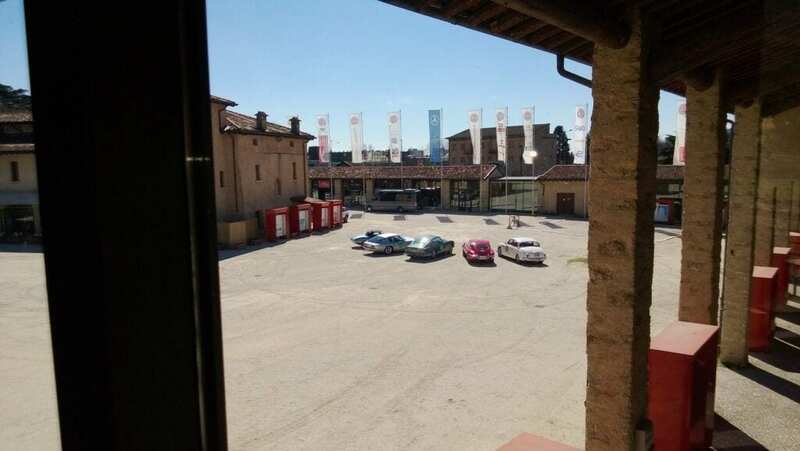 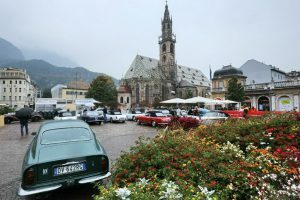 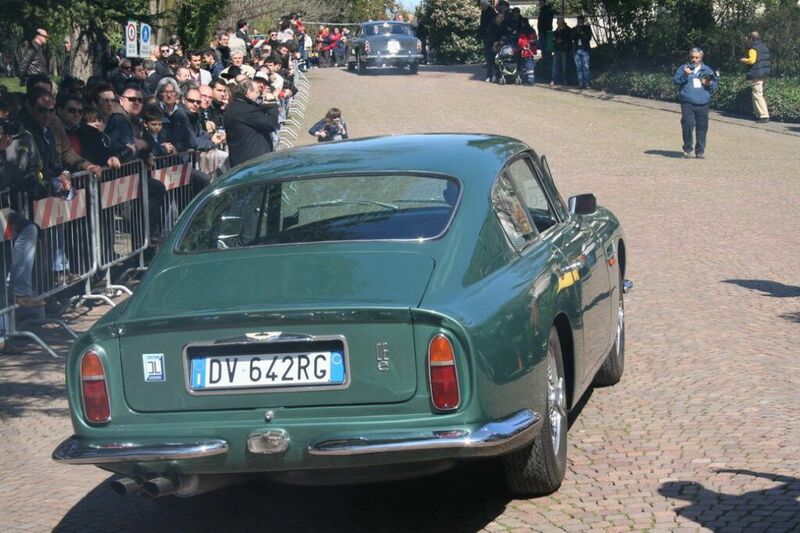 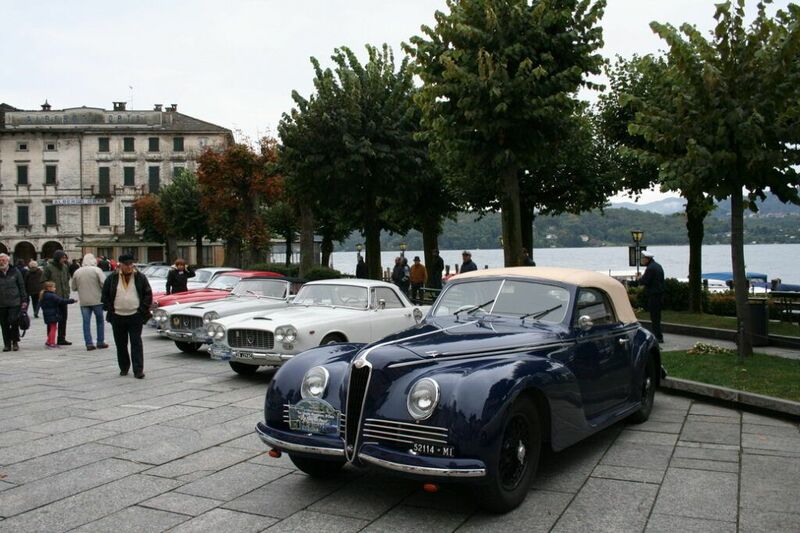 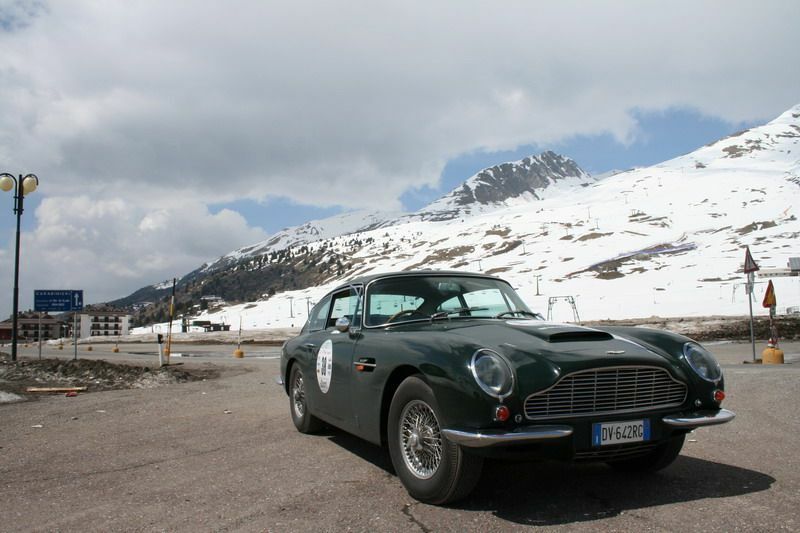 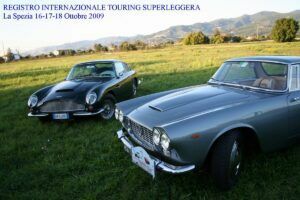 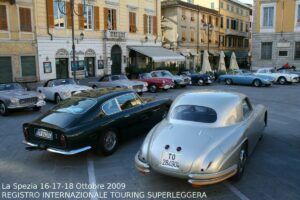 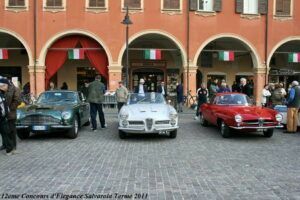 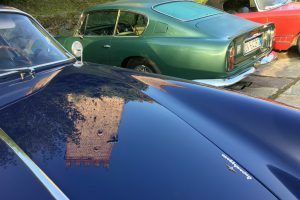 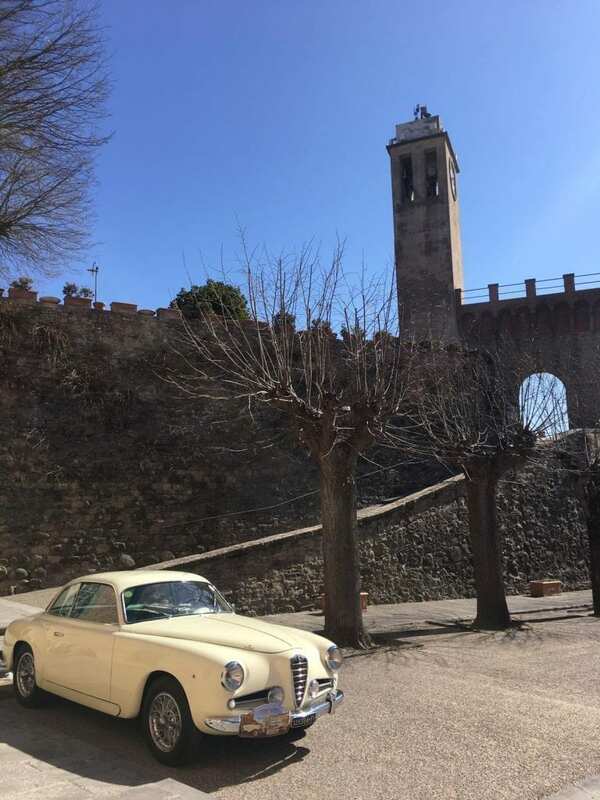 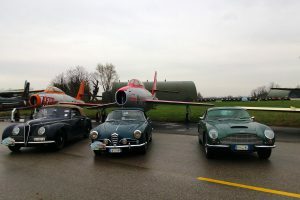 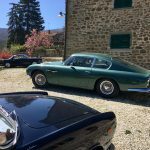 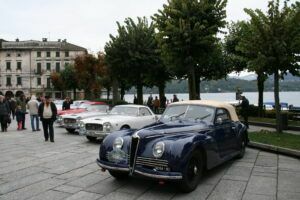 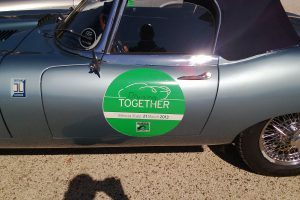 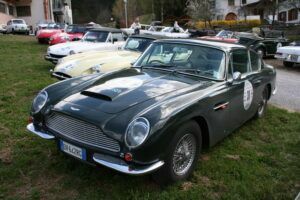 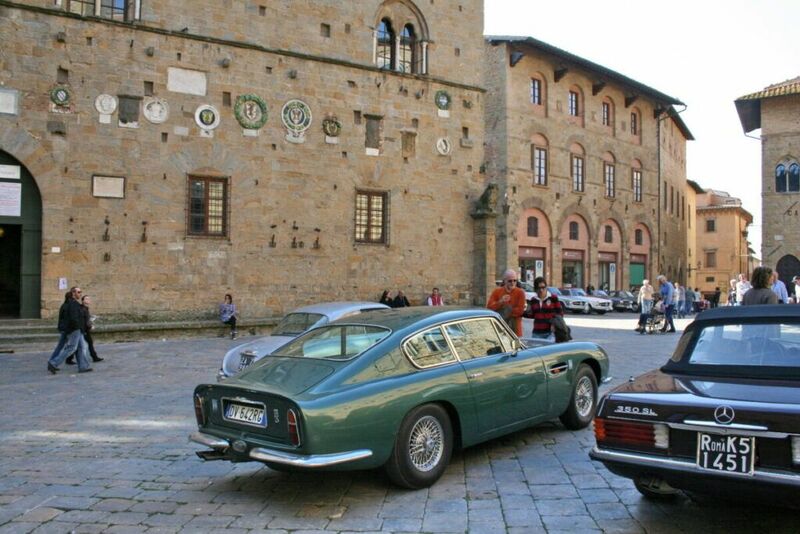 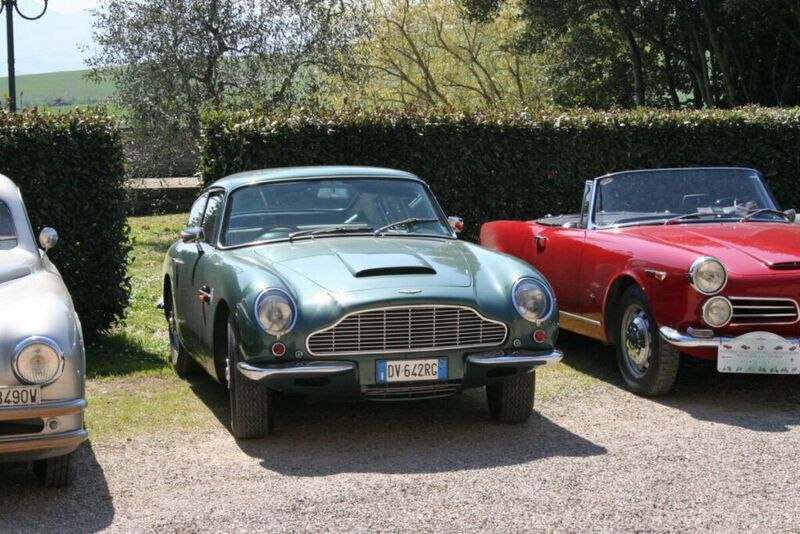 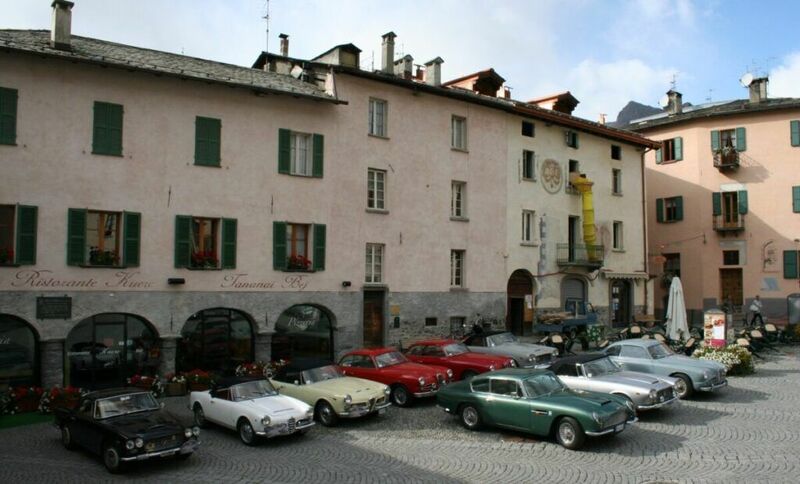 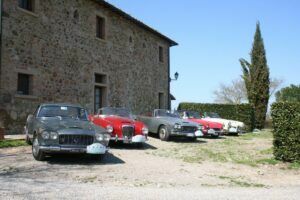 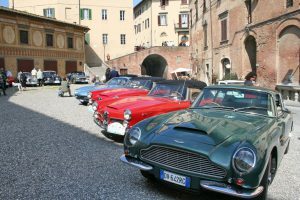 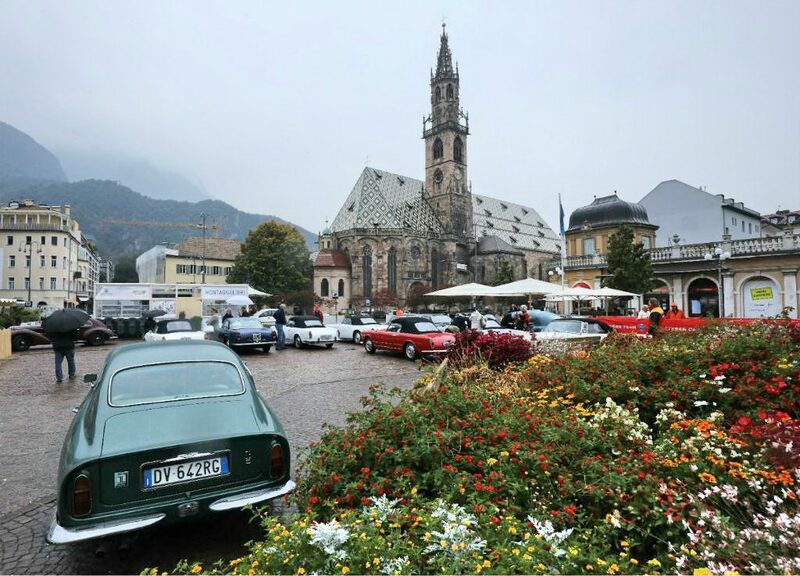 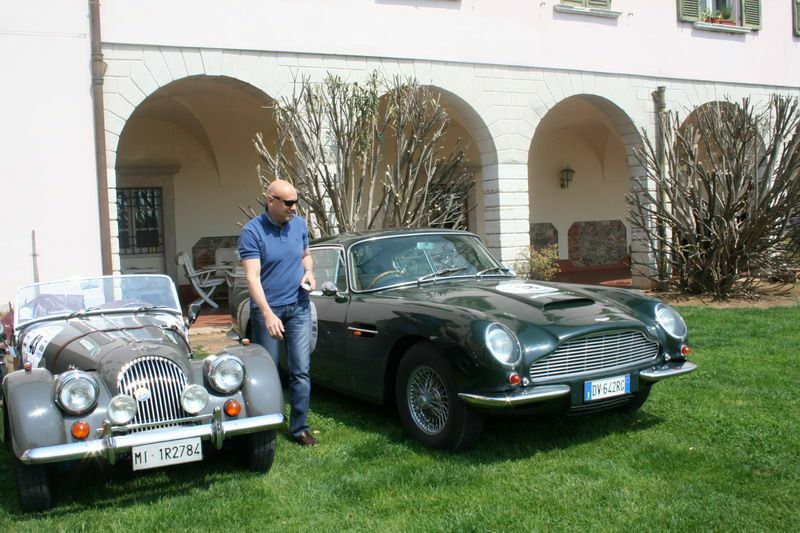 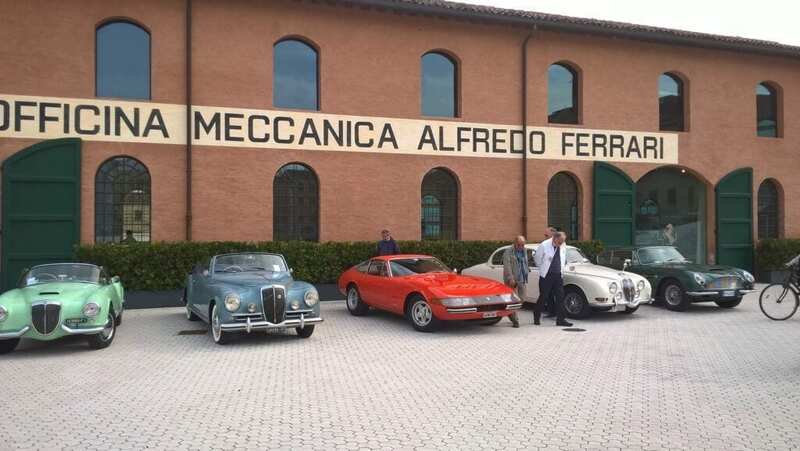 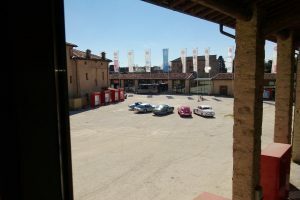 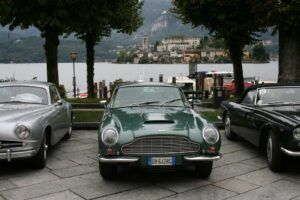 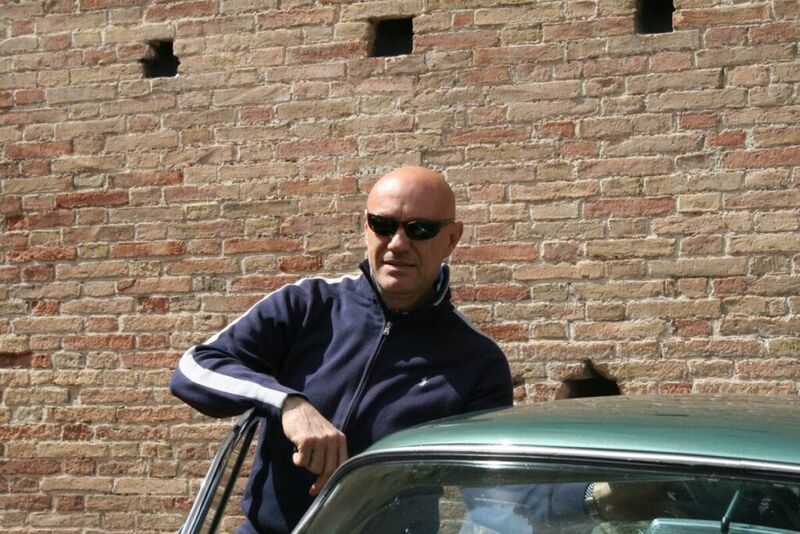 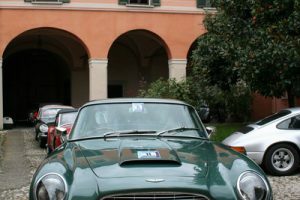 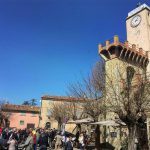 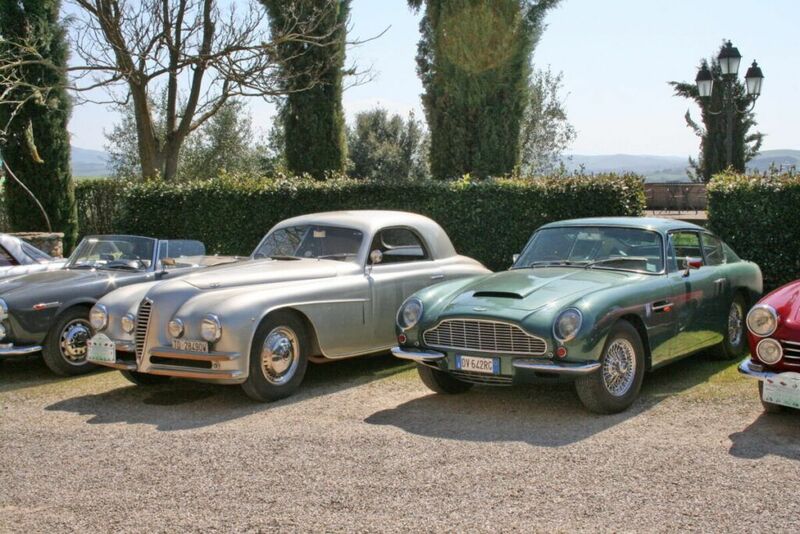 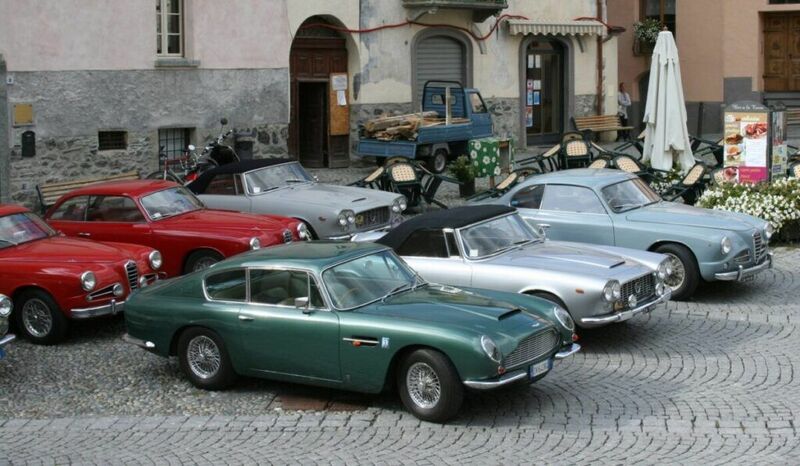 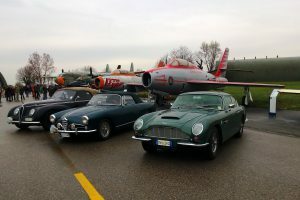 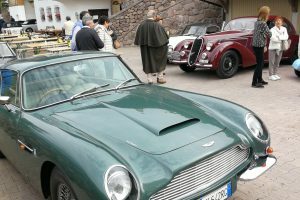 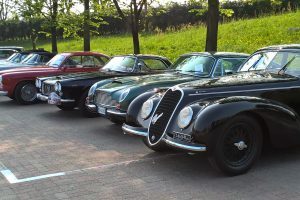 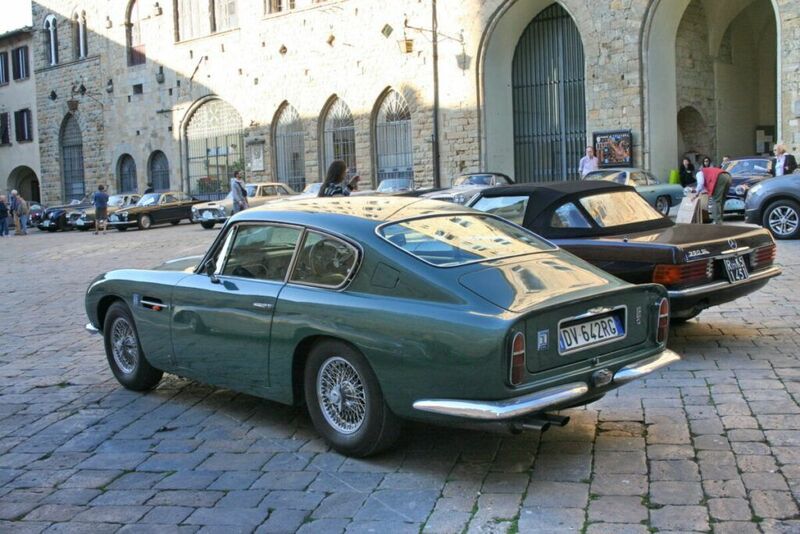 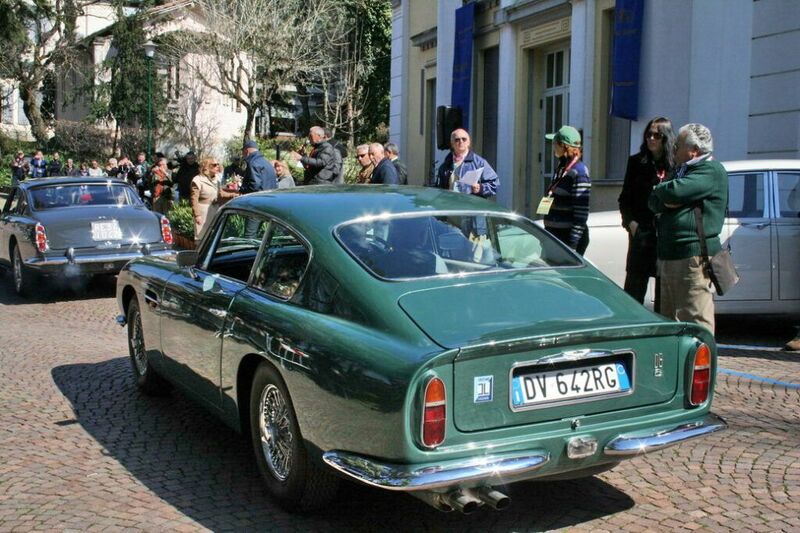 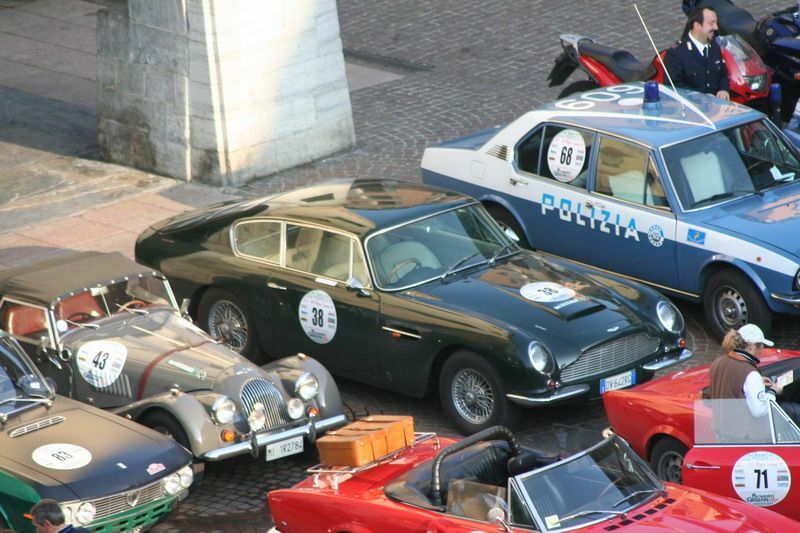 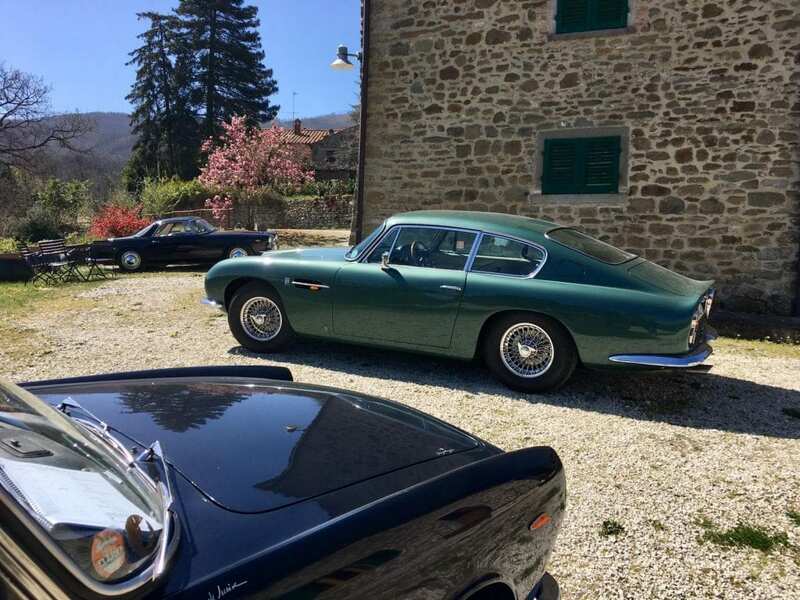 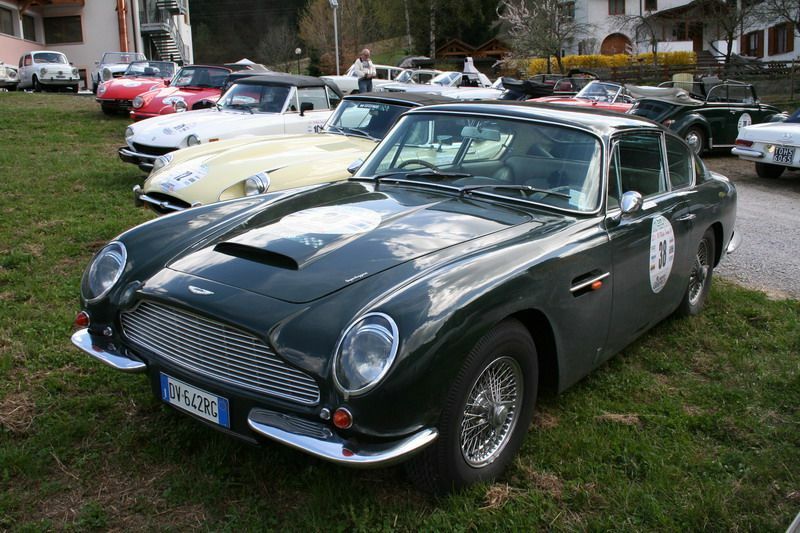 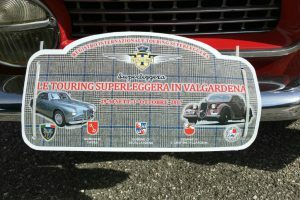 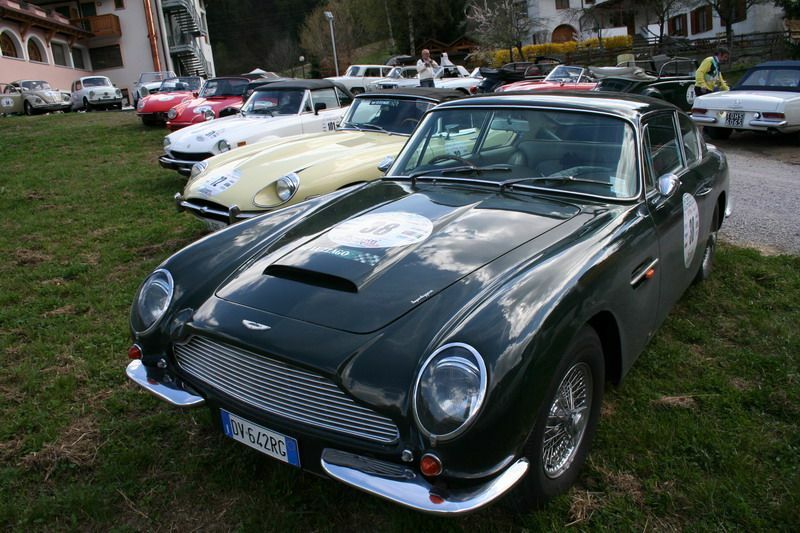 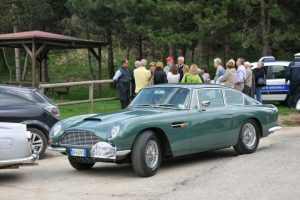 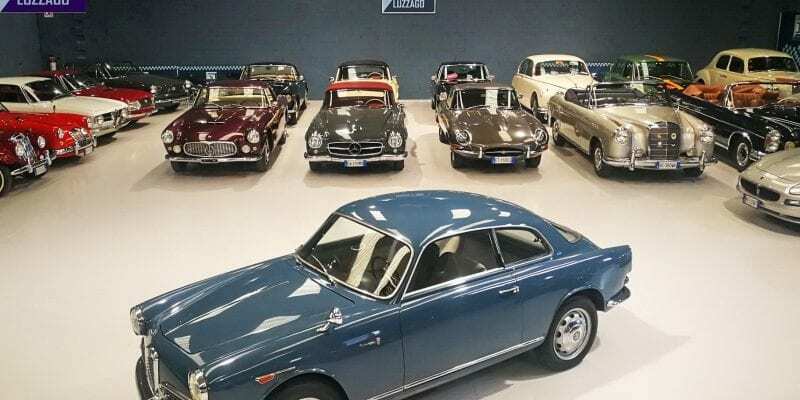 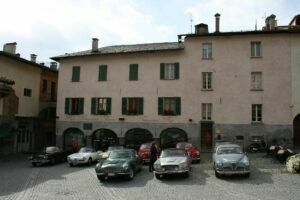 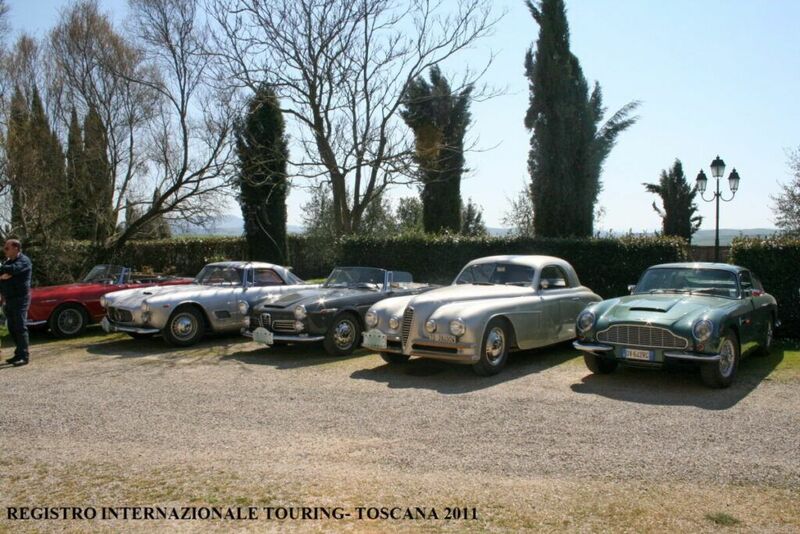 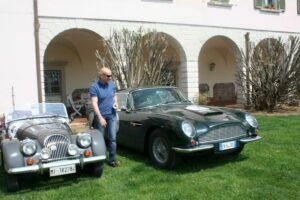 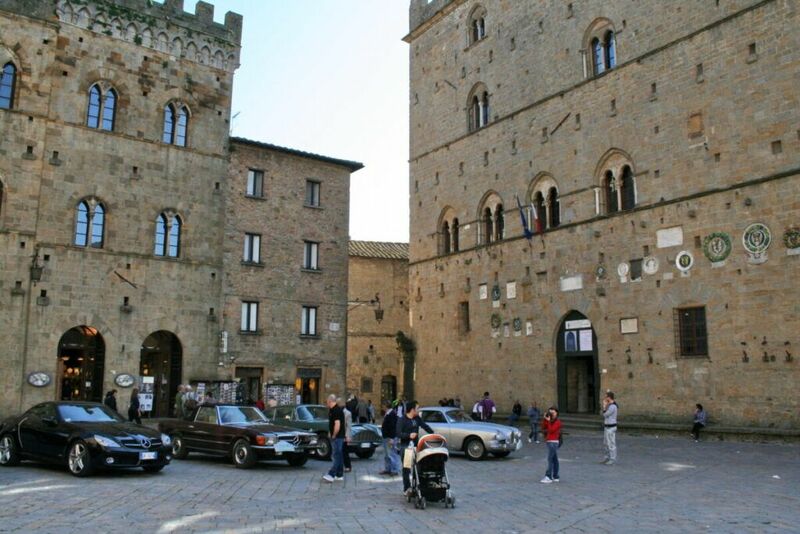 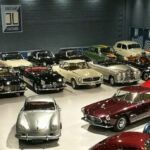 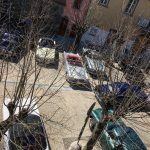 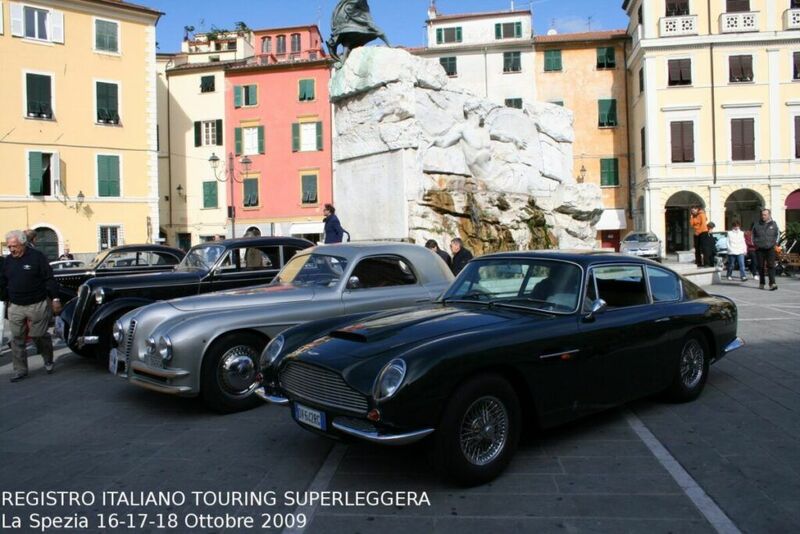 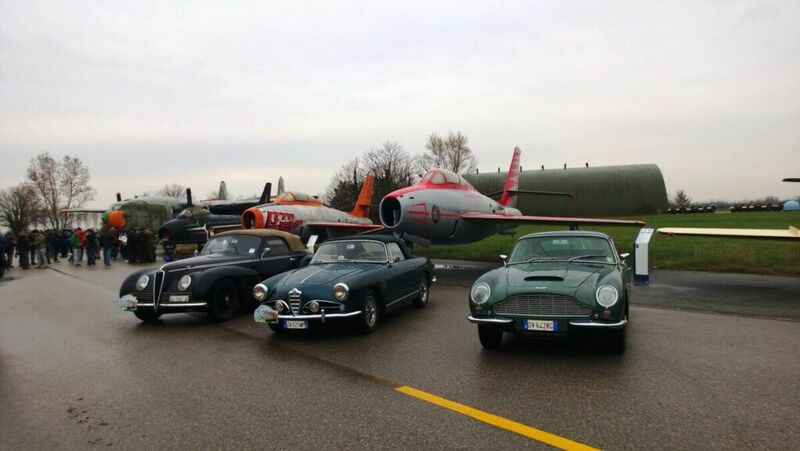 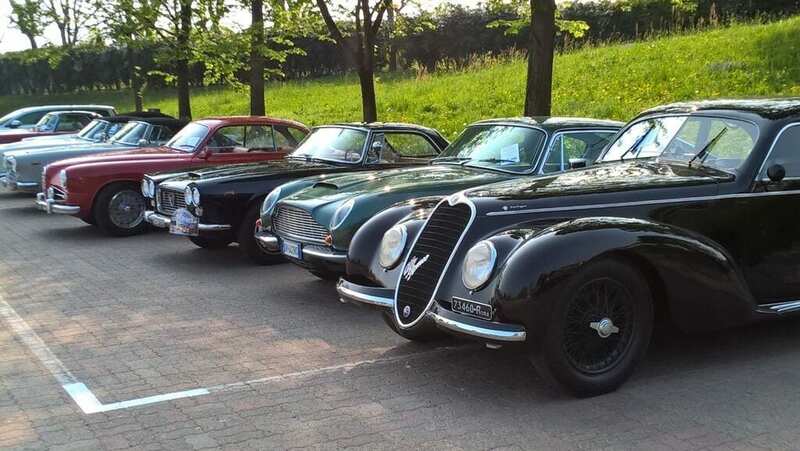 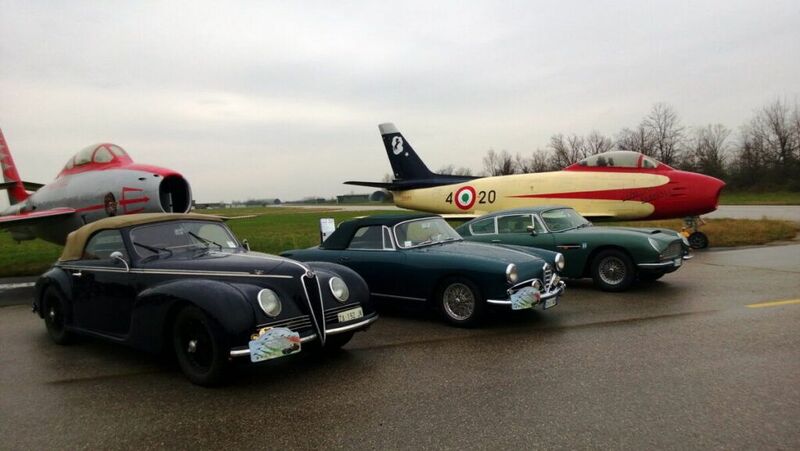 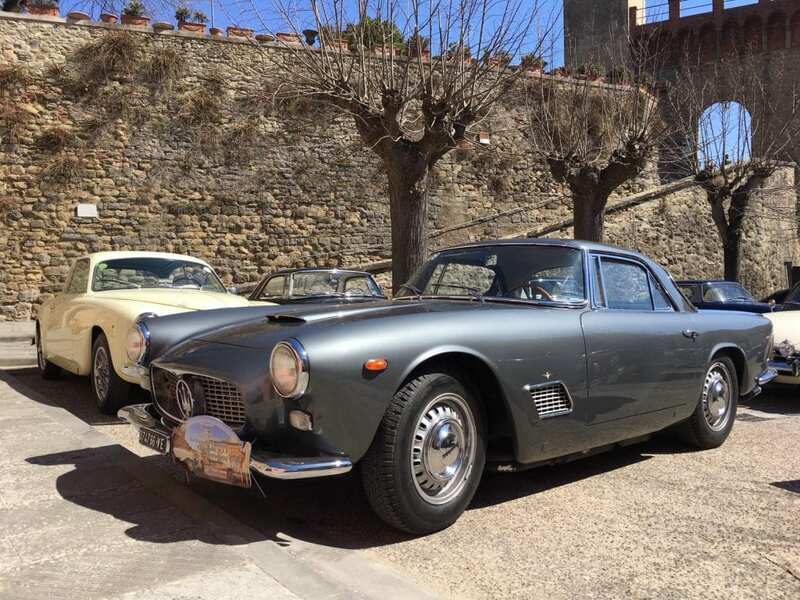 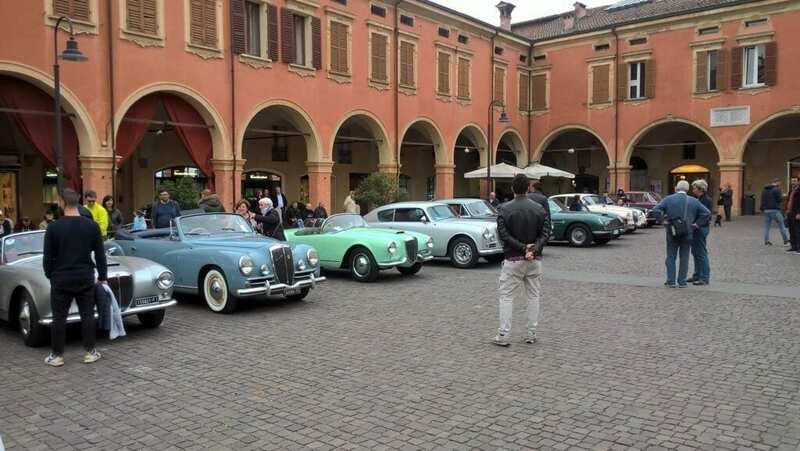 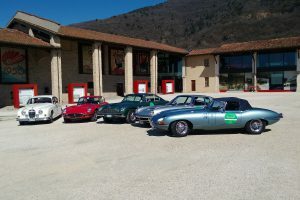 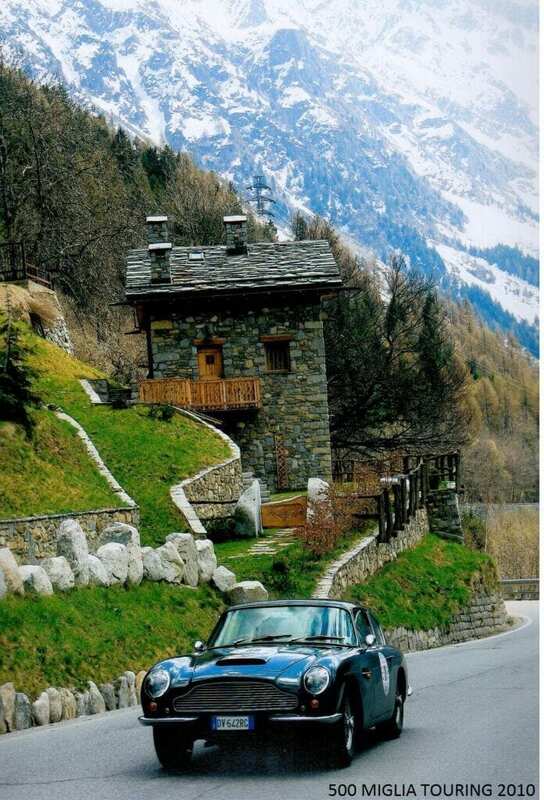 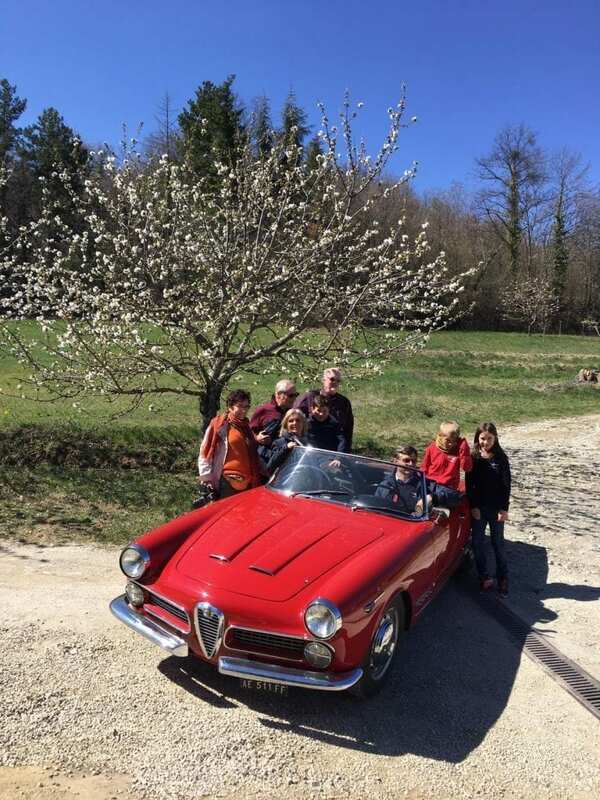 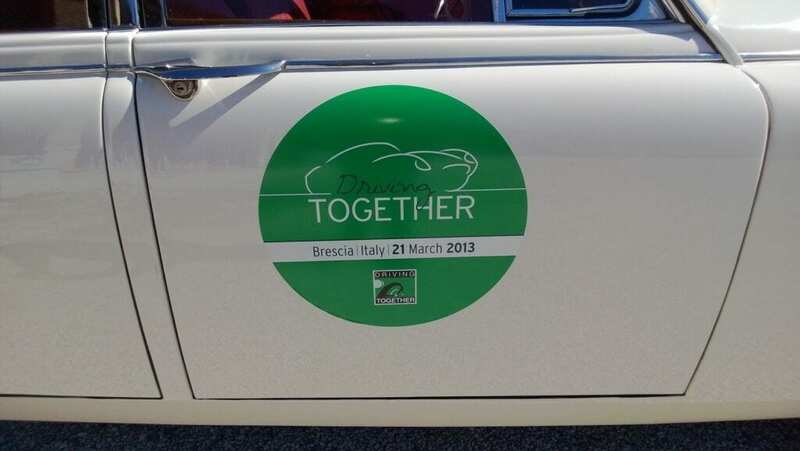 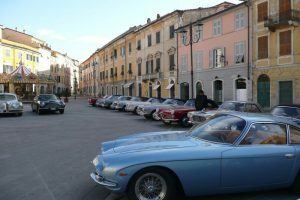 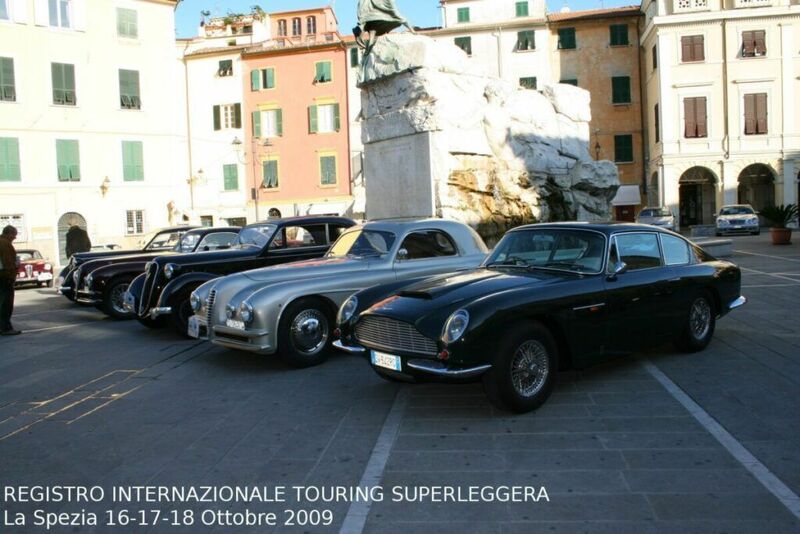 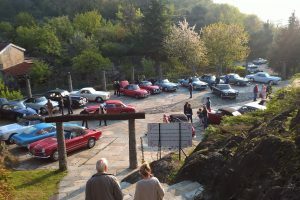 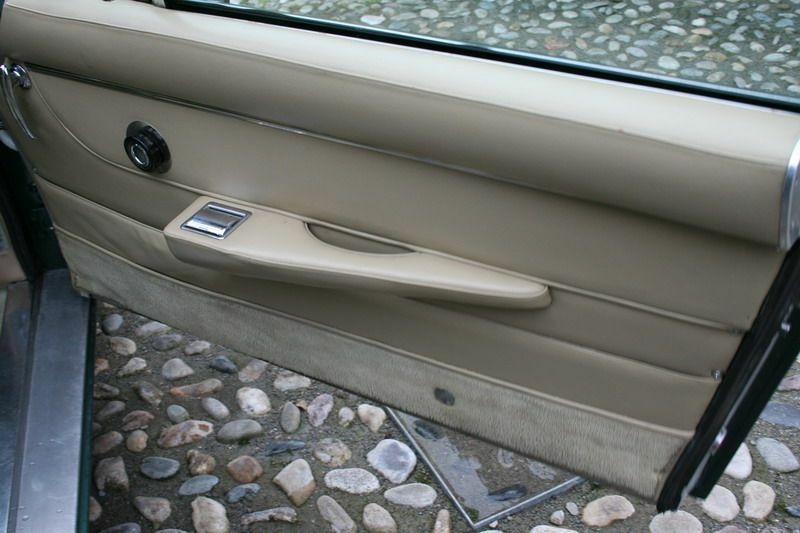 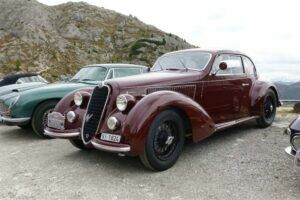 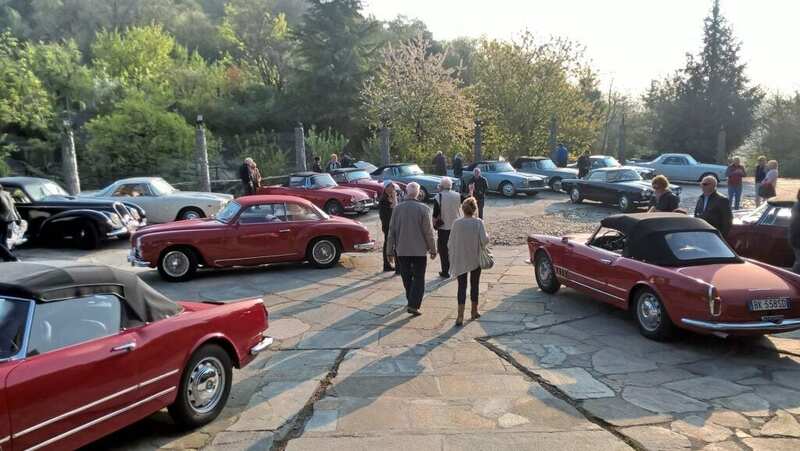 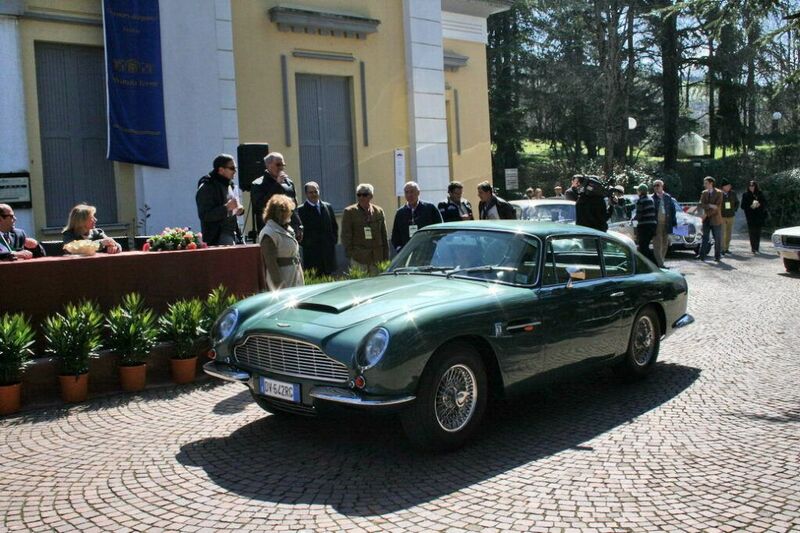 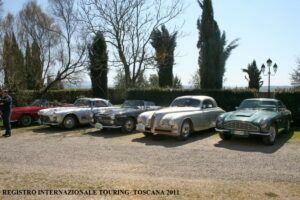 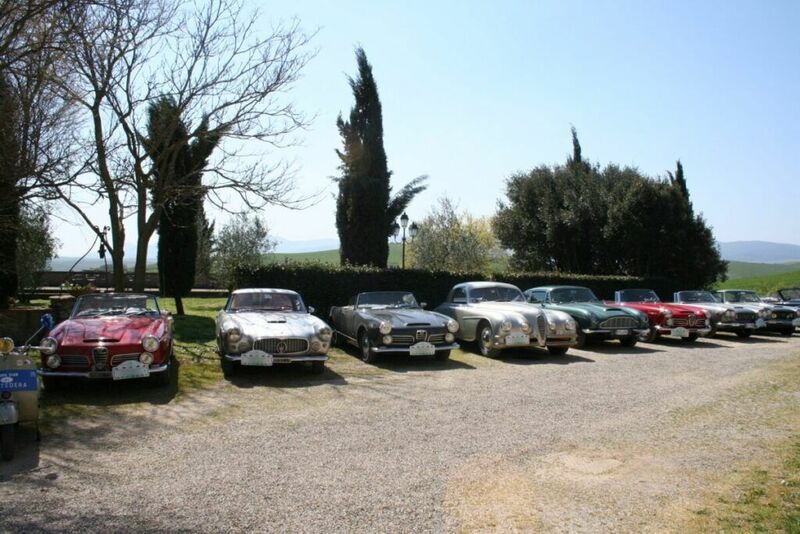 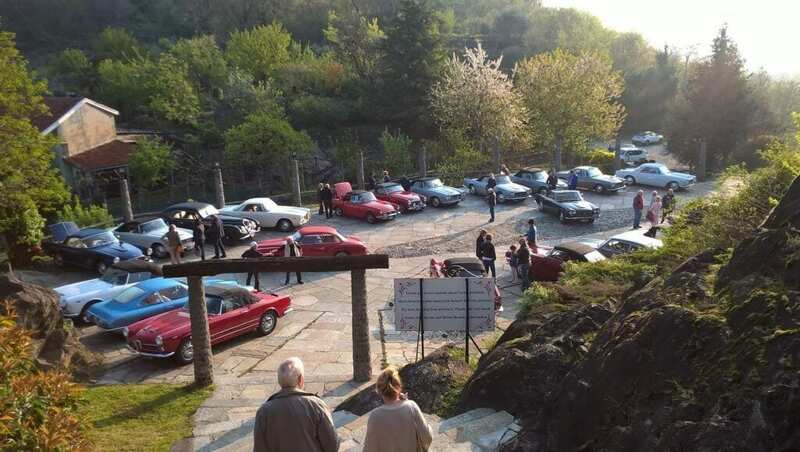 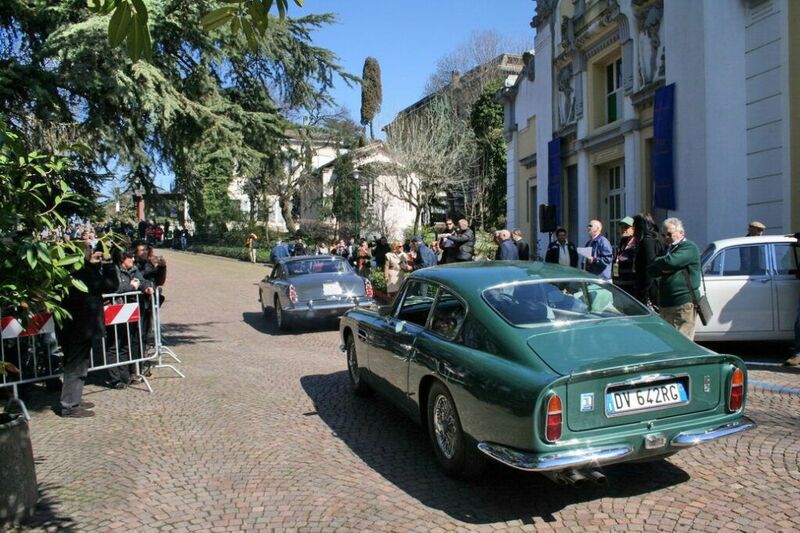 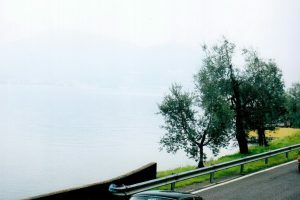 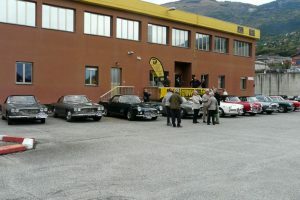 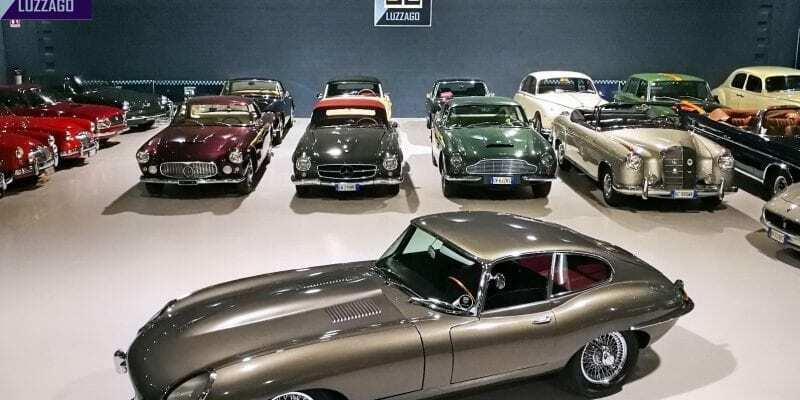 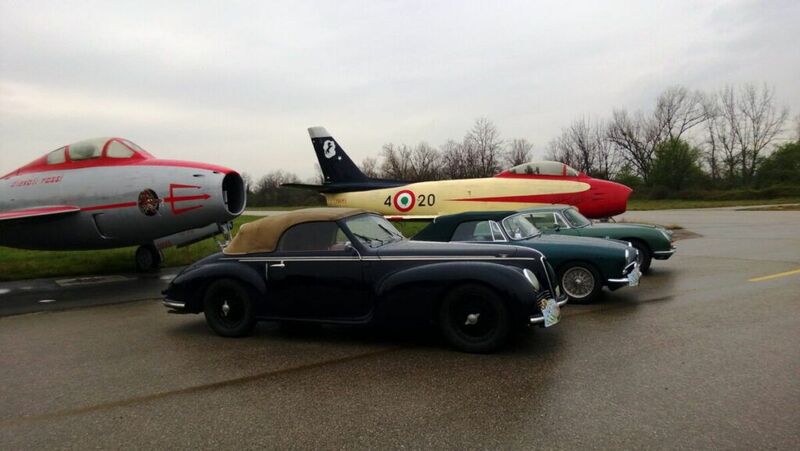 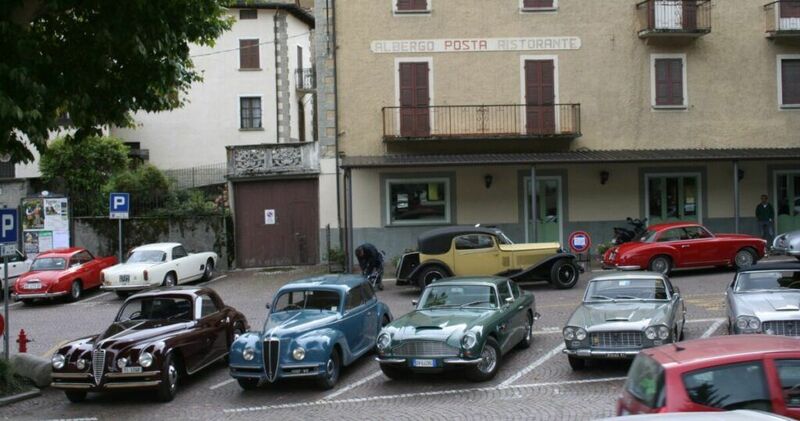 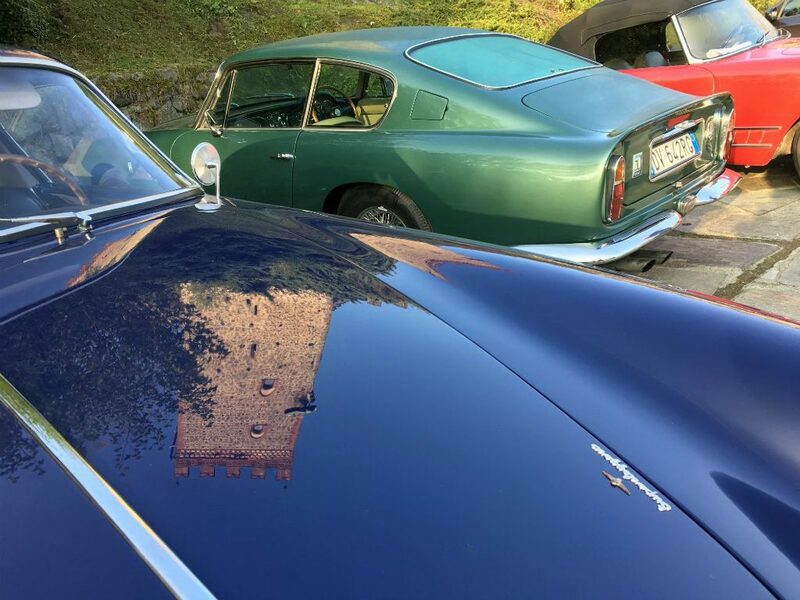 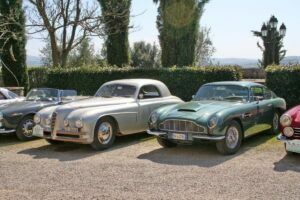 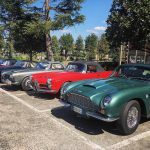 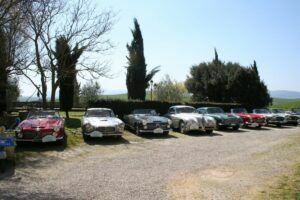 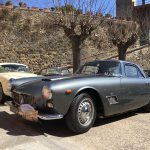 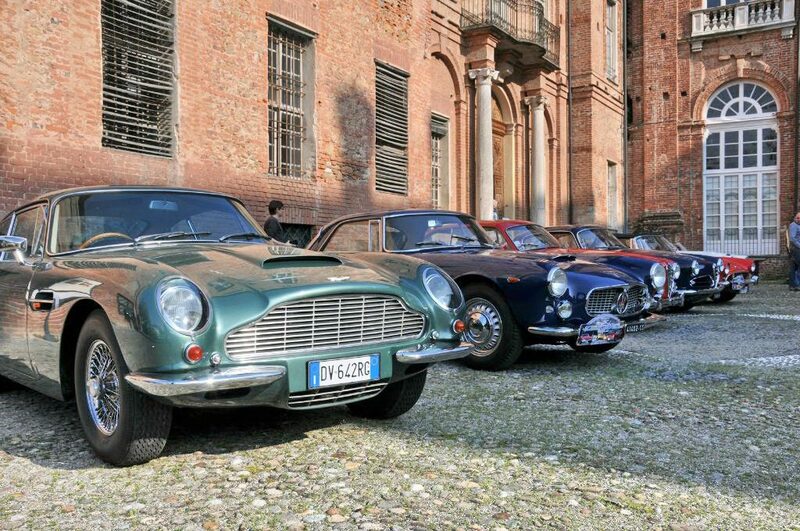 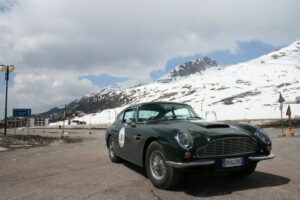 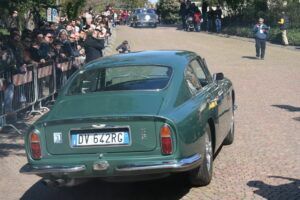 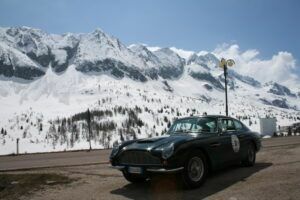 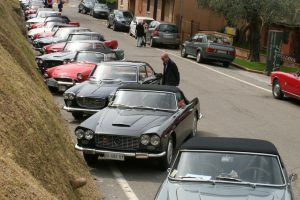 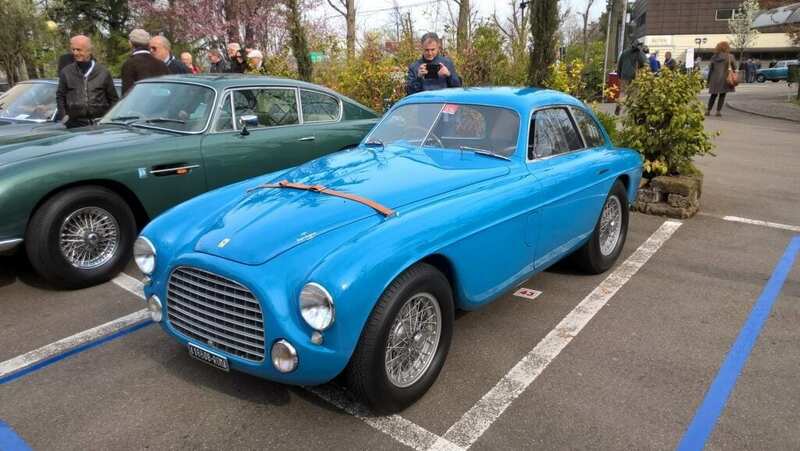 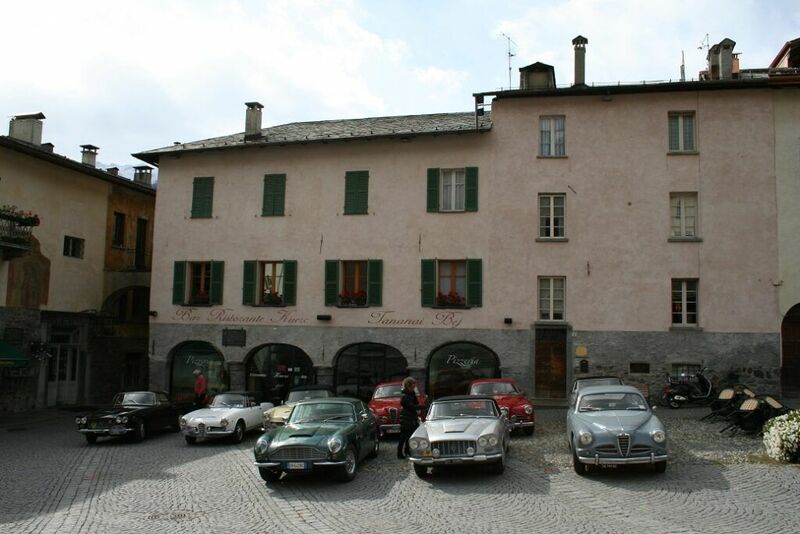 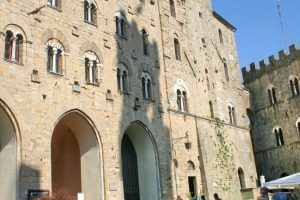 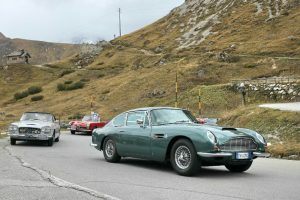 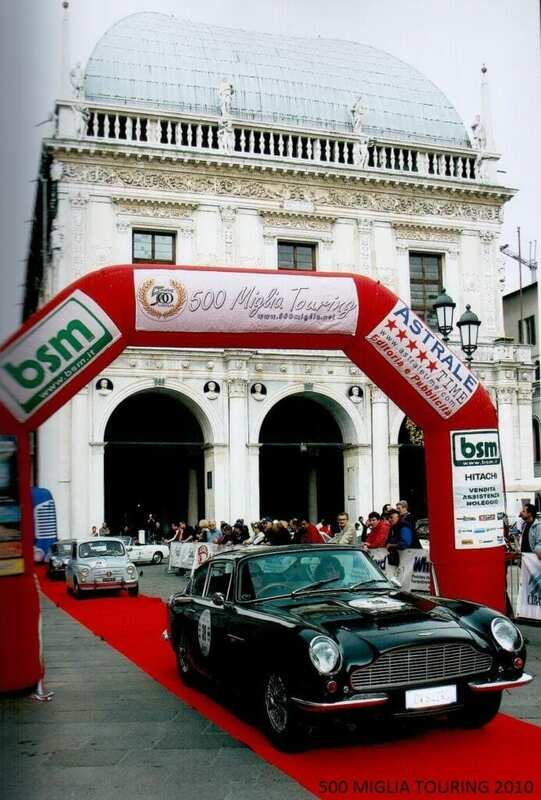 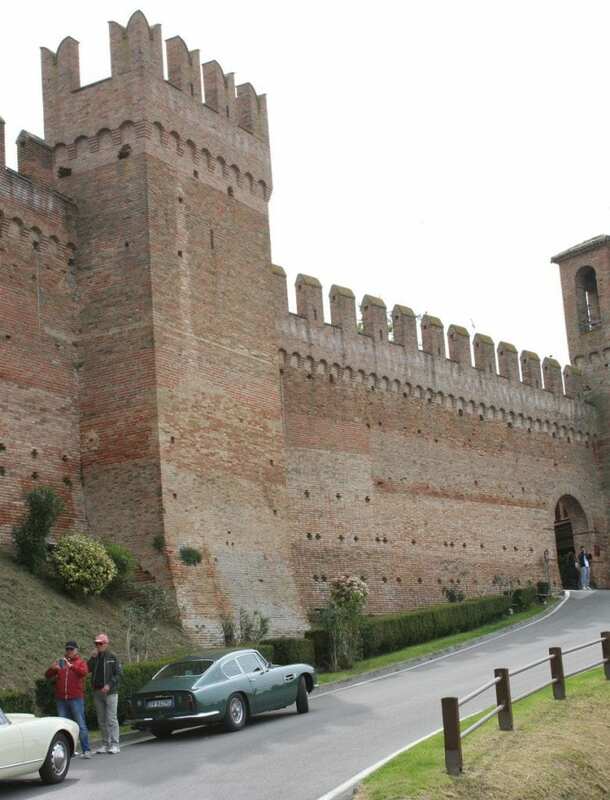 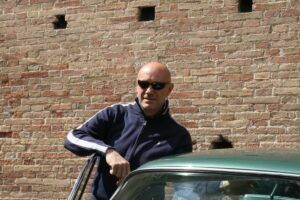 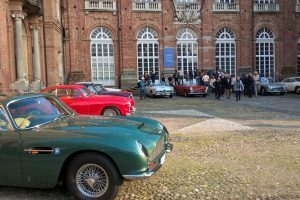 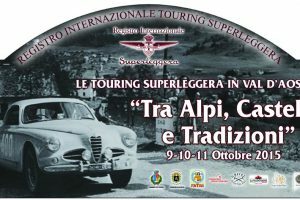 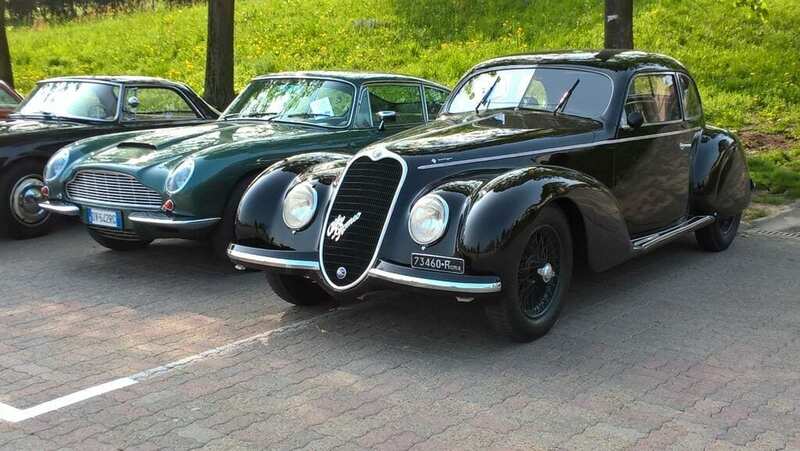 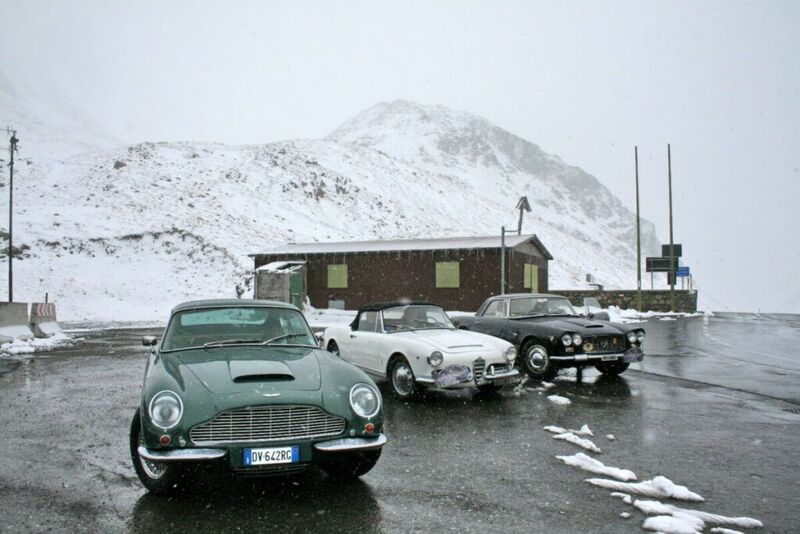 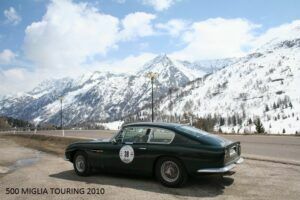 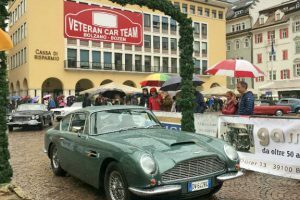 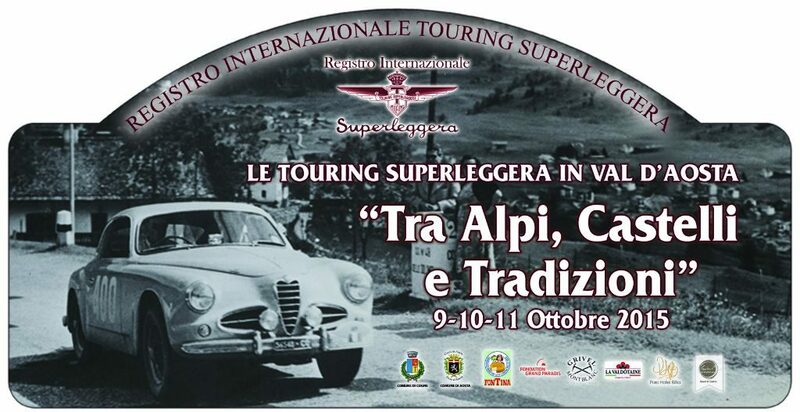 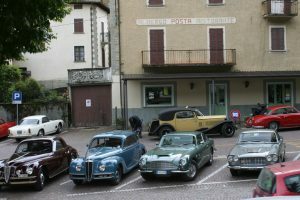 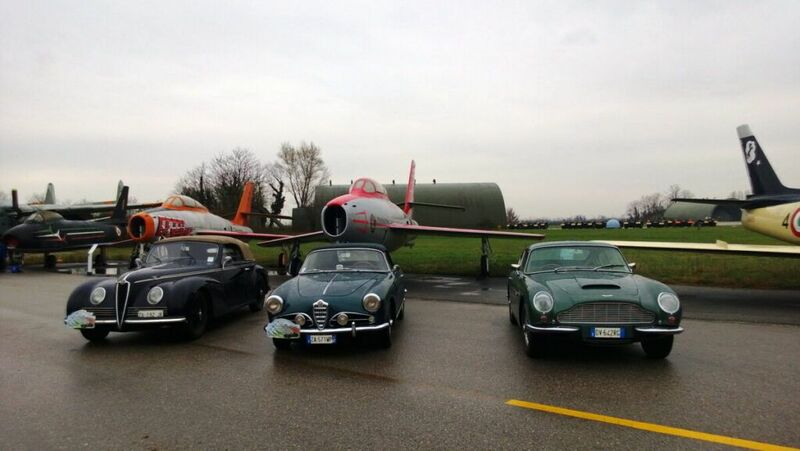 2019 MARZO, CON IL REGISTRO INTERNAZIONALE TOURING SUPERLEGGERA AD AREZZO. 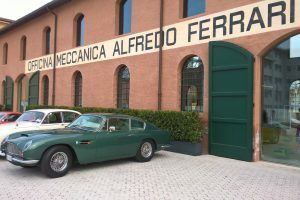 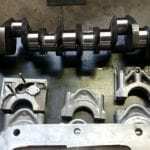 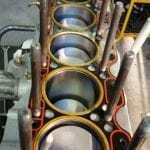 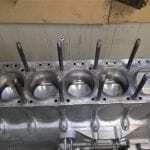 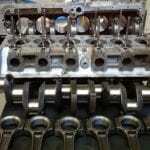 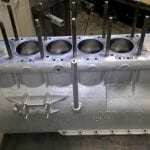 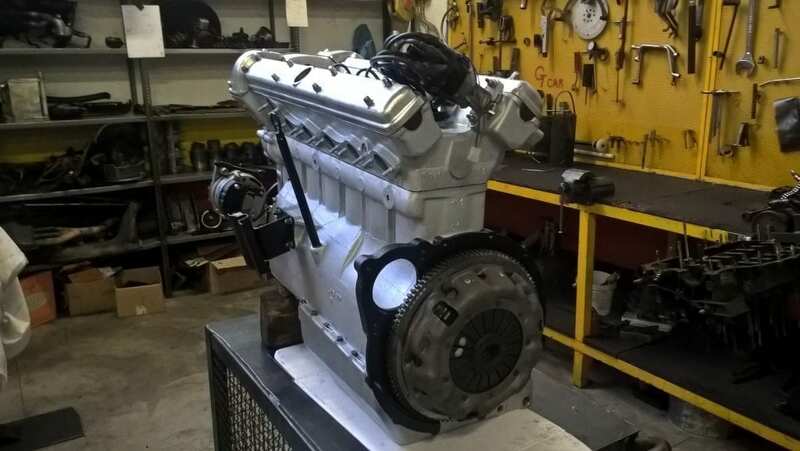 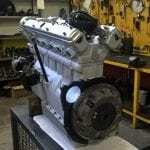 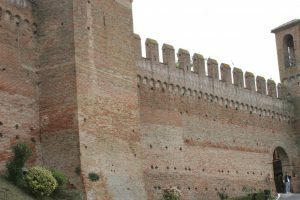 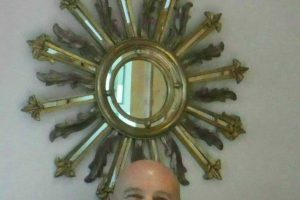 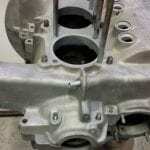 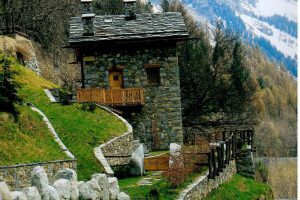 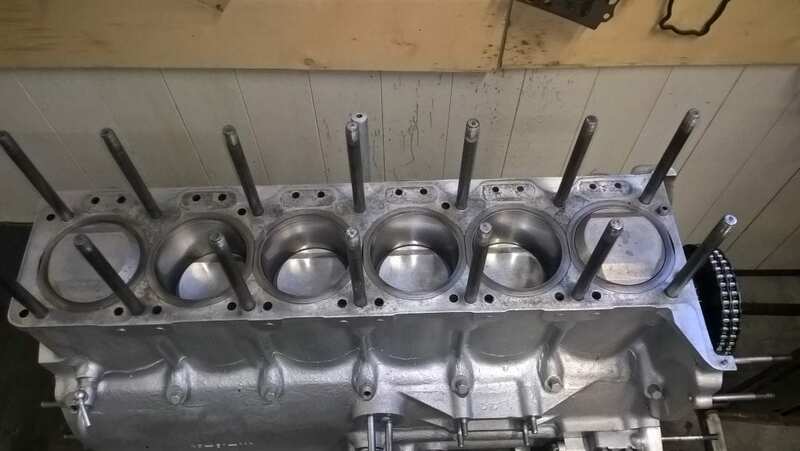 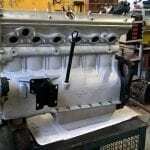 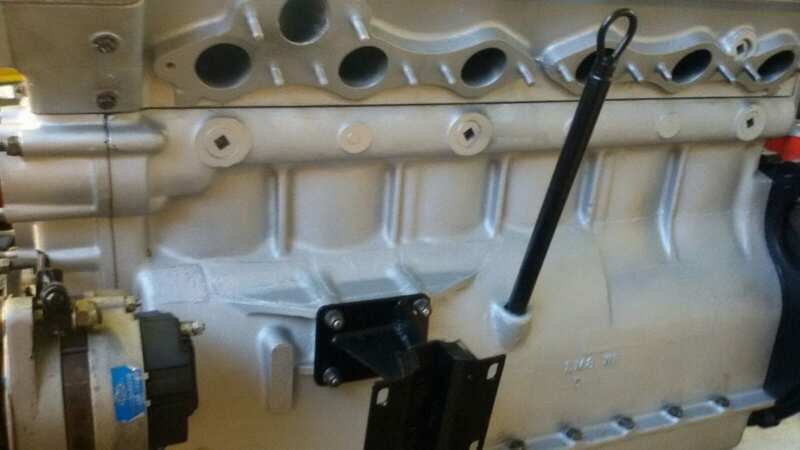 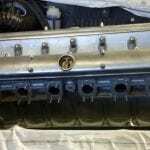 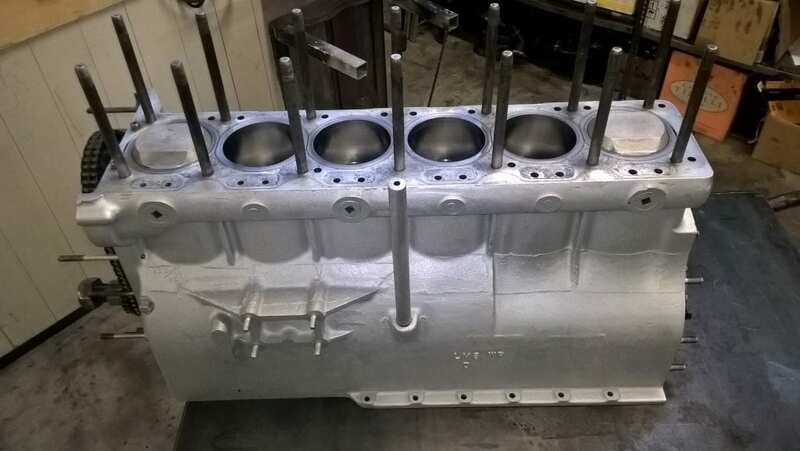 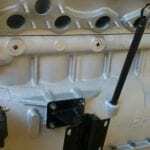 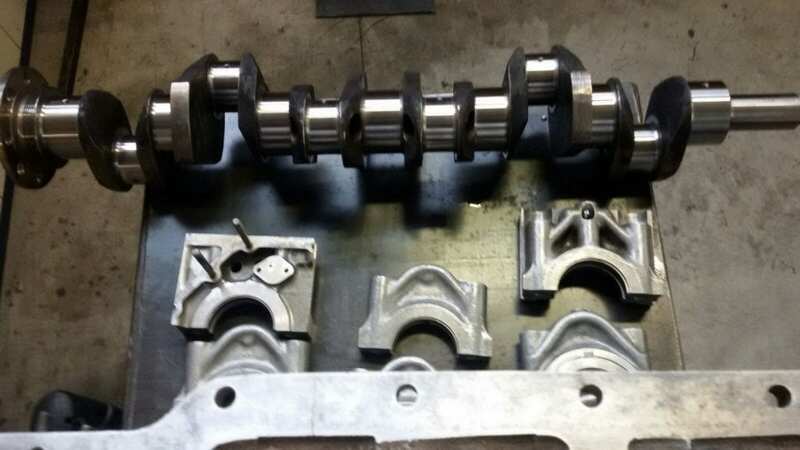 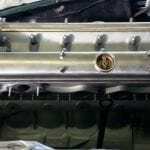 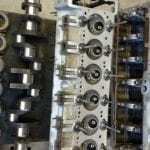 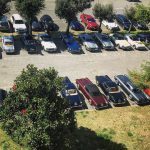 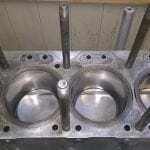 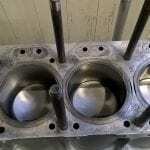 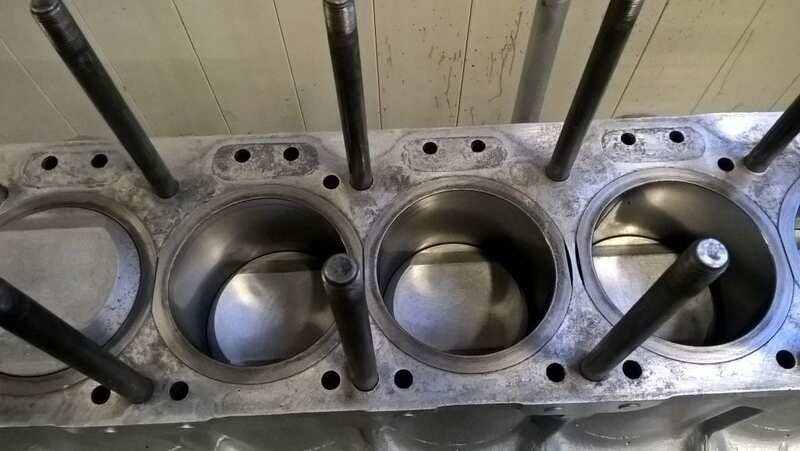 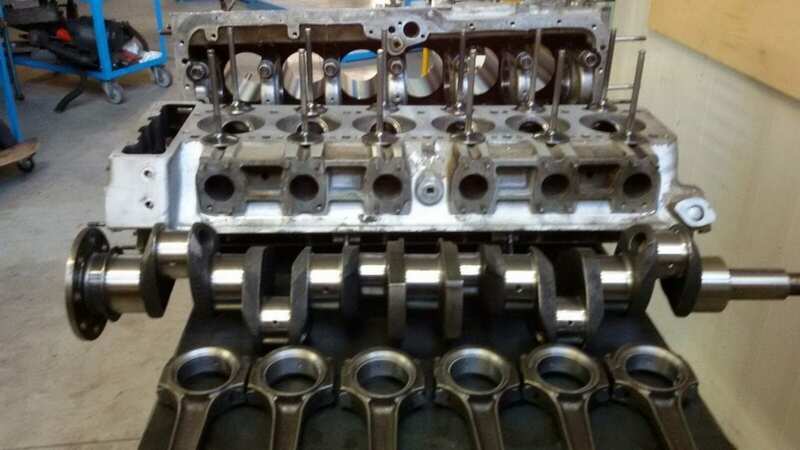 Nel 2017 la vettura è stata sottoposta ad un intervento di restauro totale del motore, sono disponibili tutte le fatture dei ricambi originali sostituiti e delle lavorazioni eseguite.